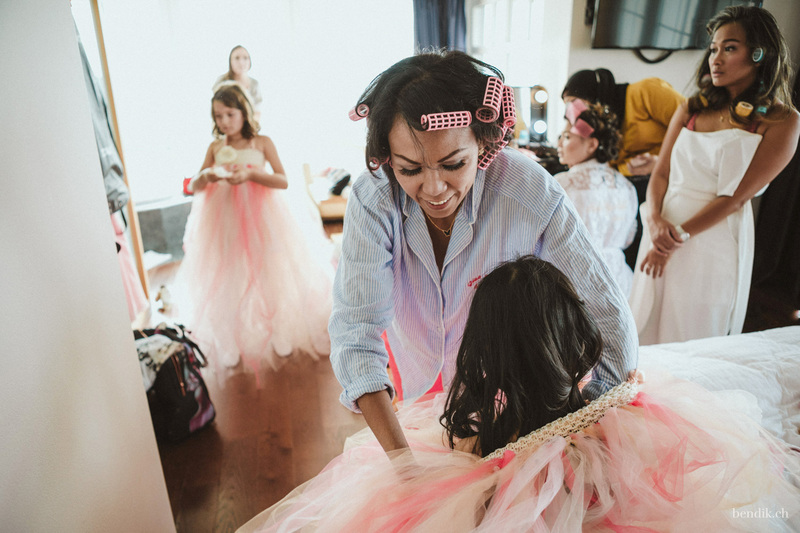 I vividly remember Sakaria contacting me in the beginning of March this year, asking whether she could have a couple photo shoot. 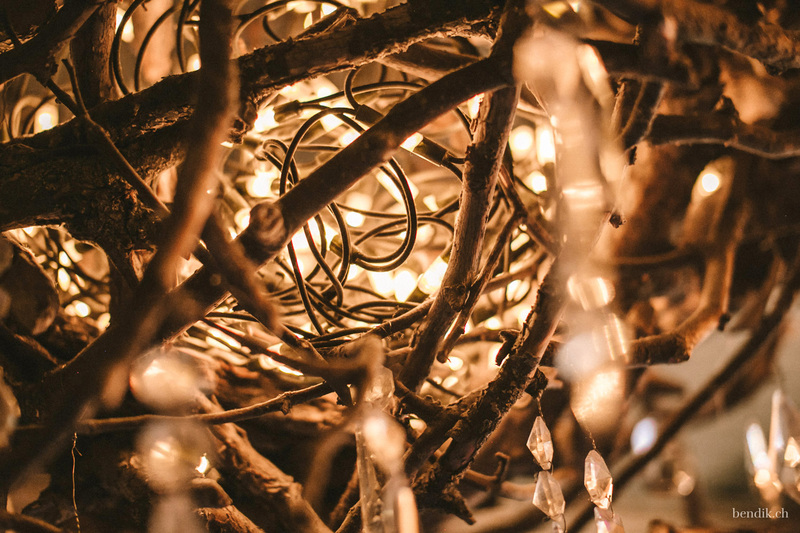 The scenery should be unique – looking like a winter fairy tale. 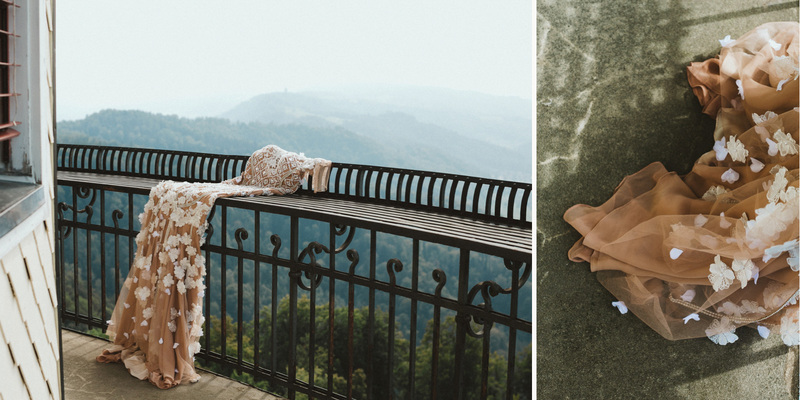 As it was already spring and we were looking for a place that was not too hard to reach, It took me some time finding her dream location. 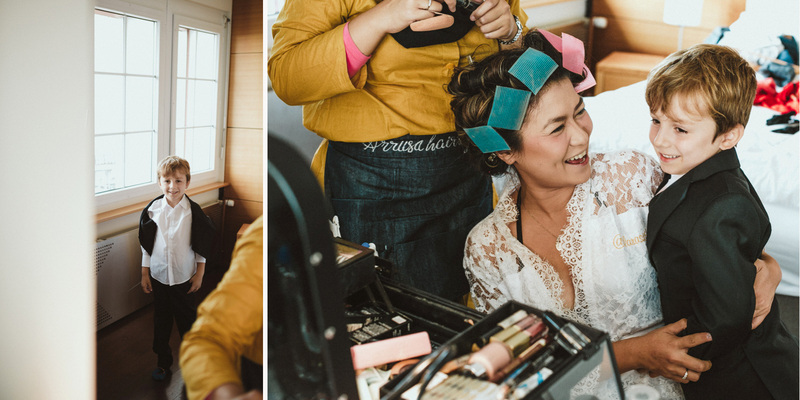 Fast forward to the day of the shoot: our photo shoot in Elm, Canton of Glarus, turned out to be a little adventure, as we stumbled through snow that was literally melting below our feet. 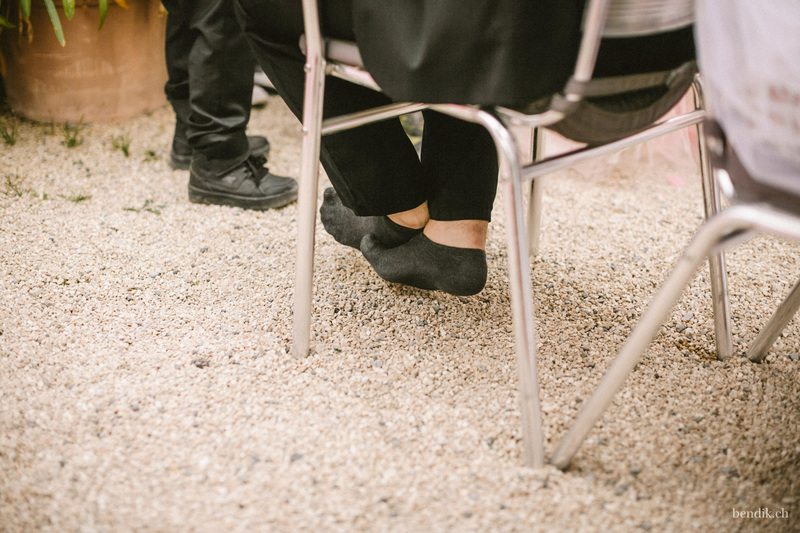 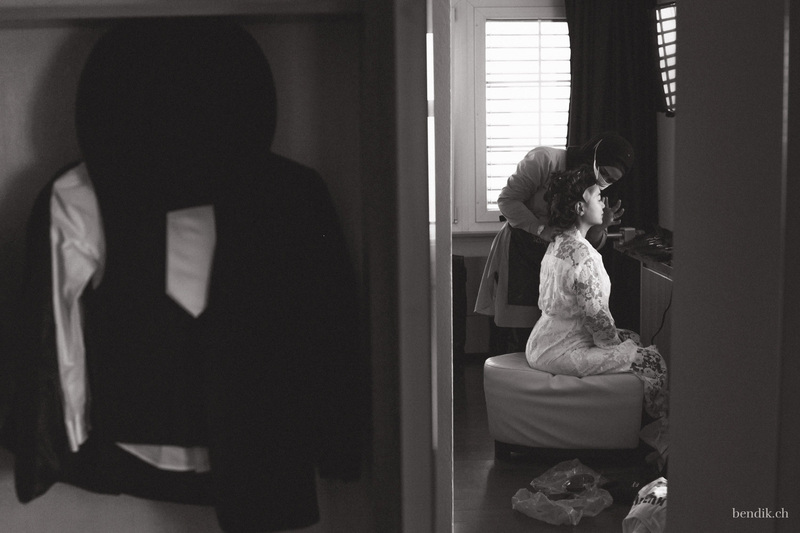 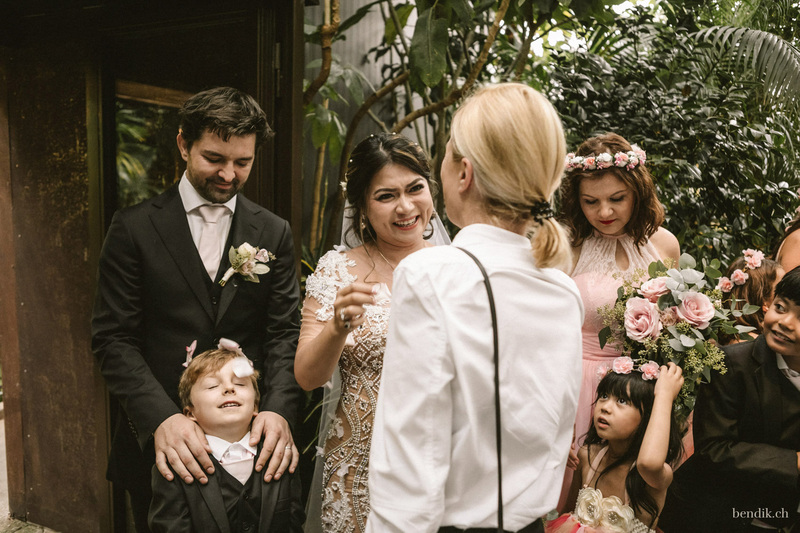 Sakaria’s and Marcin’s love seemed to grow each moment of our shoot. 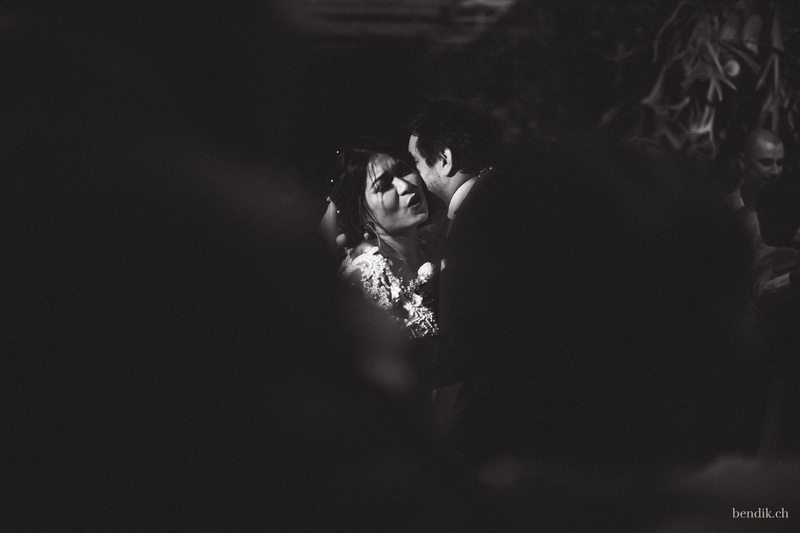 Nearly falling into the melting snow – we still carried on; being soaked through up to our knees – we still laughed. 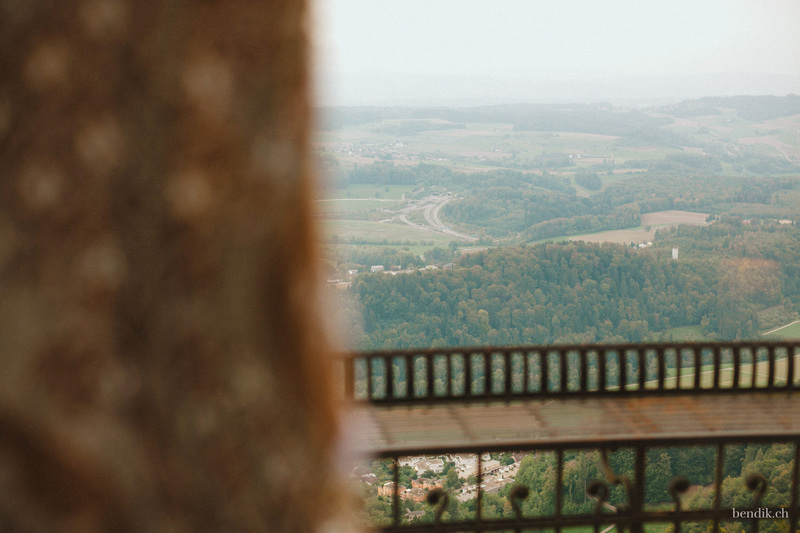 This very summer, we together drove to a breathtaking location near Luzern for a pre-wedding photo shoot. 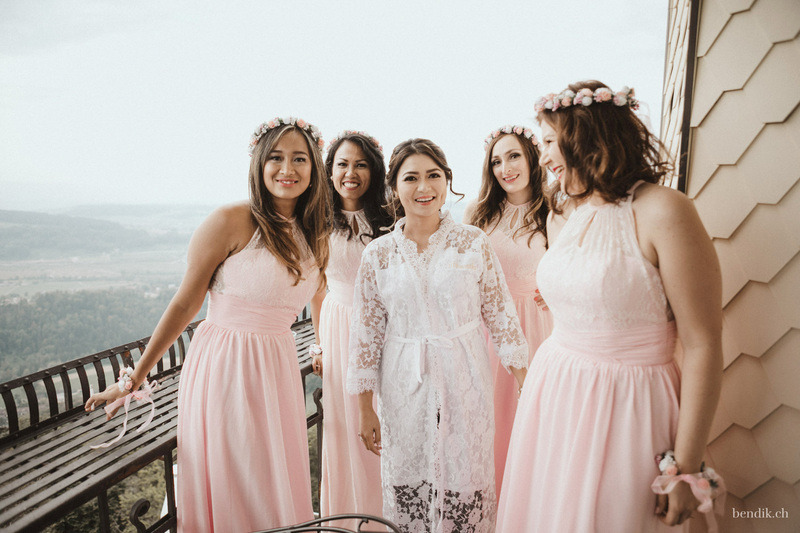 What started as a winter fairy tale now turned into a floral dream of summer, as Sakaria in her voluminous blue dress seemed to dance across the green hills dotted with yellow flowers that overlook the Vierwaldstättersee. 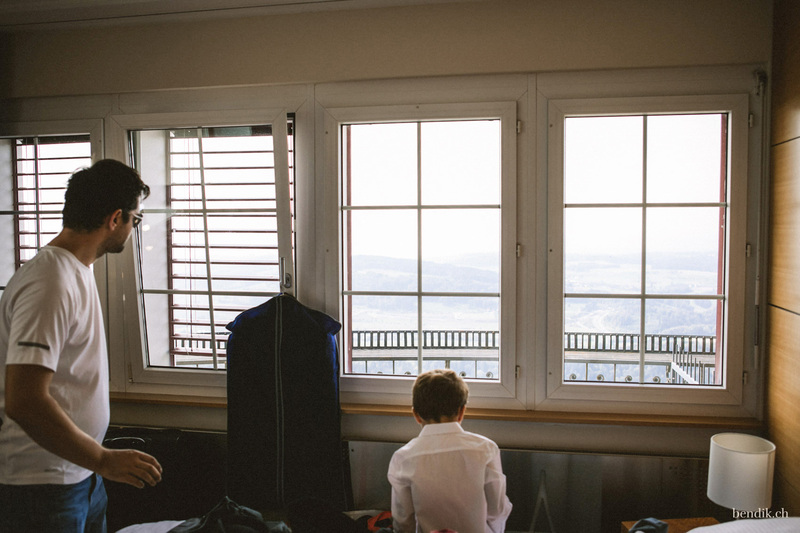 When I entered the Residenz-Suite of Uto Kulm hotel, which is located on a forested hill named Uetliberg that is seemingly hovering above the city of Zurich, the strong and dynamic “getting ready vibes” overwhelmed me. 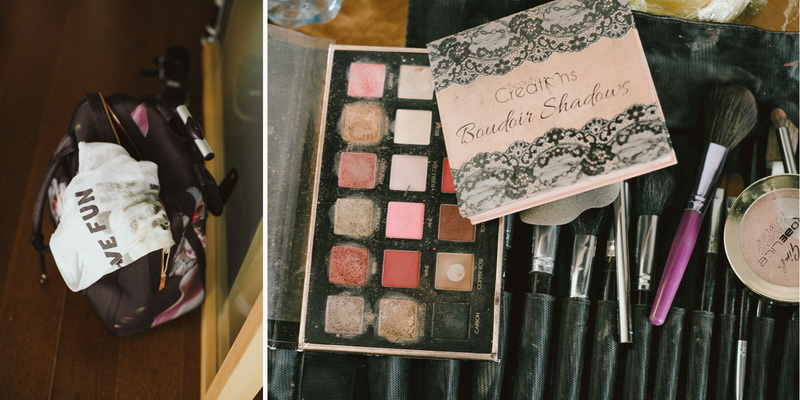 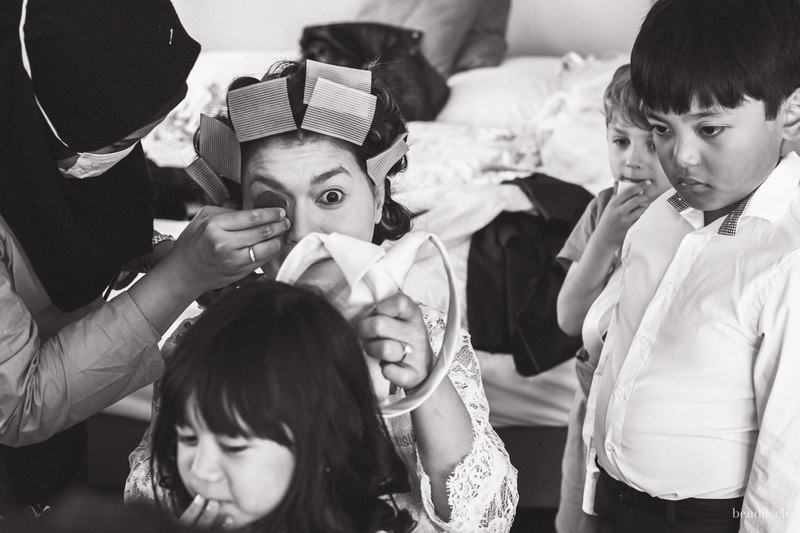 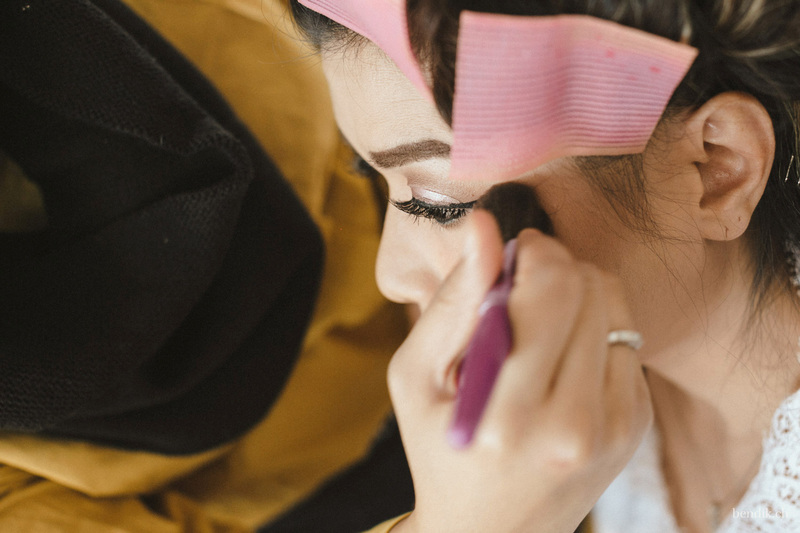 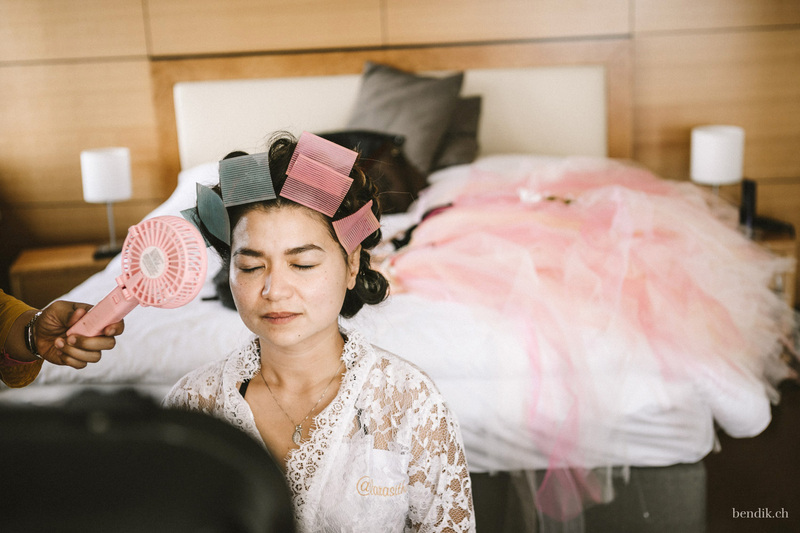 What I saw could best be described as creative chaos at work: the bride was surrounded by boxes and packaging of all shapes and sizes, with most of them being filled with eye shadows of different tones of blush, the bridesmaids were giving the final touch to their makeup and Sakaria’s and Marcin’s boys and girls were trying to dress by themselves. 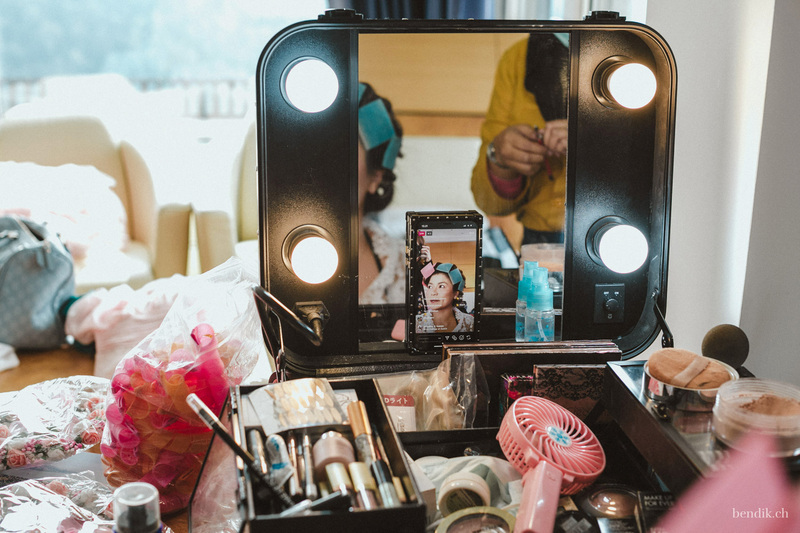 To add to the dynamism of the scene, Sakaria was all the while multitasking by broadcasting current happenings via smartphone and introducing people to each other. 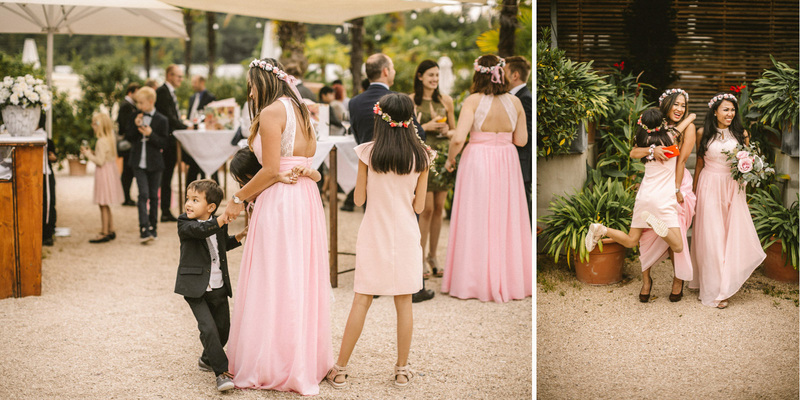 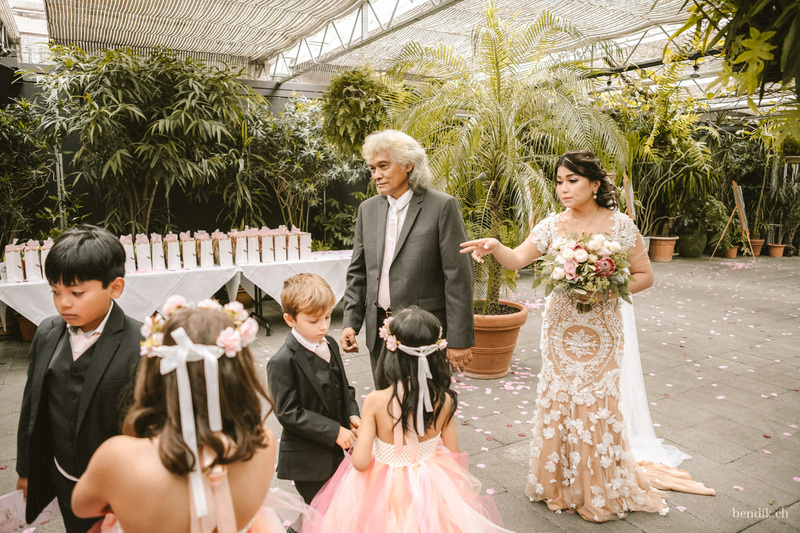 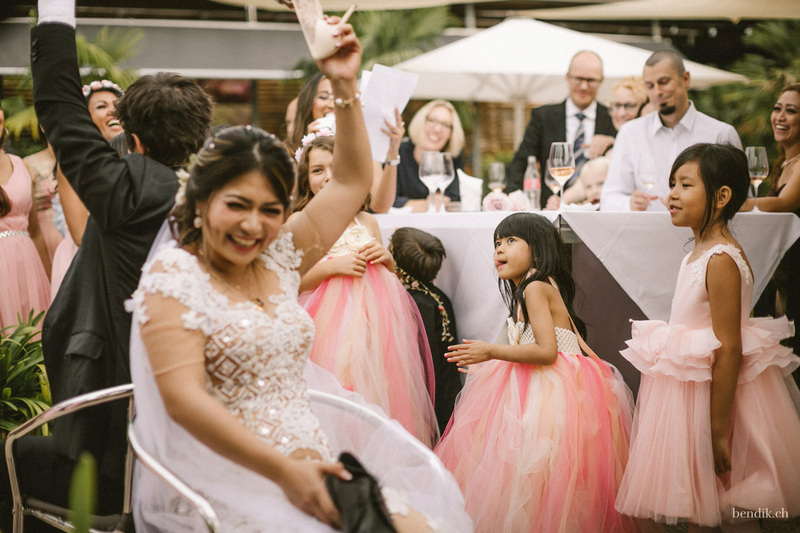 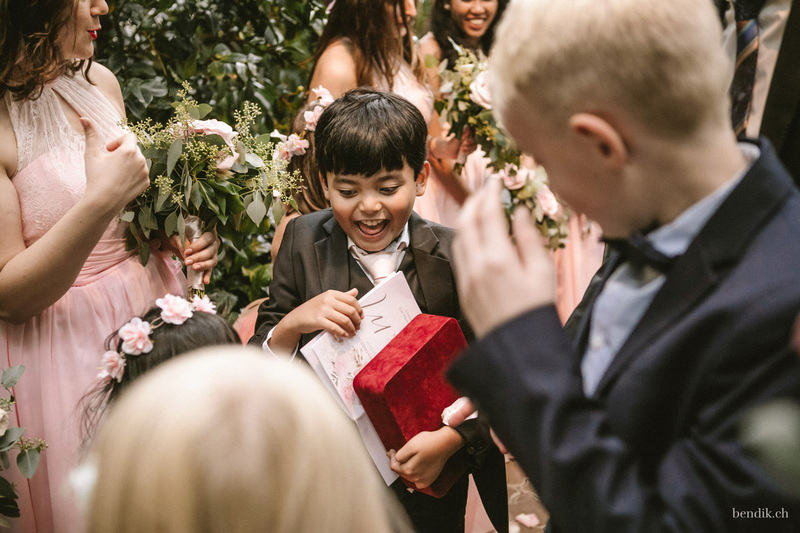 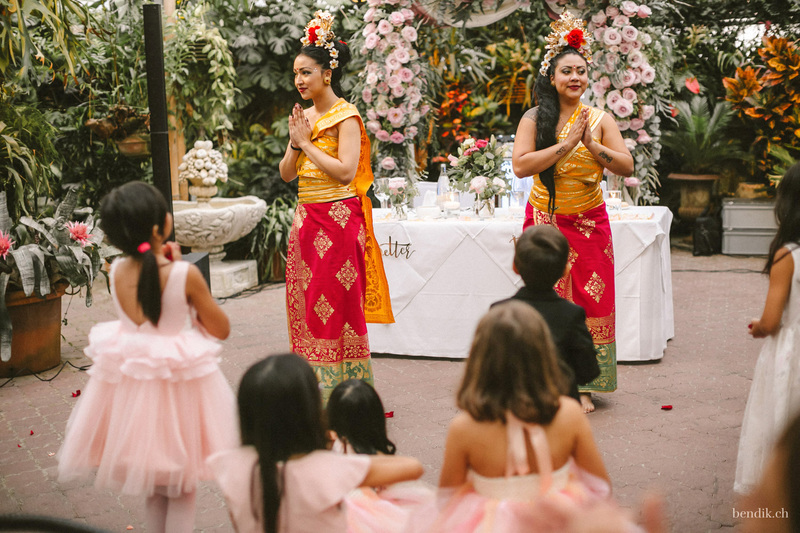 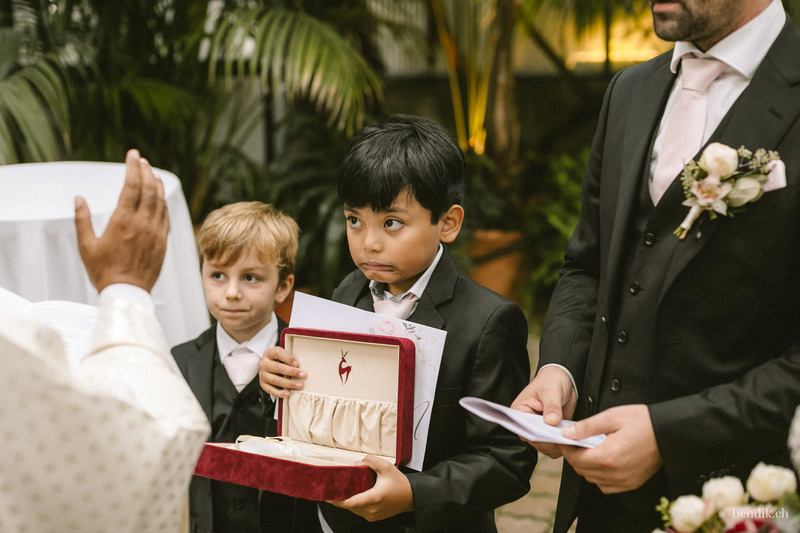 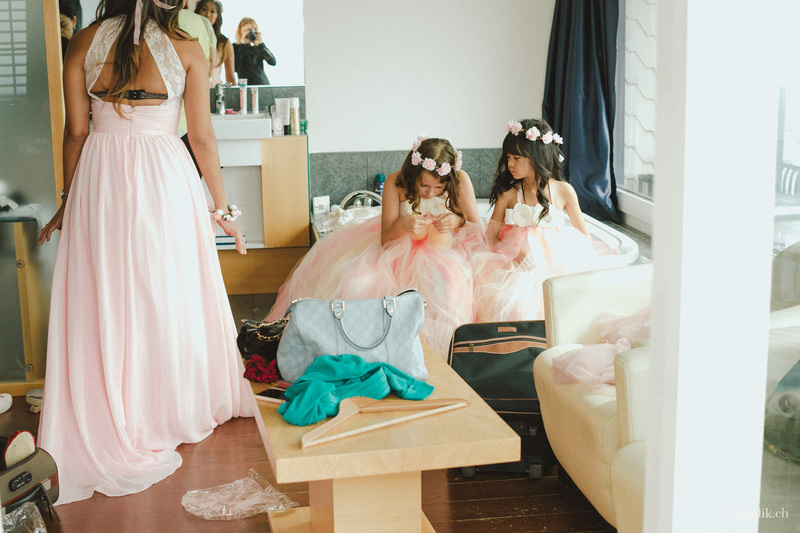 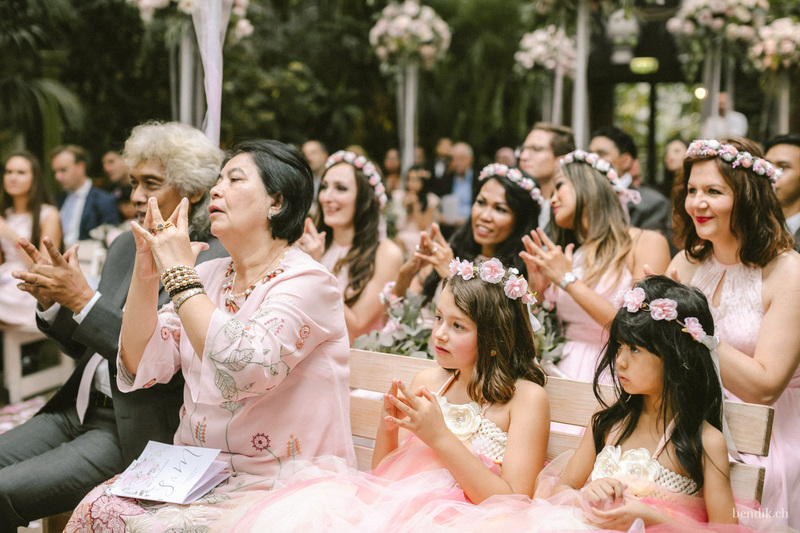 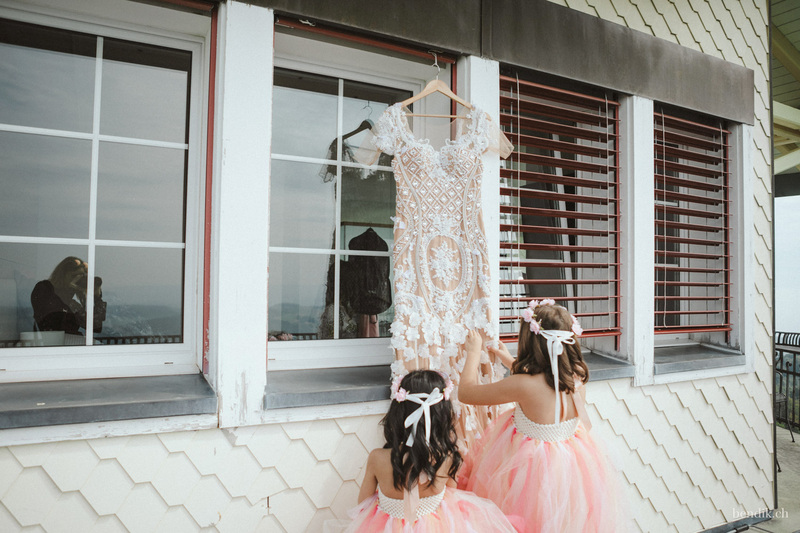 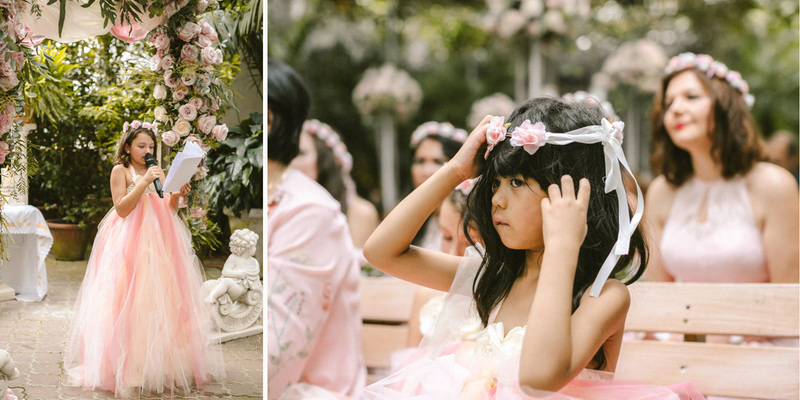 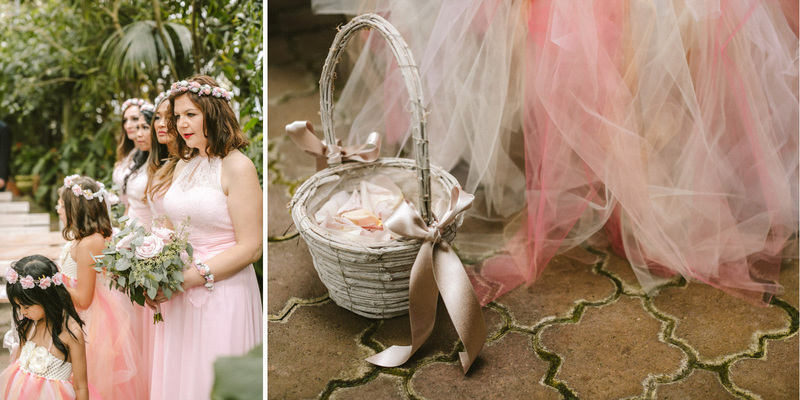 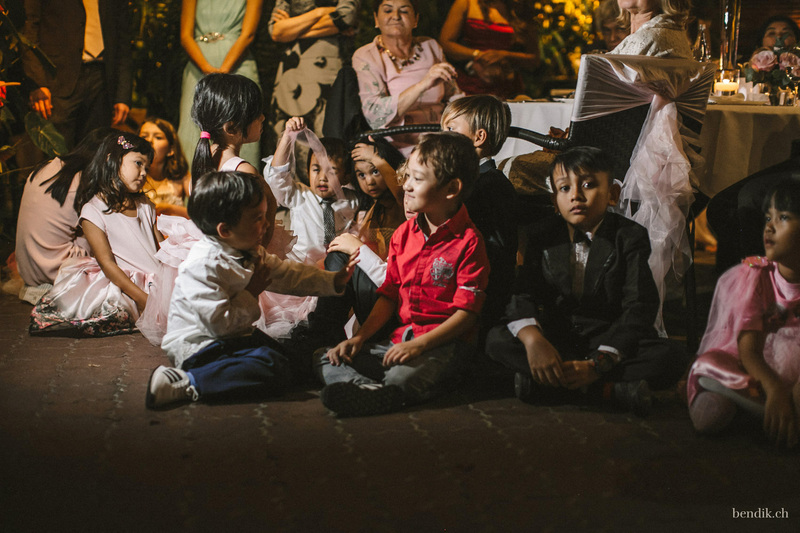 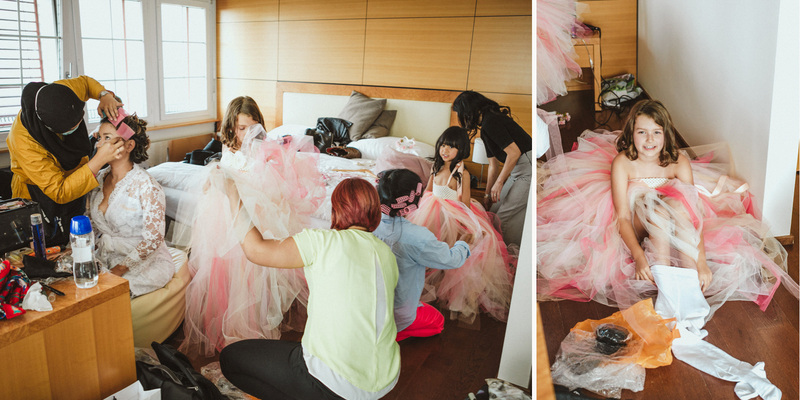 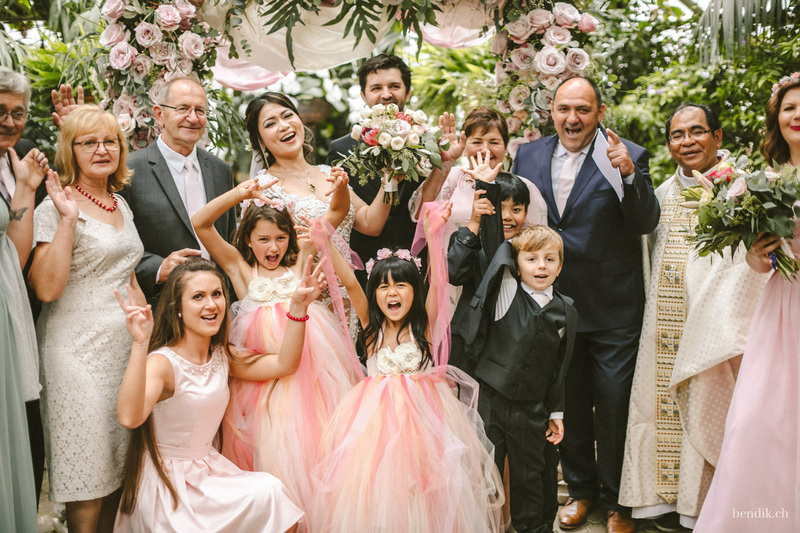 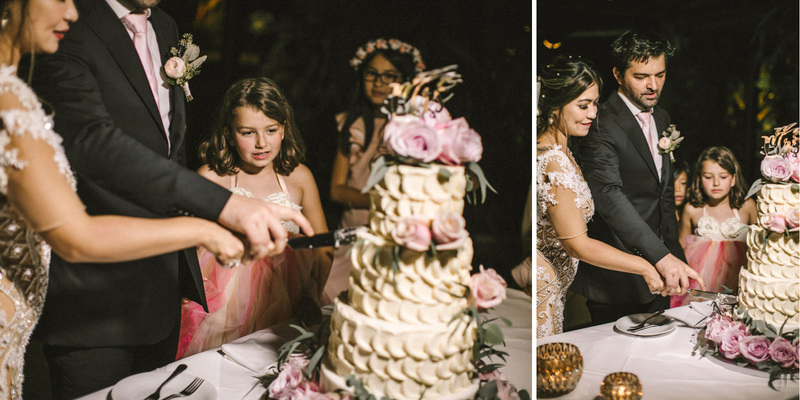 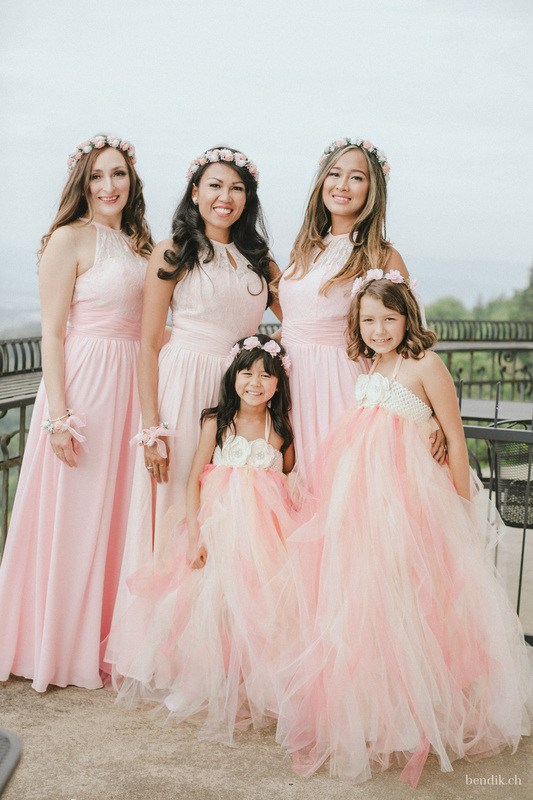 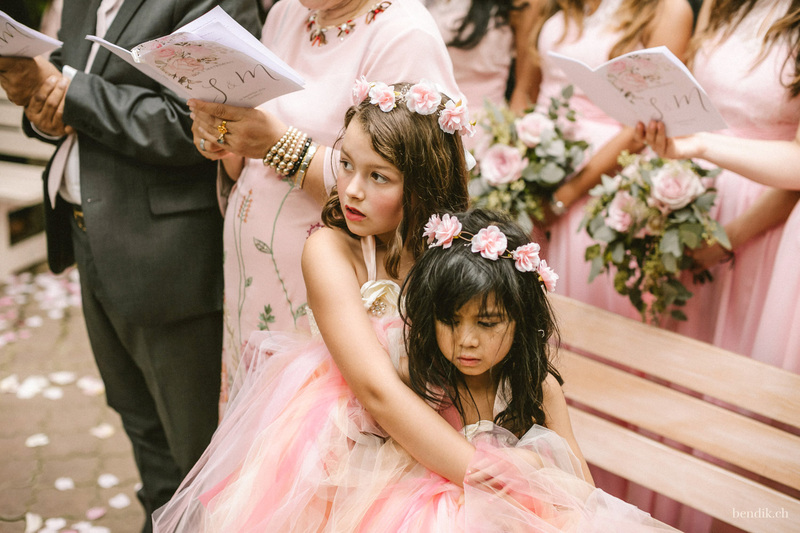 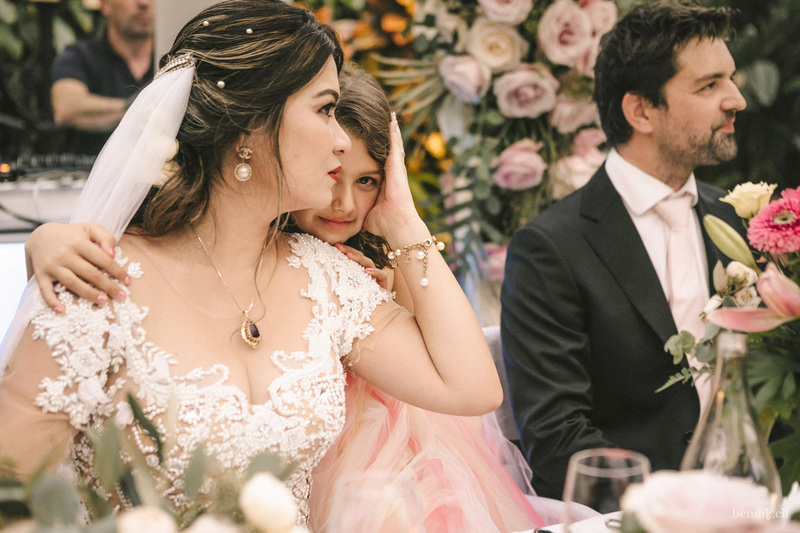 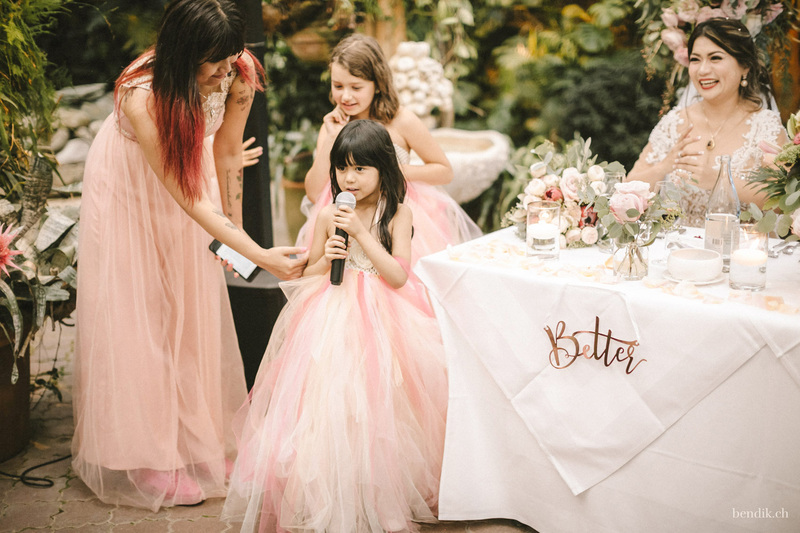 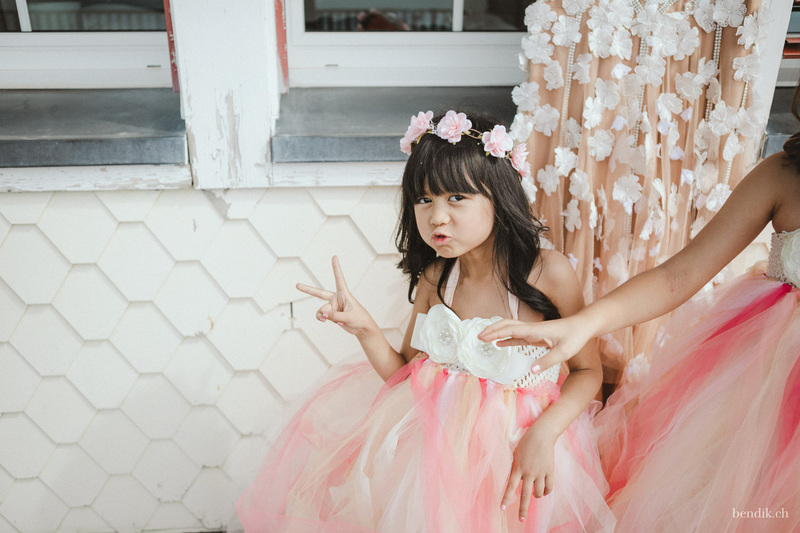 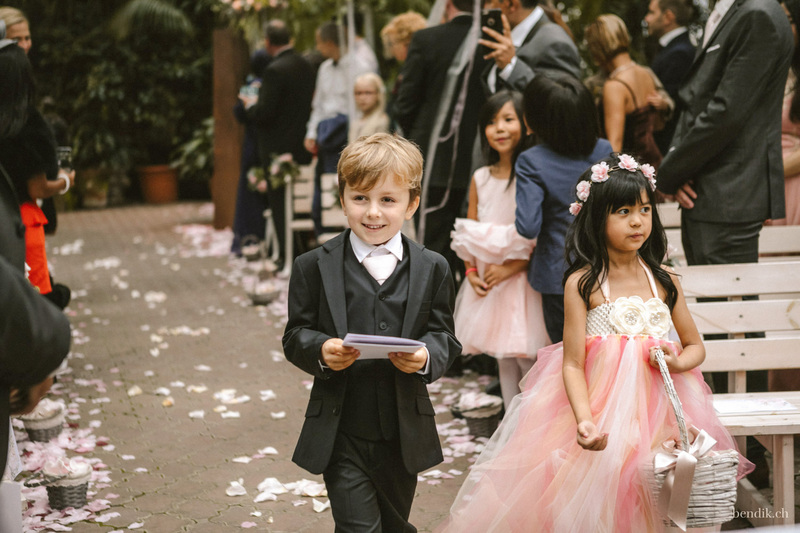 Amidst this vivid scenery, some of the cutest little girls that I have ever seen were standing in awe around Sakaria’s breathtaking wedding gown – please check out the pictures! 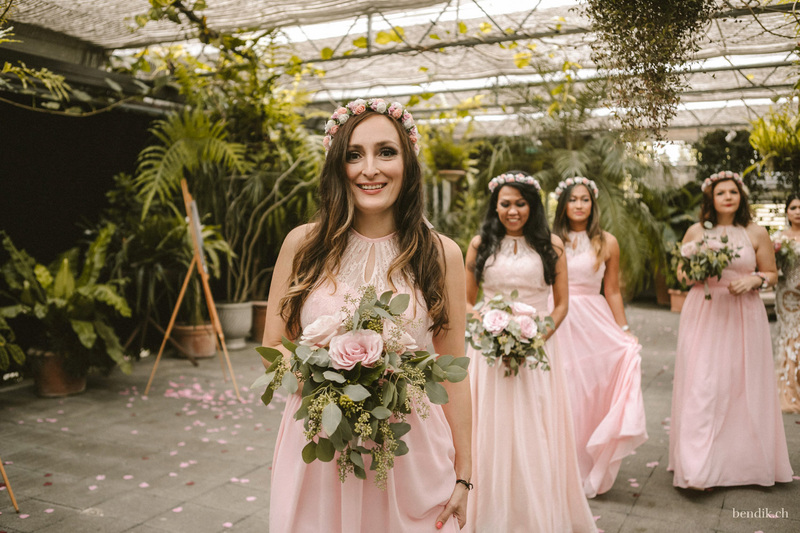 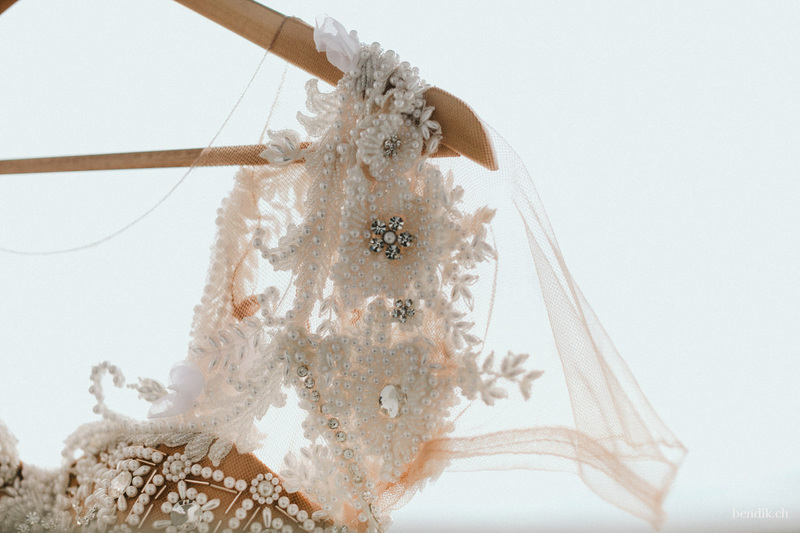 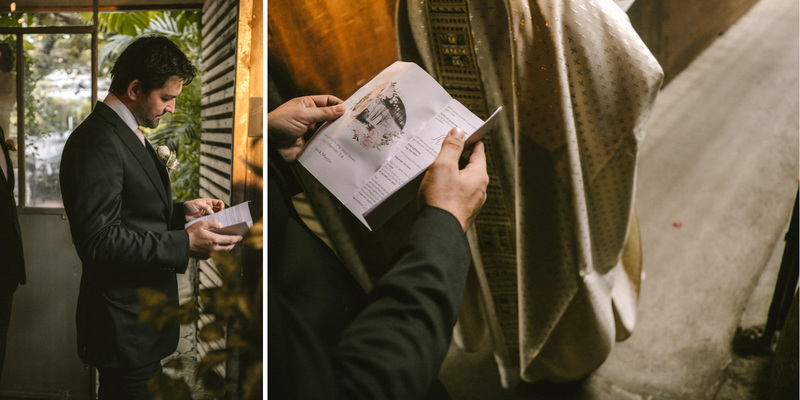 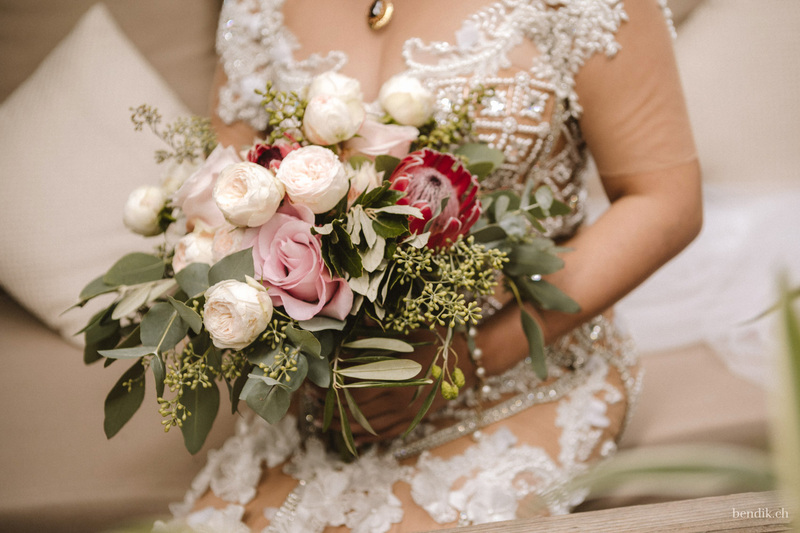 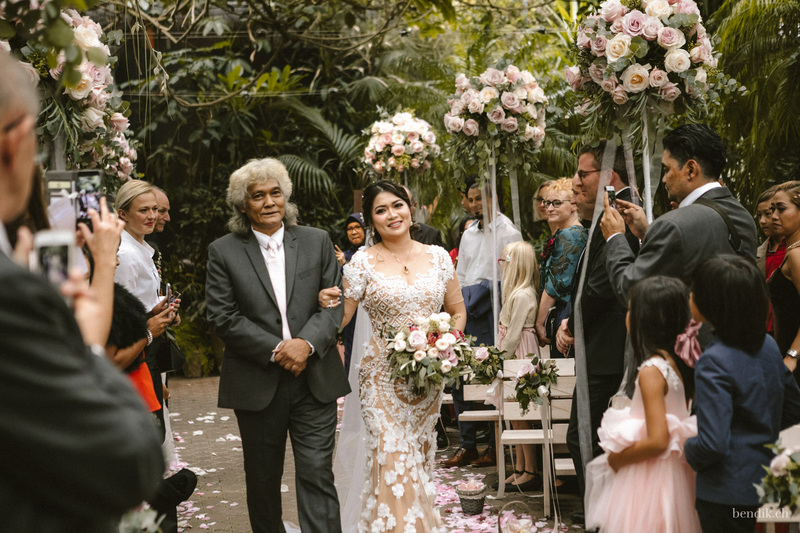 Sakaria told me that she had less than 2 months to design her wedding dress, which was handcrafted by two special fashion designers – her brother and the sister. 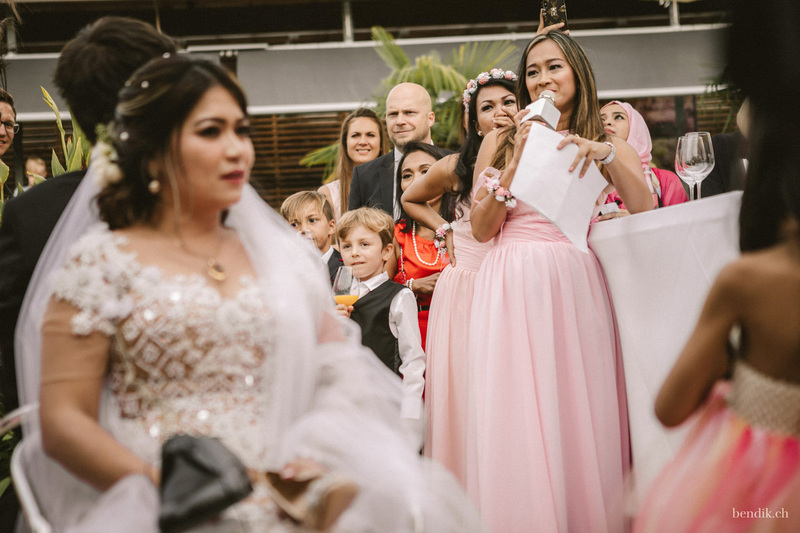 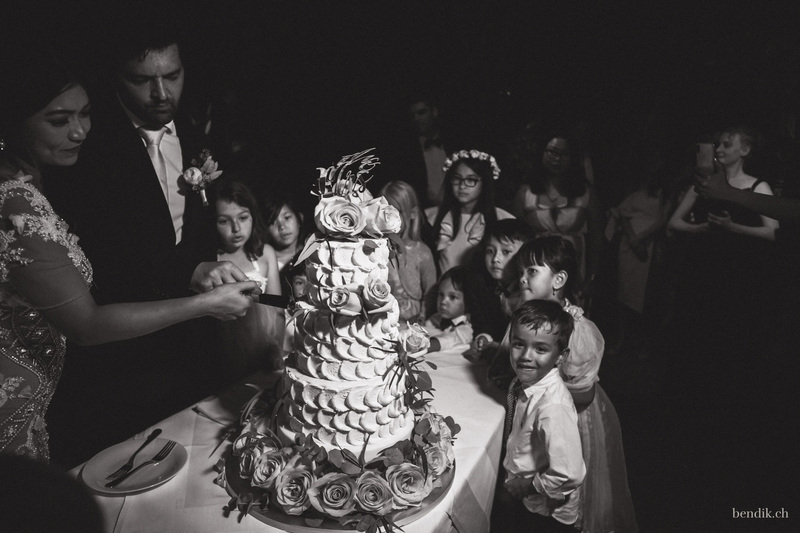 It is still a mystery to me how this brave woman managed to organize a wedding with 80 guests and to take care of all the small details involved, all while taking care of 4 children! 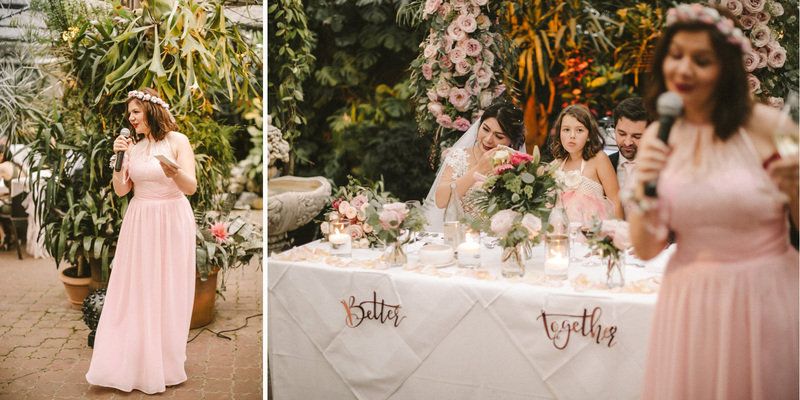 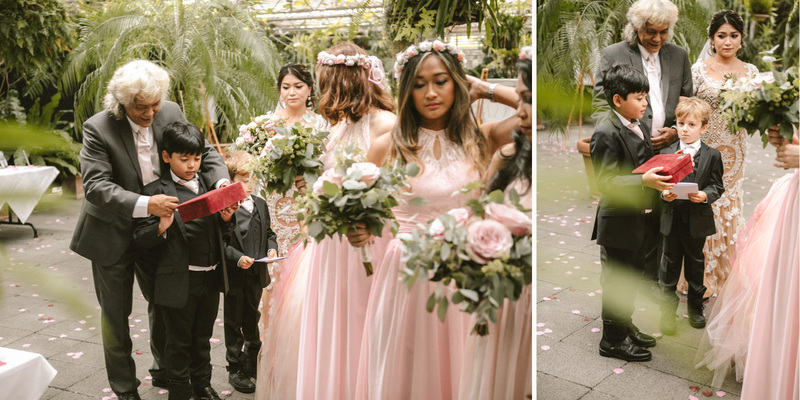 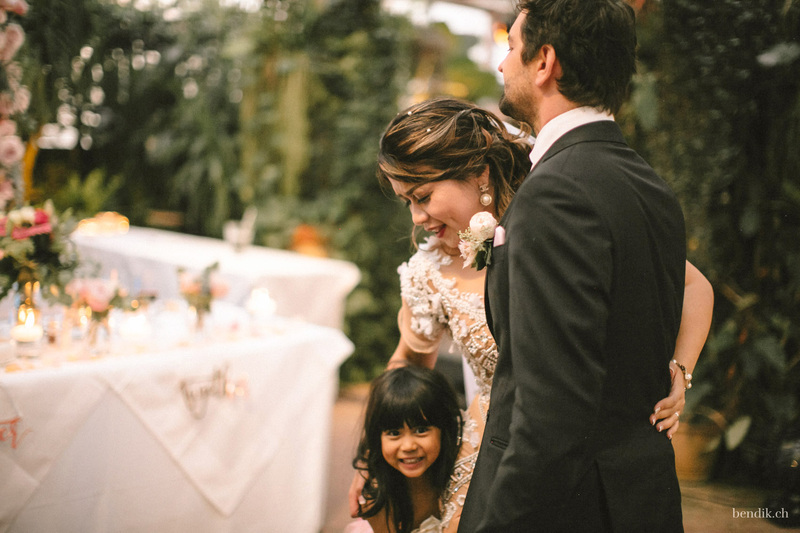 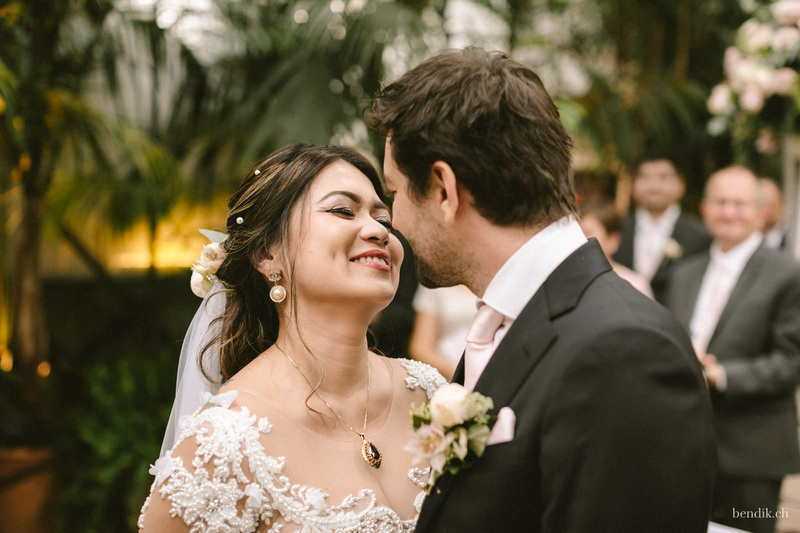 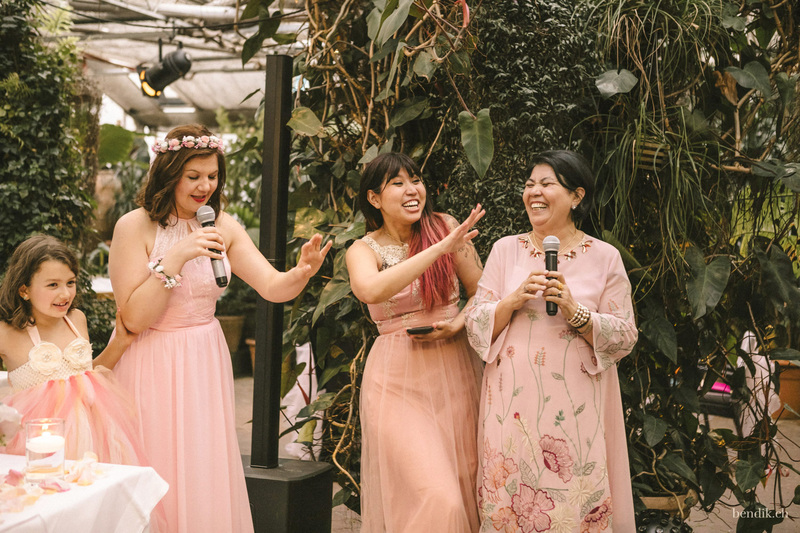 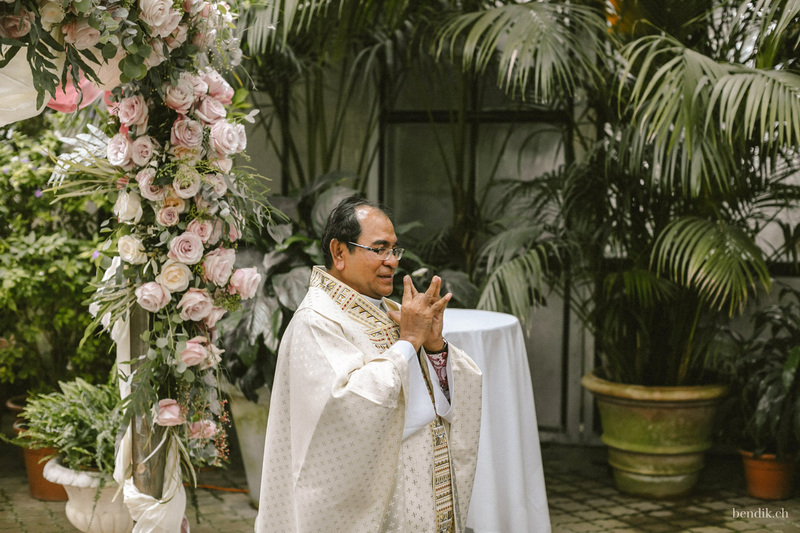 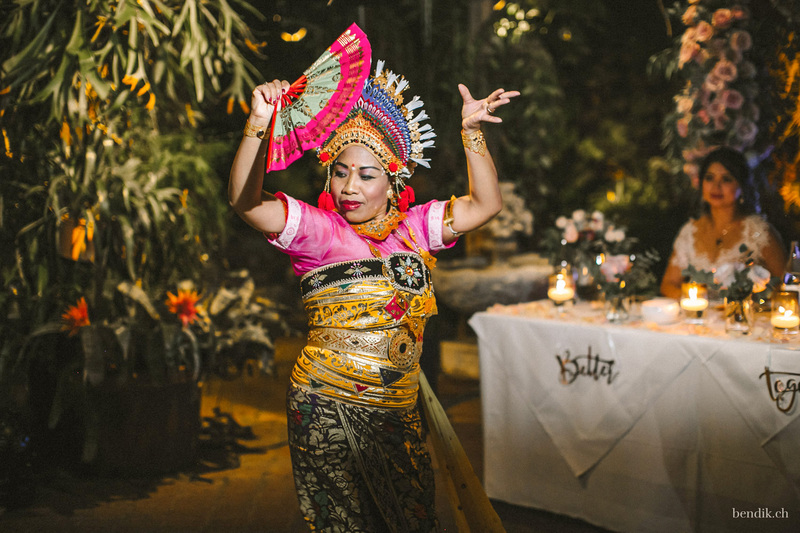 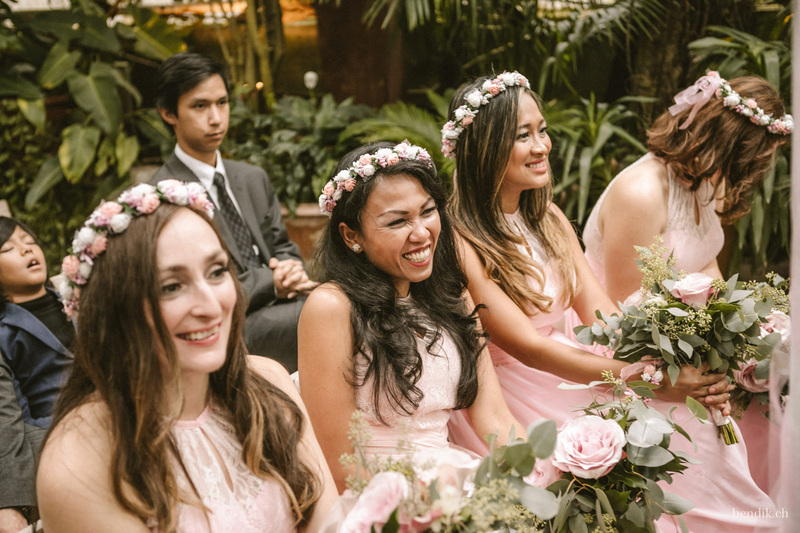 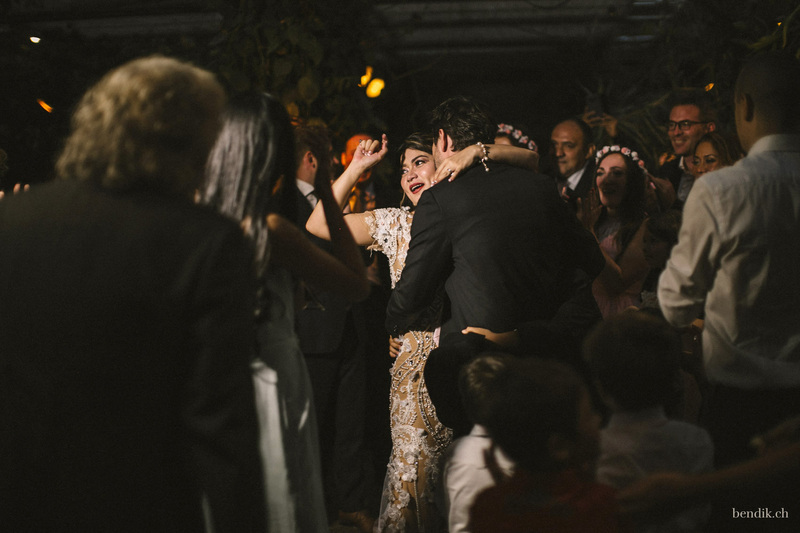 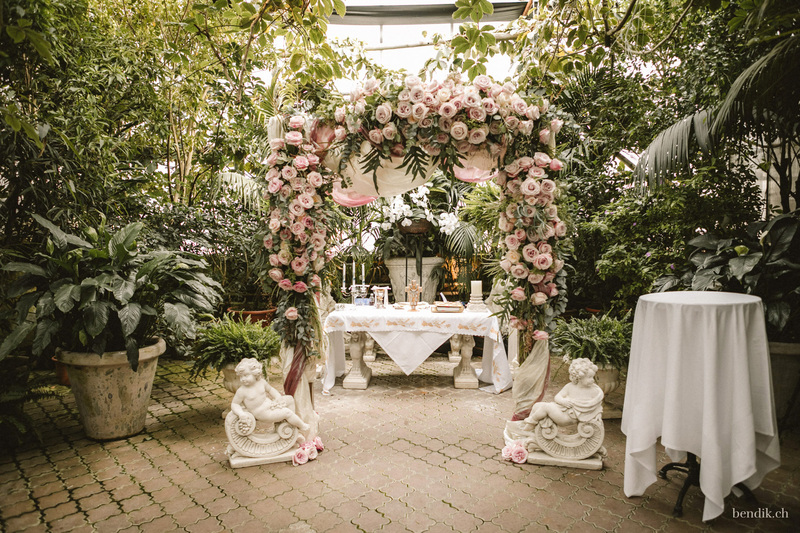 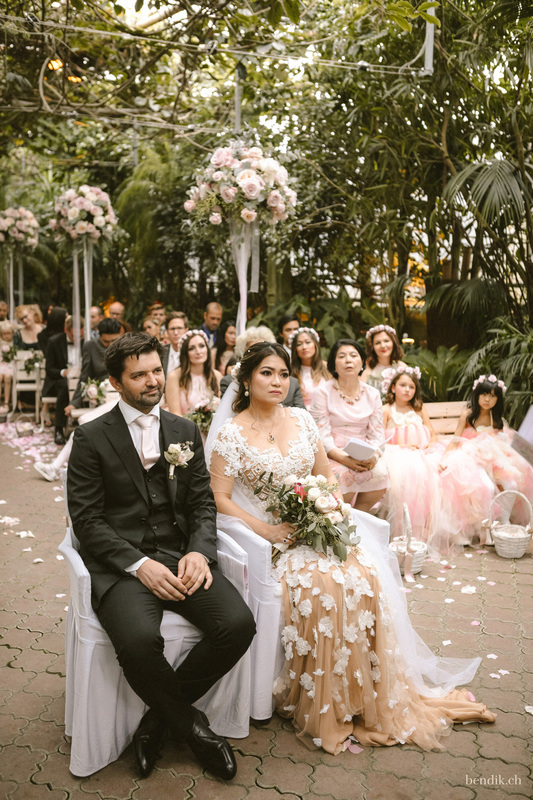 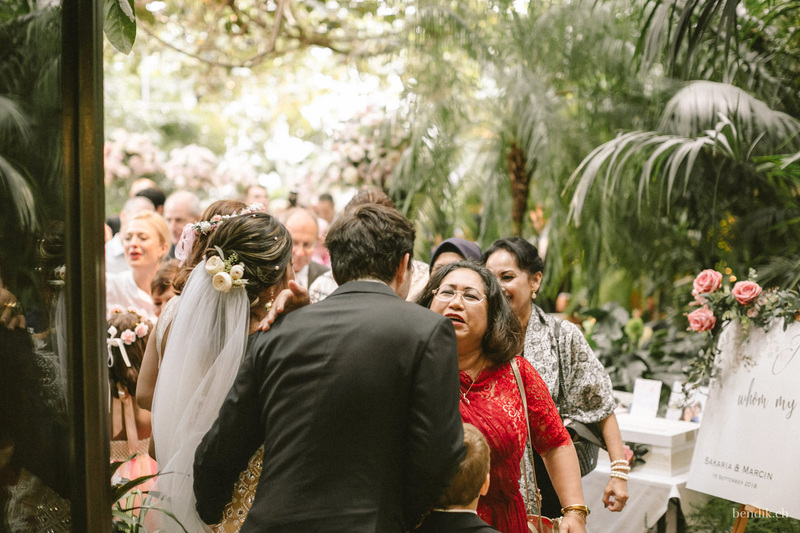 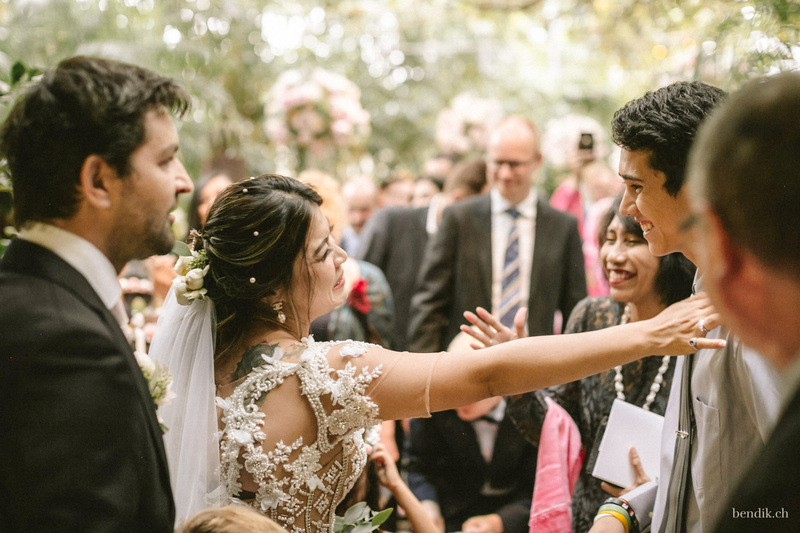 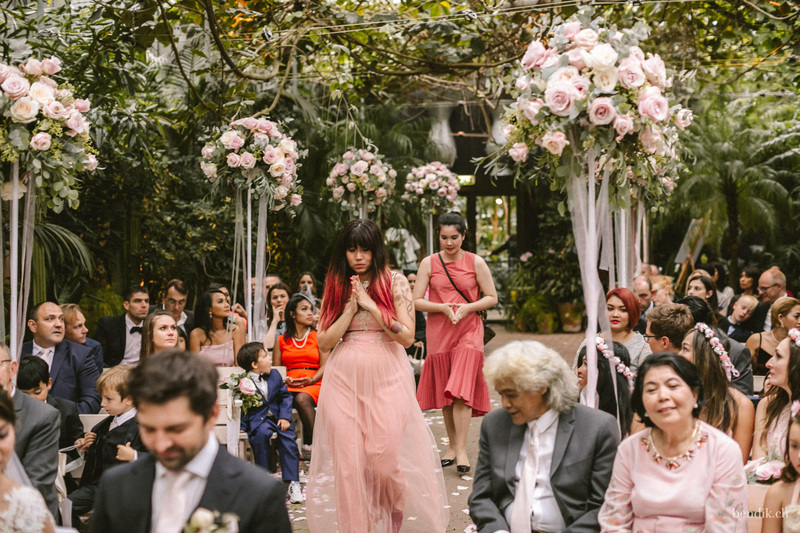 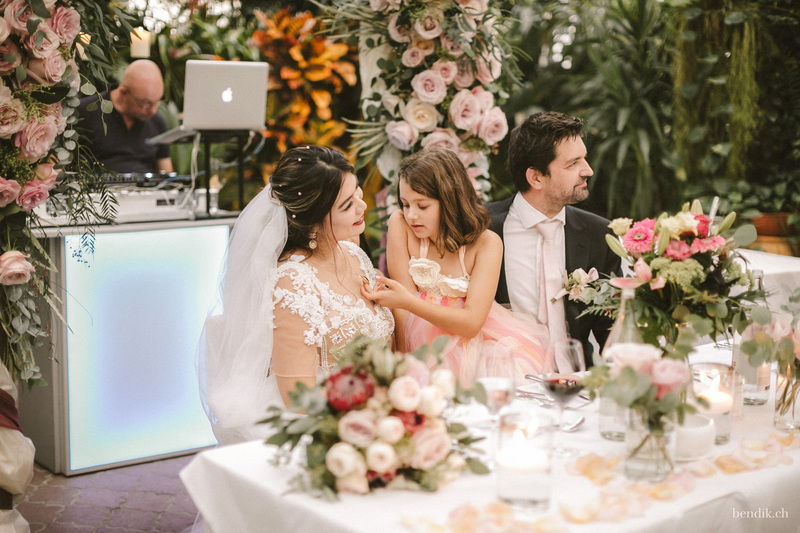 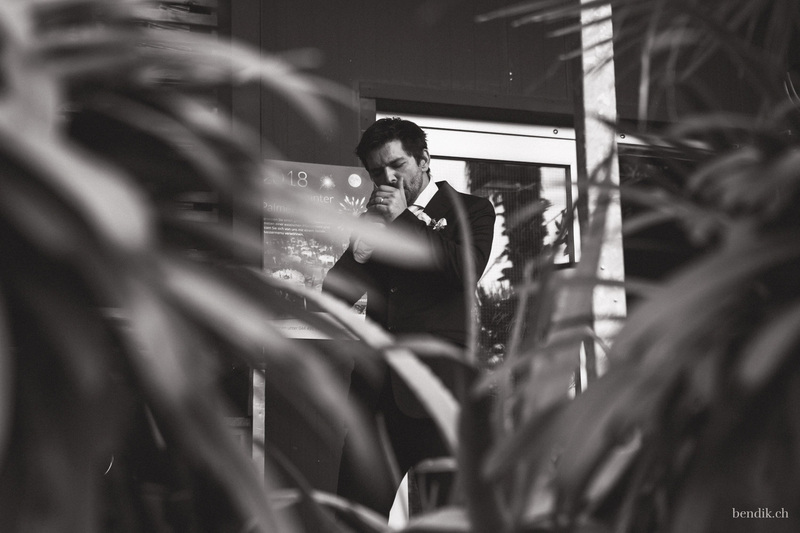 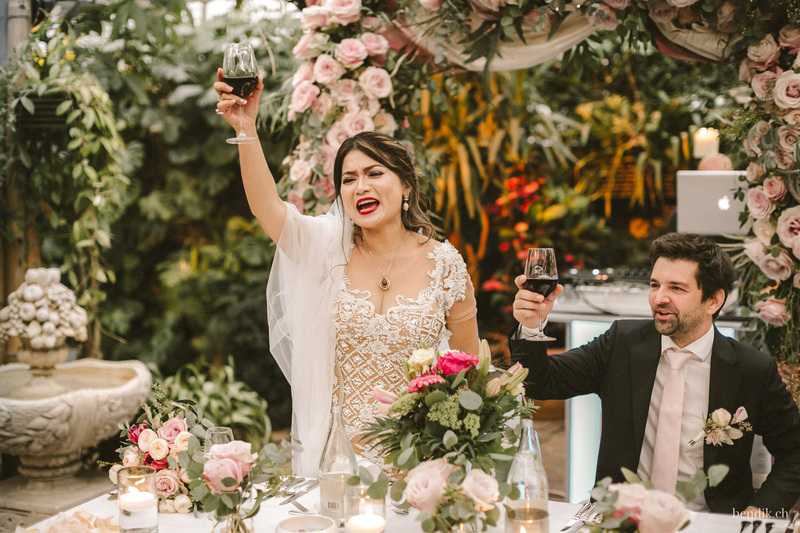 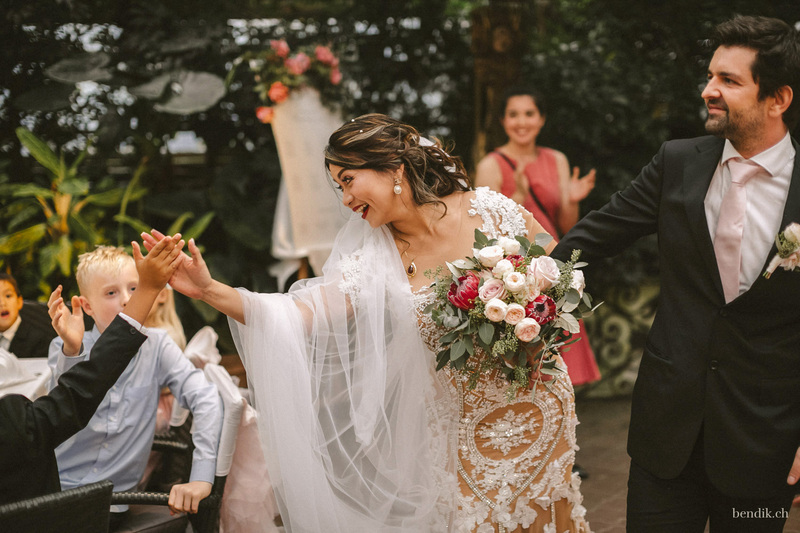 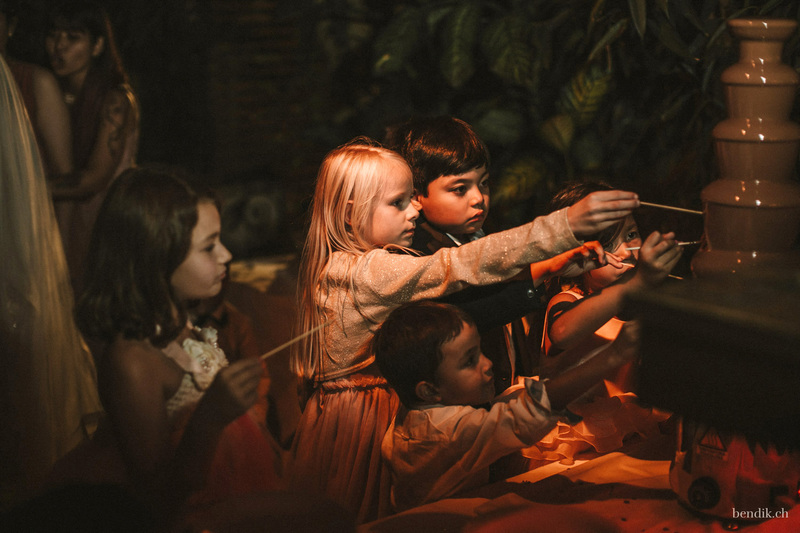 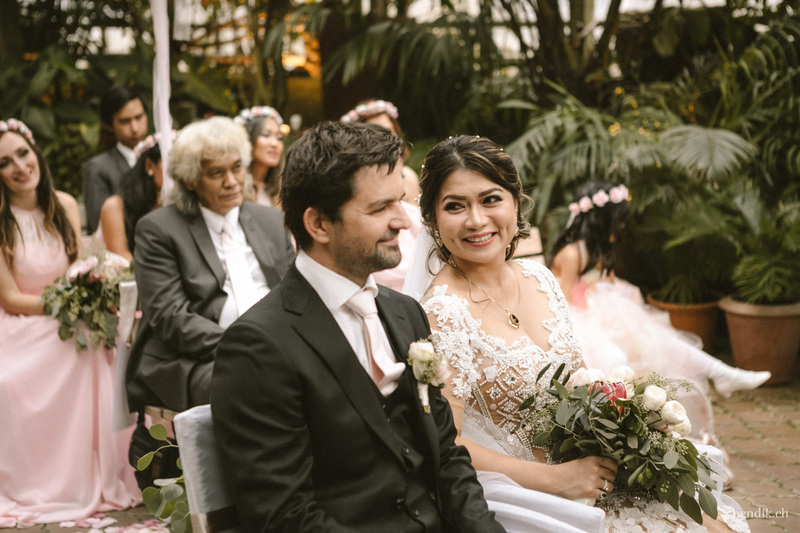 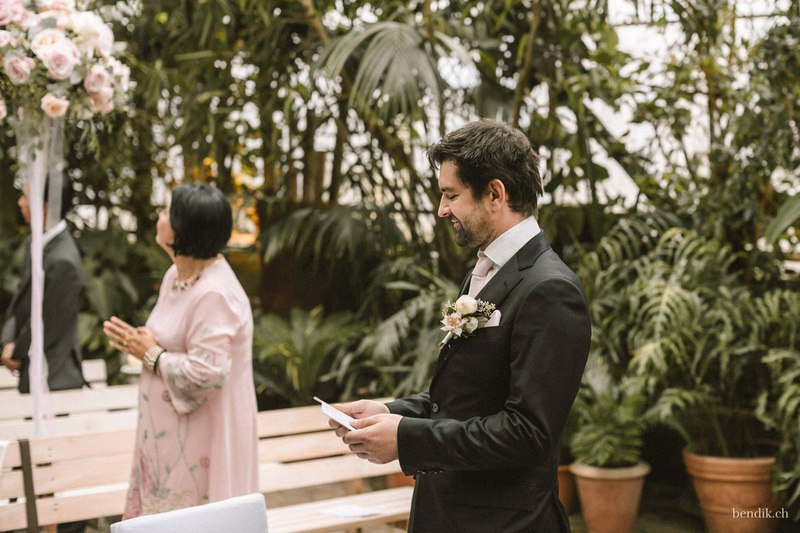 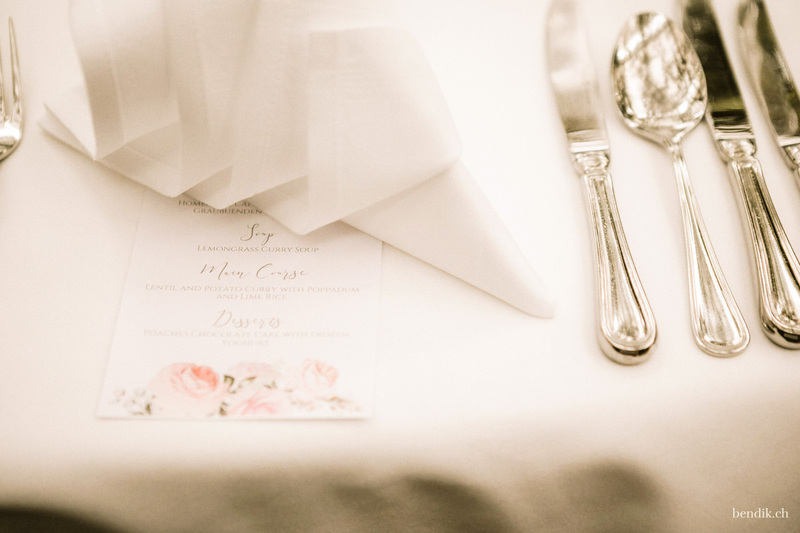 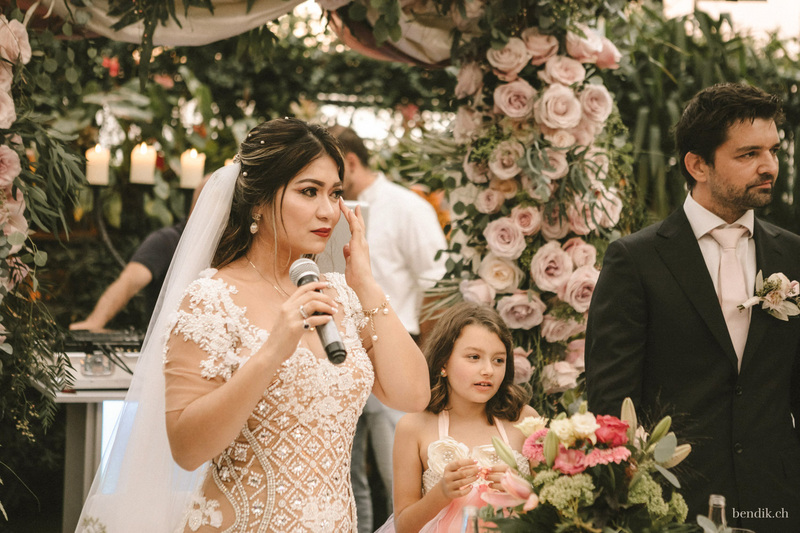 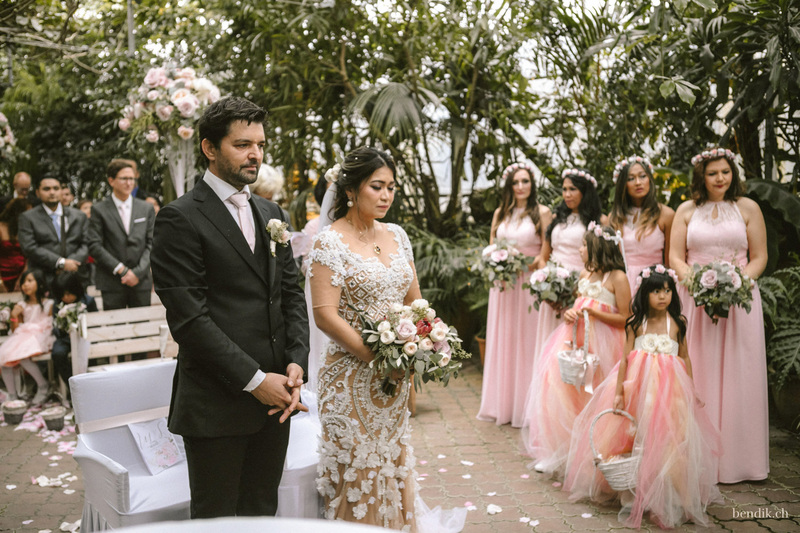 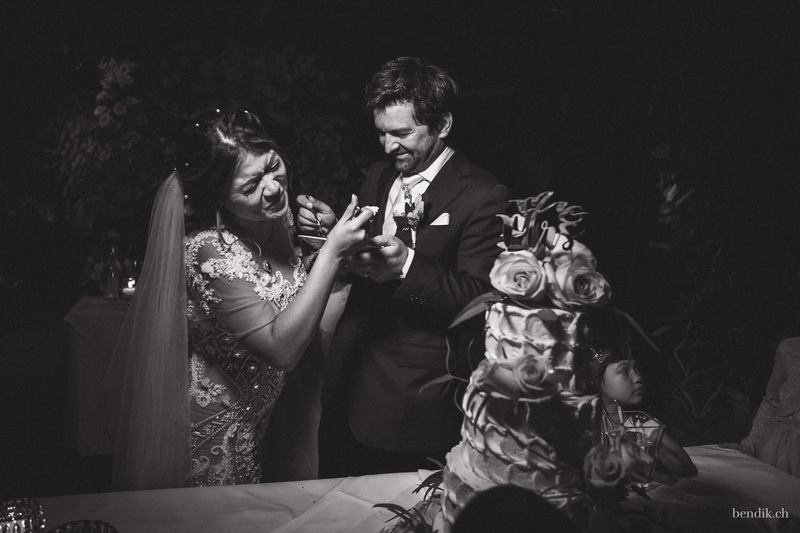 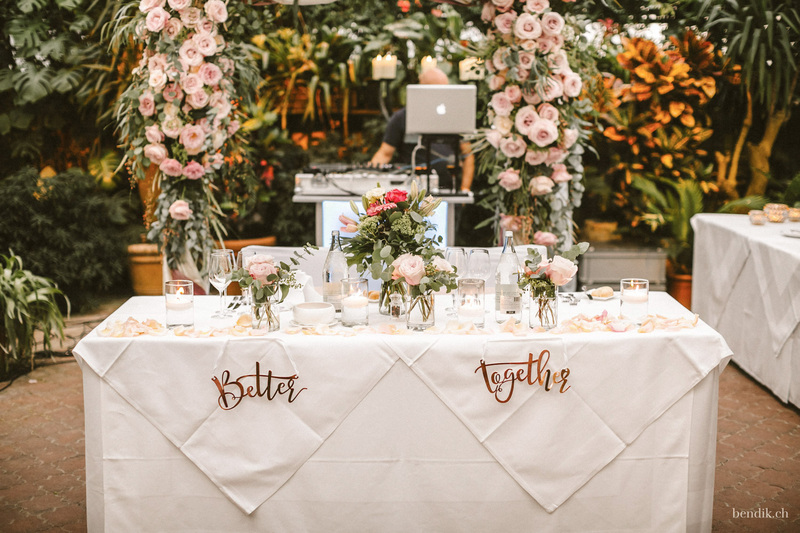 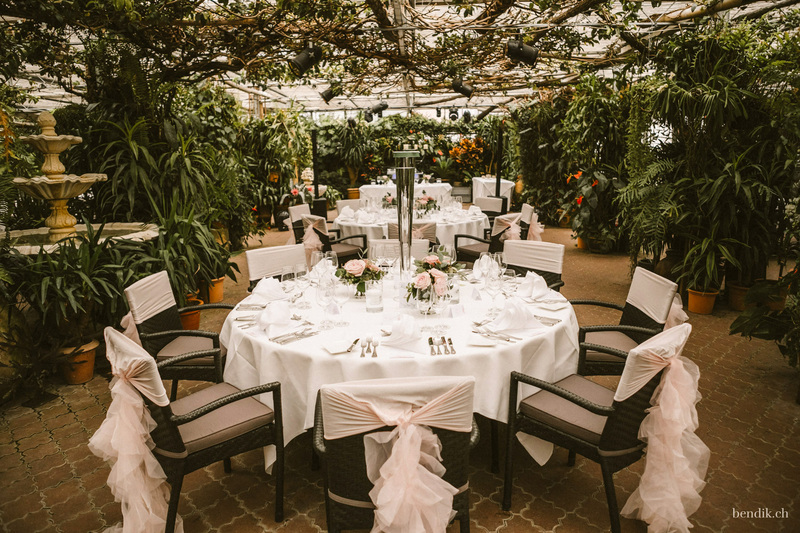 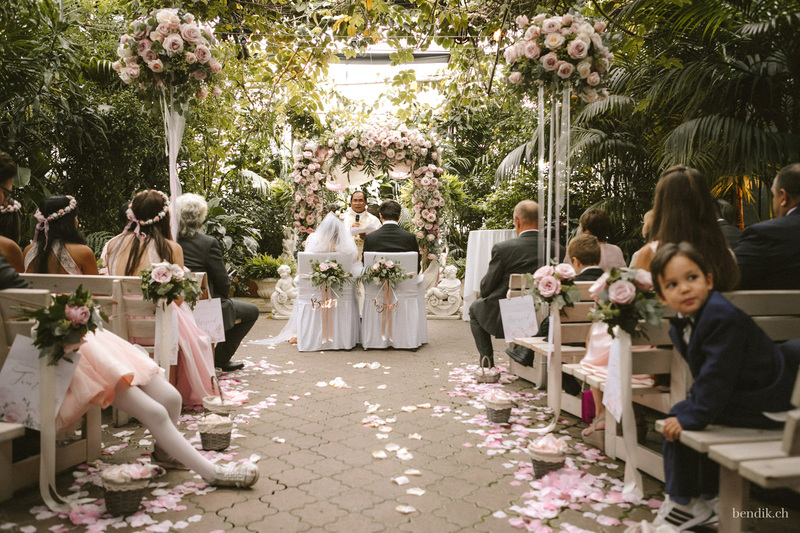 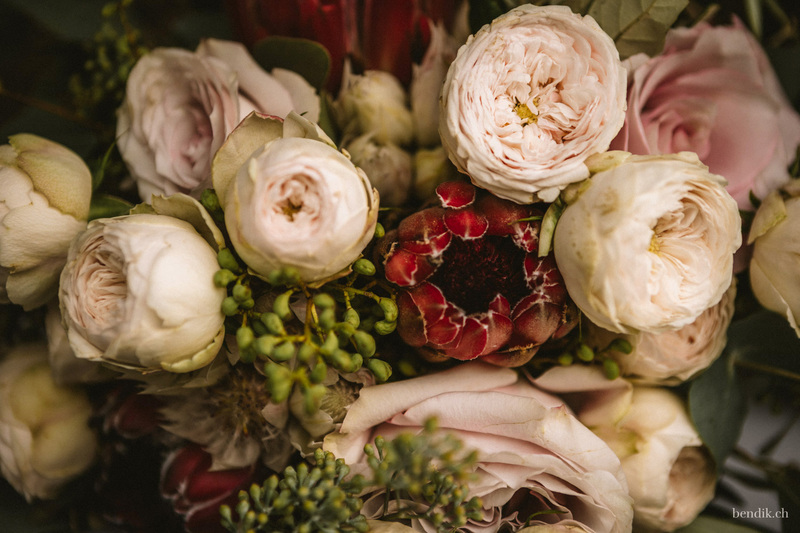 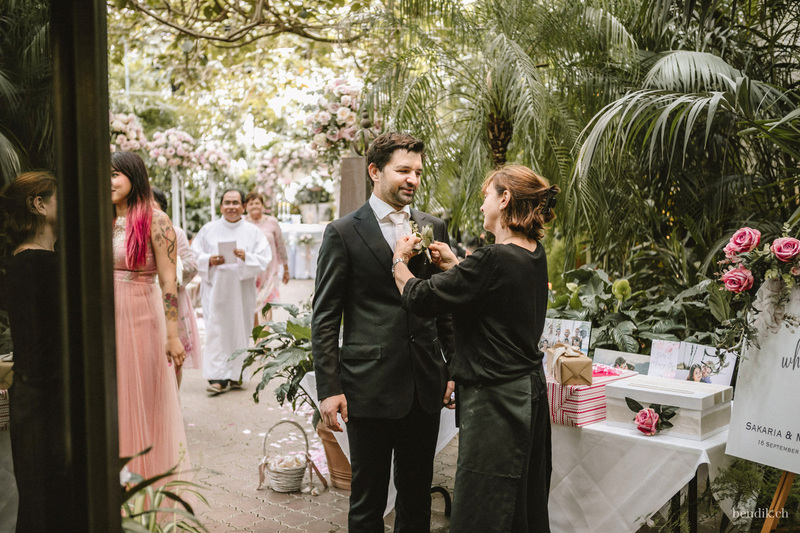 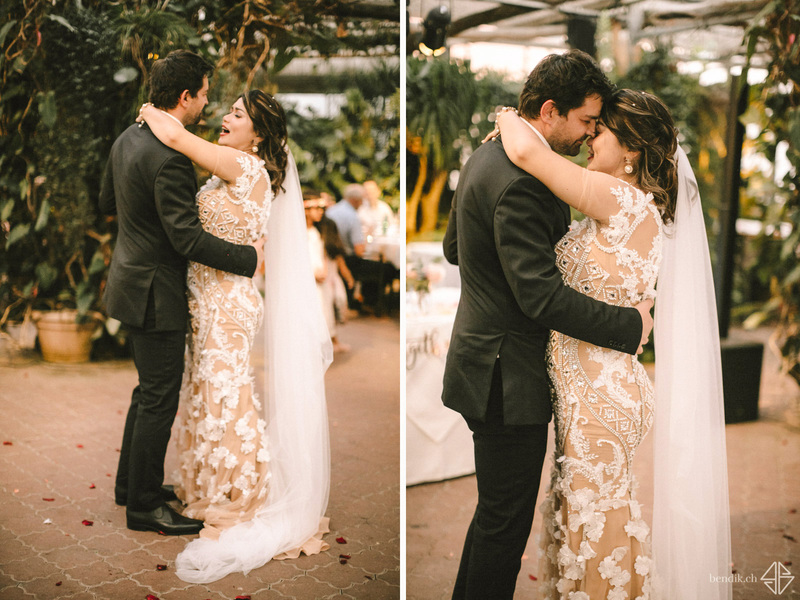 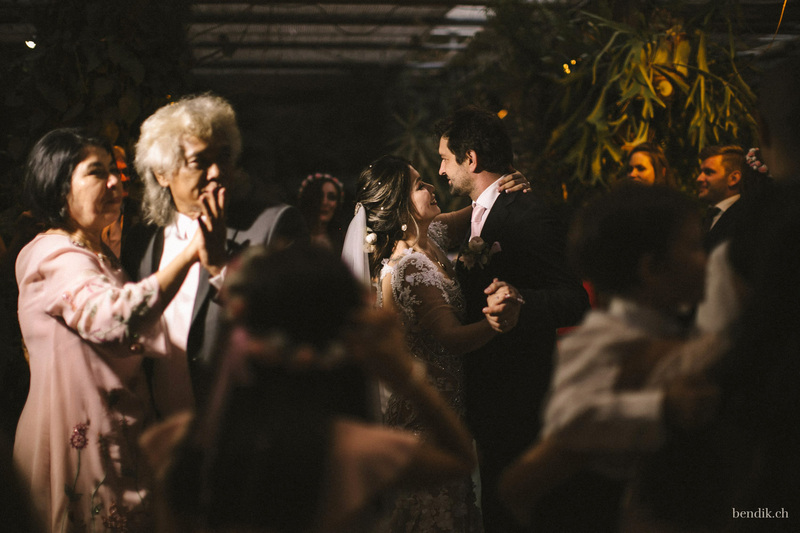 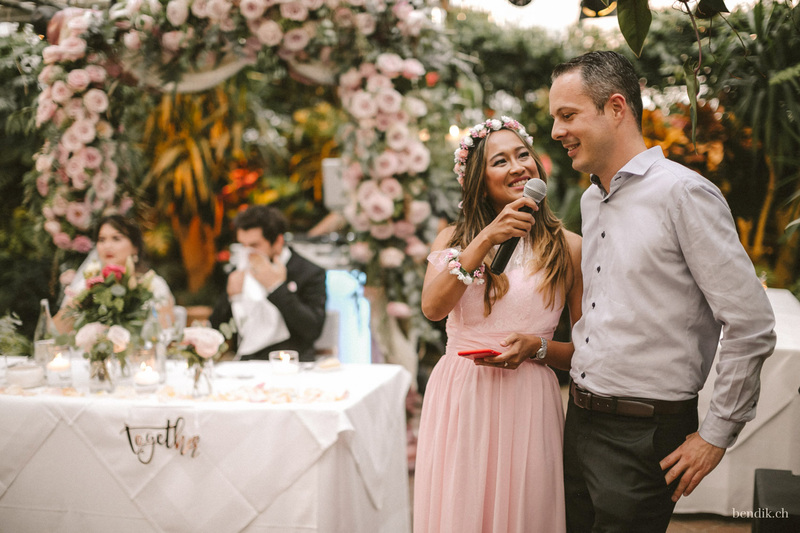 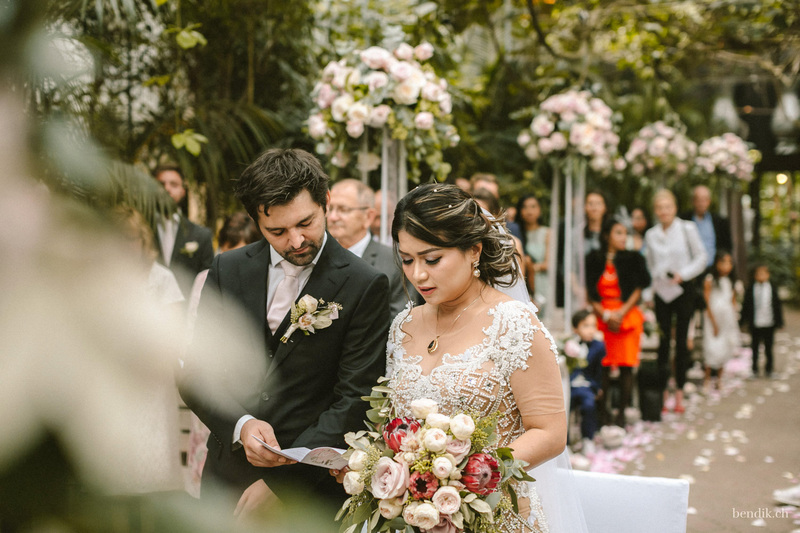 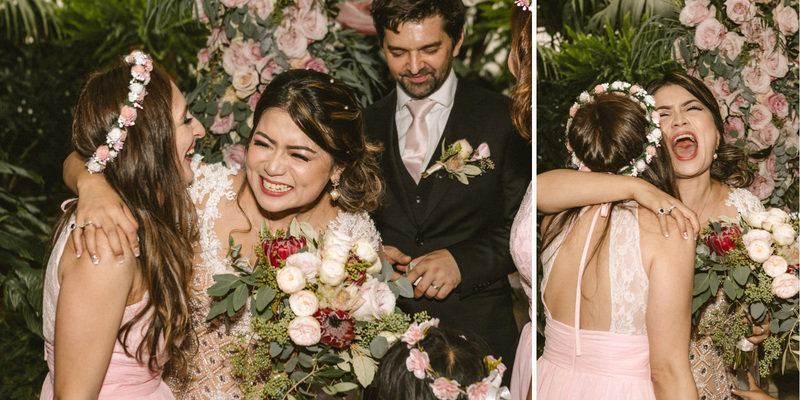 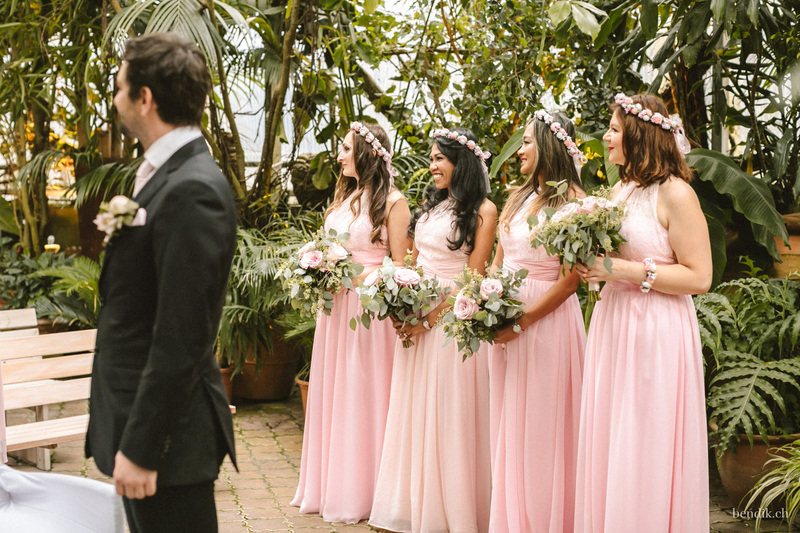 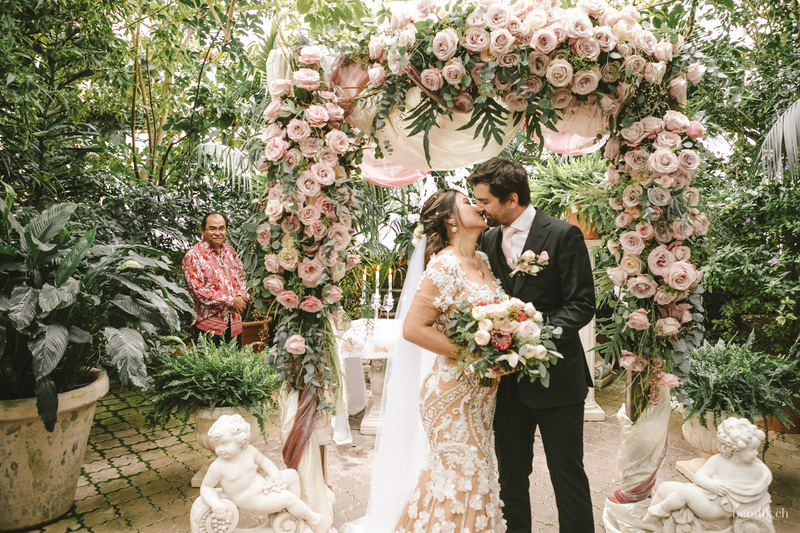 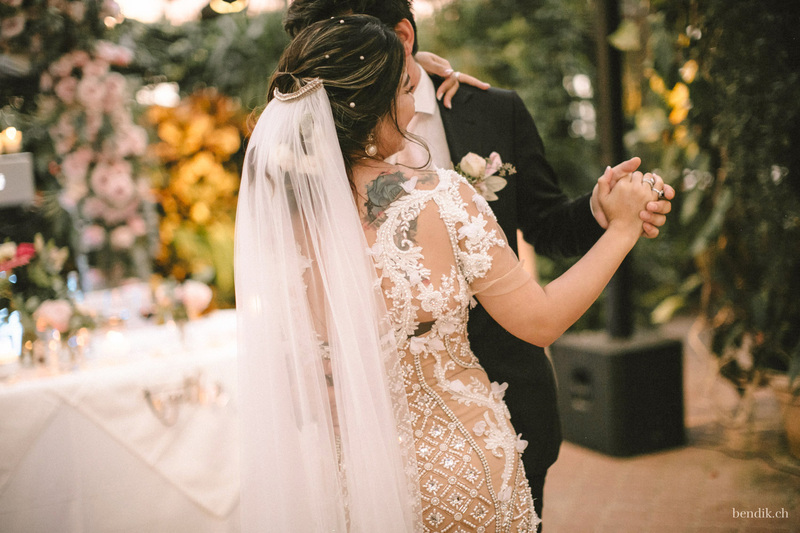 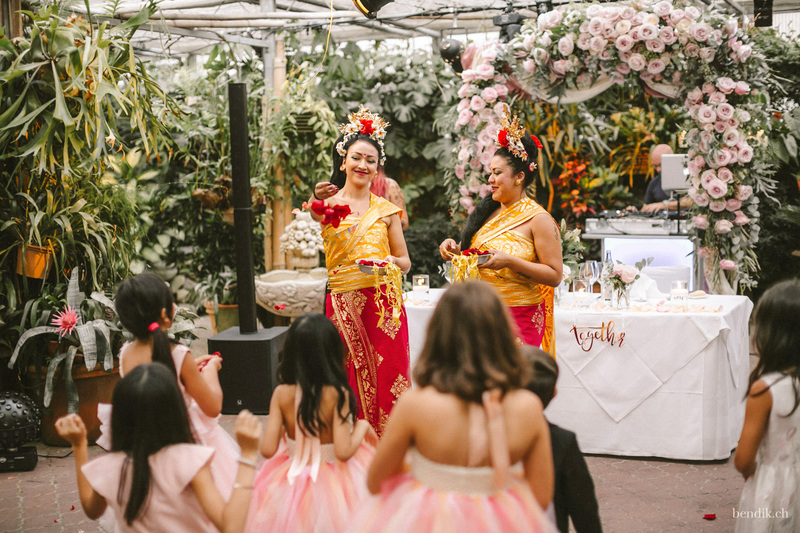 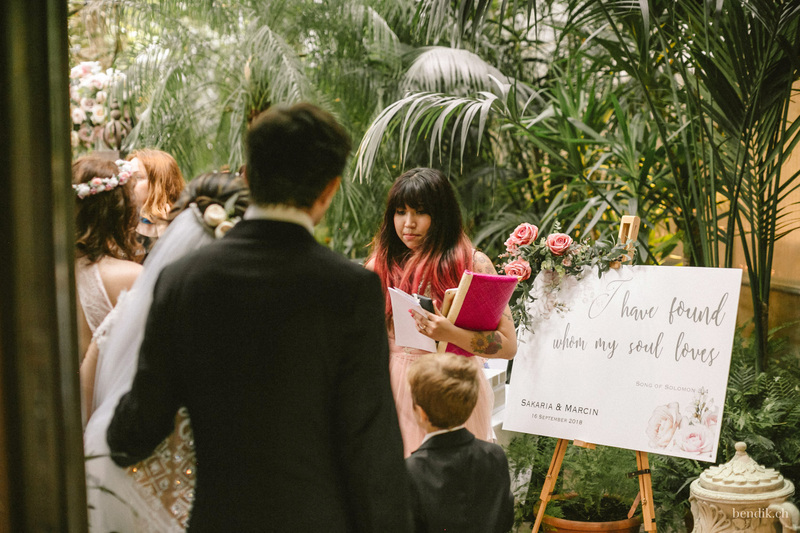 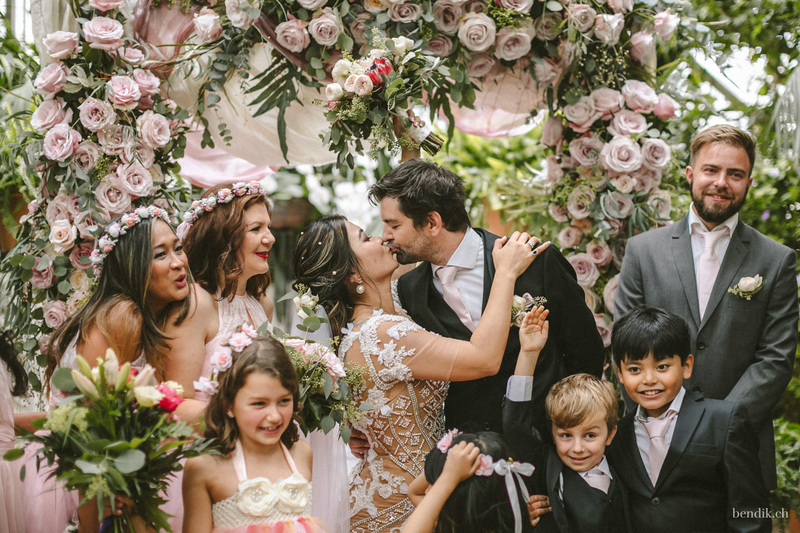 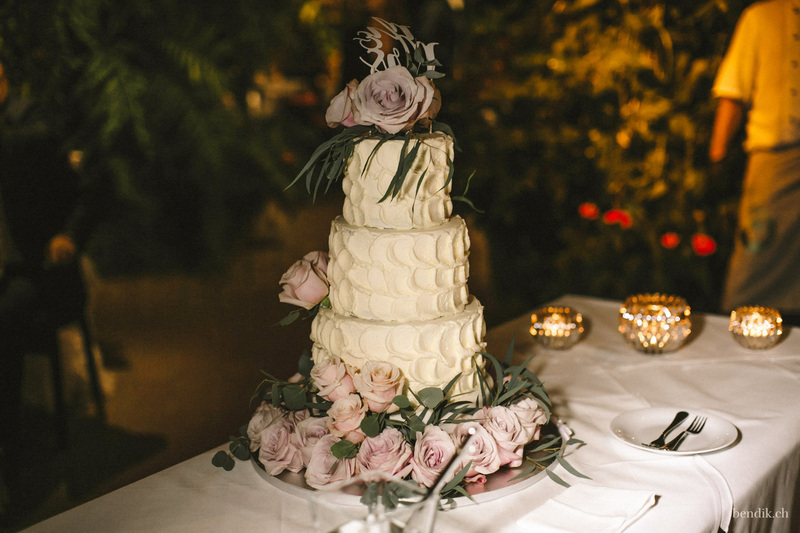 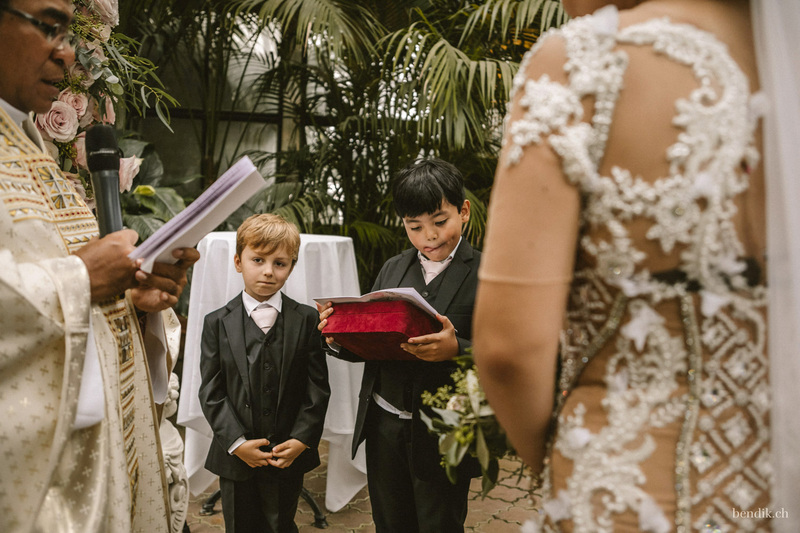 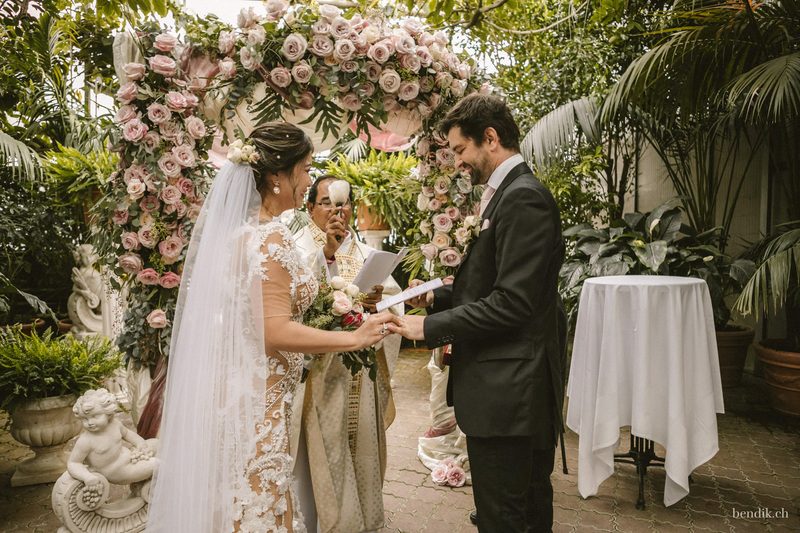 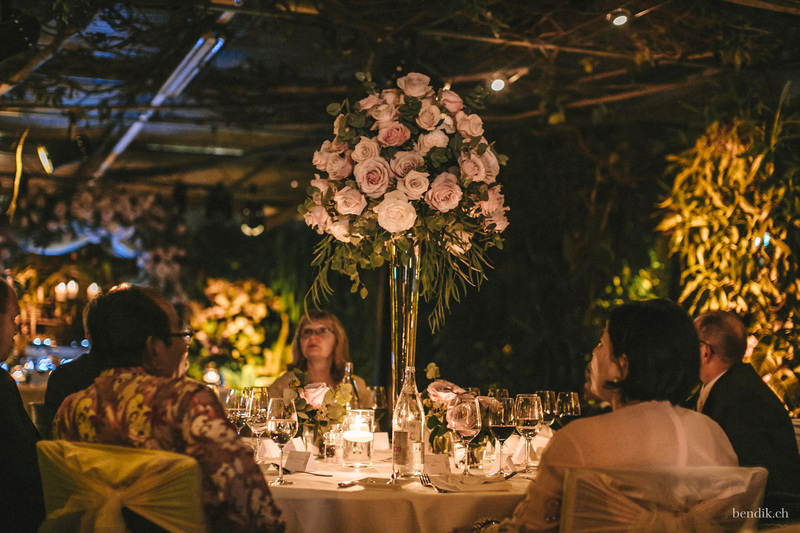 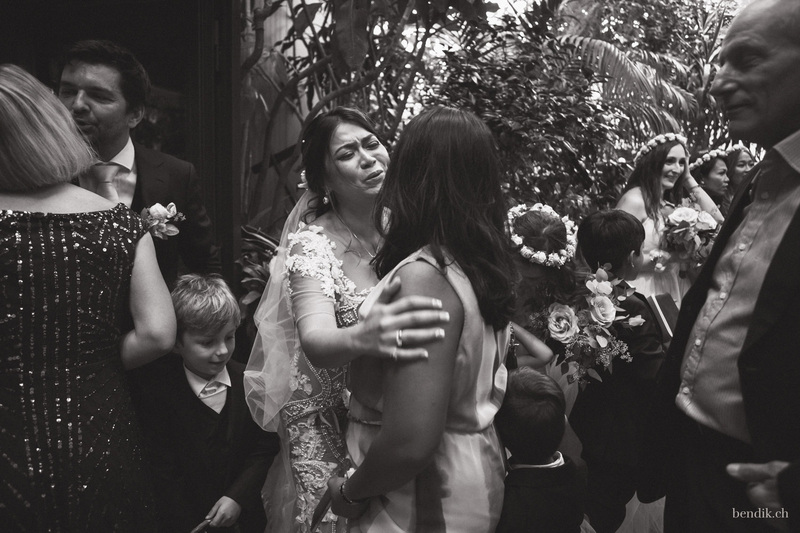 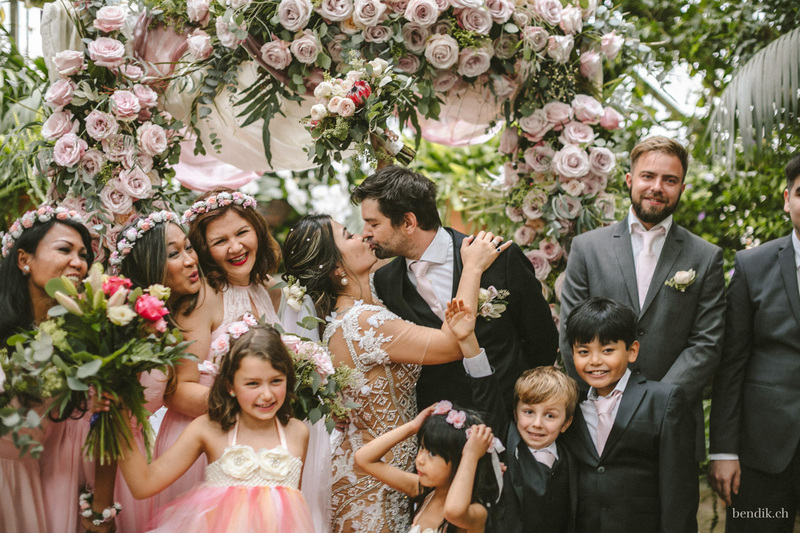 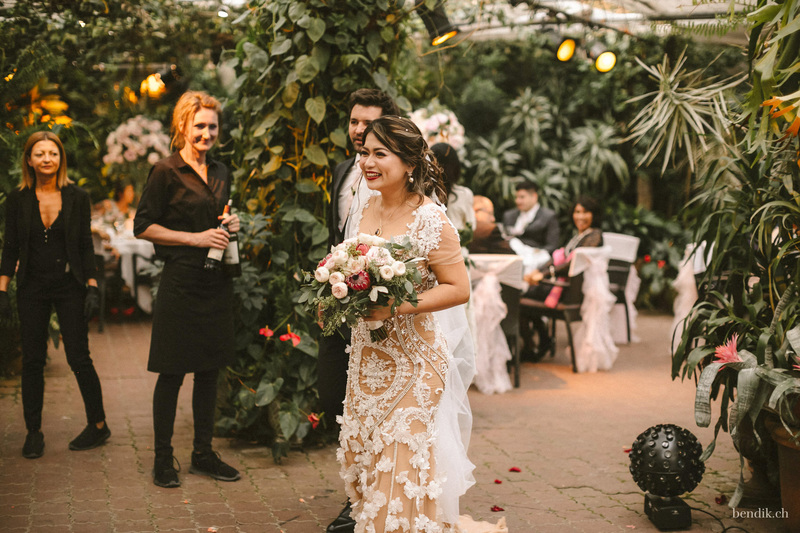 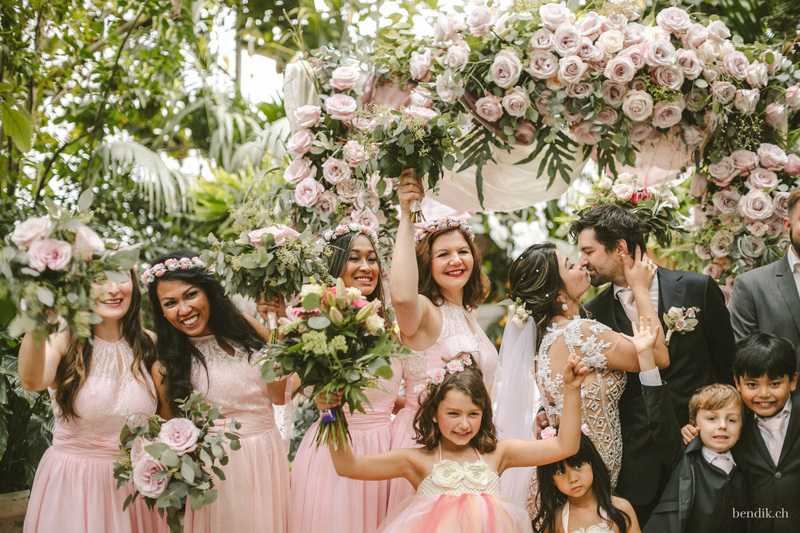 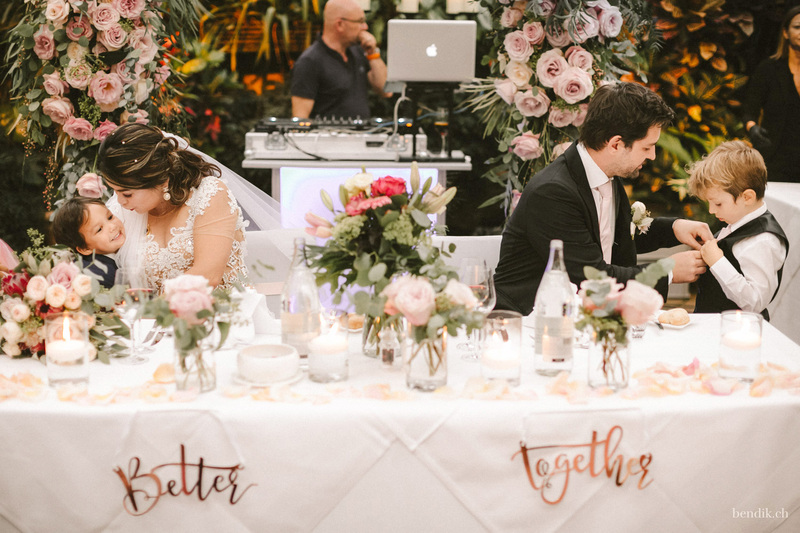 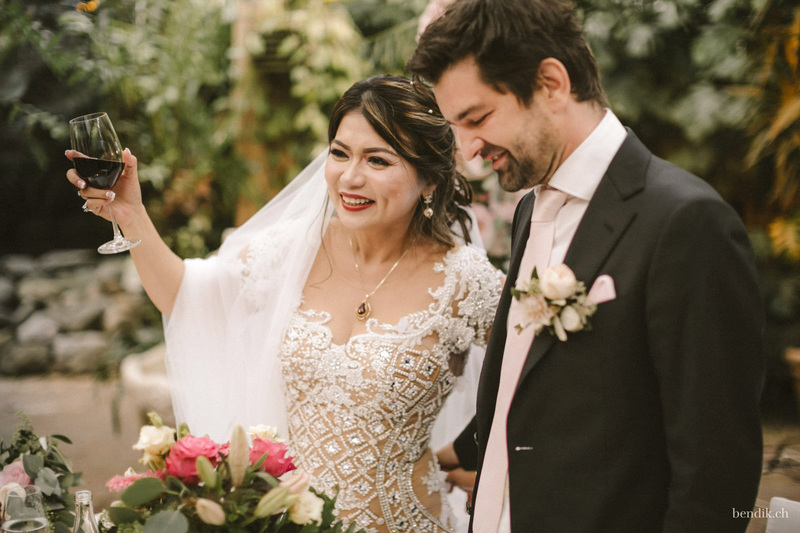 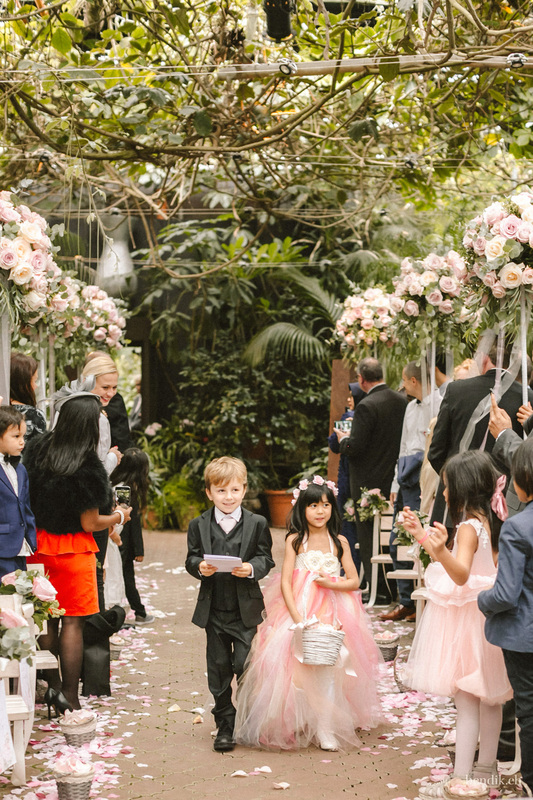 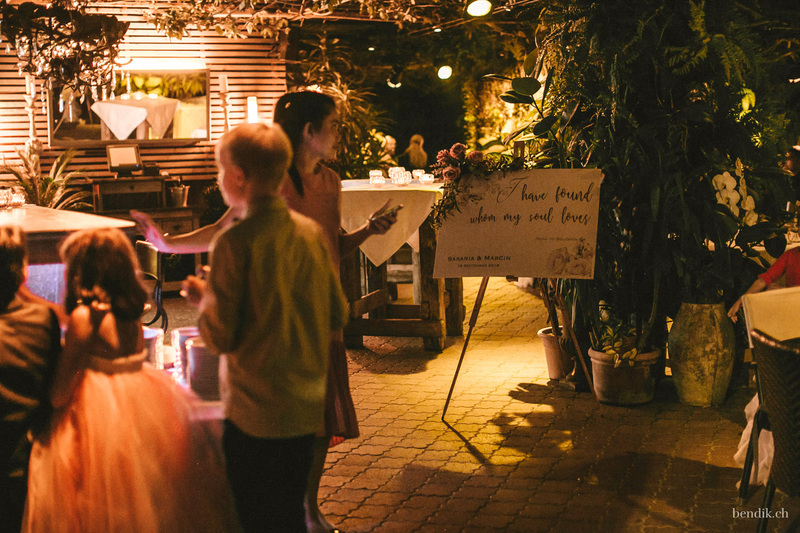 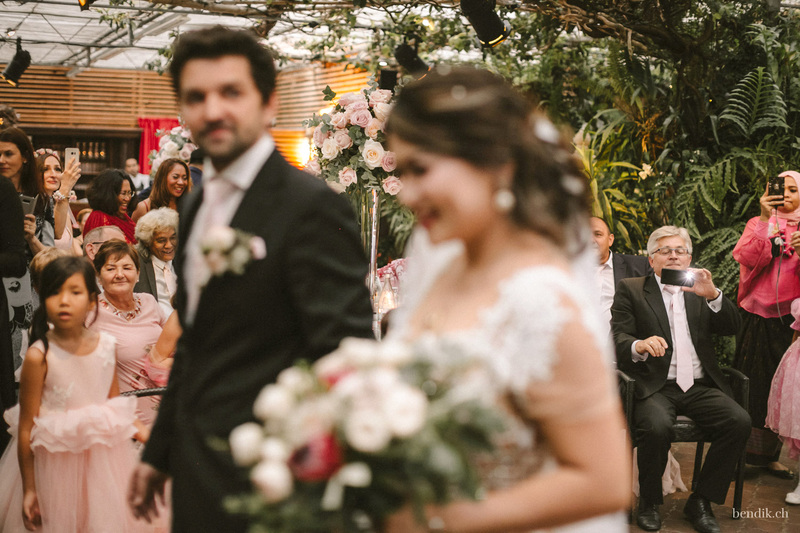 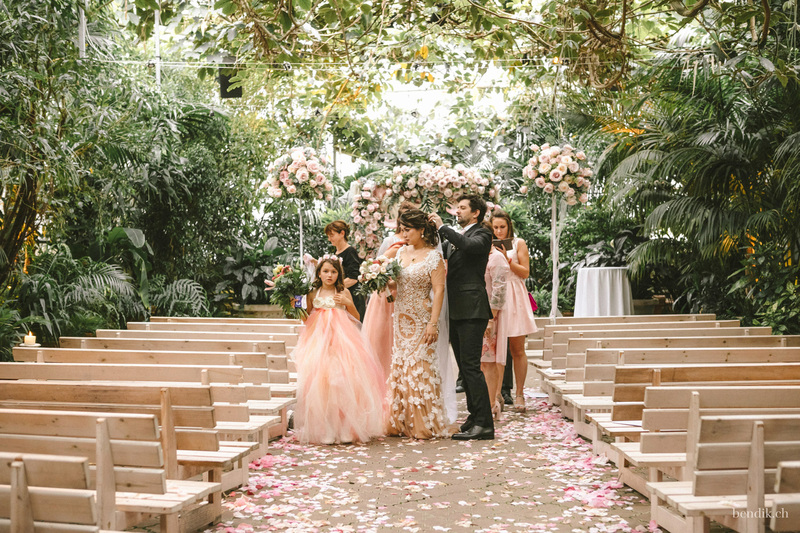 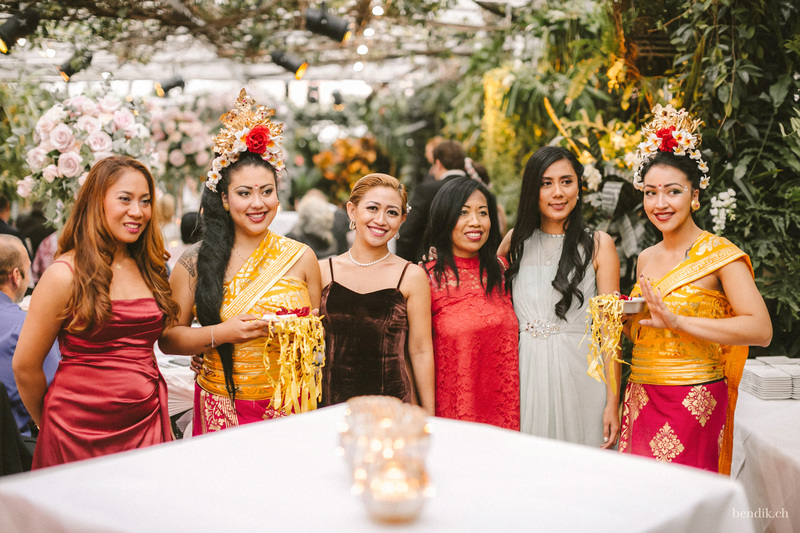 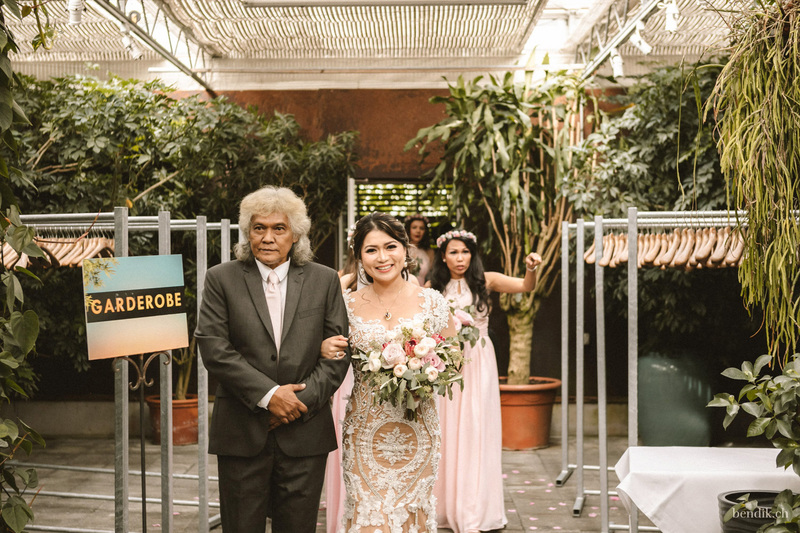 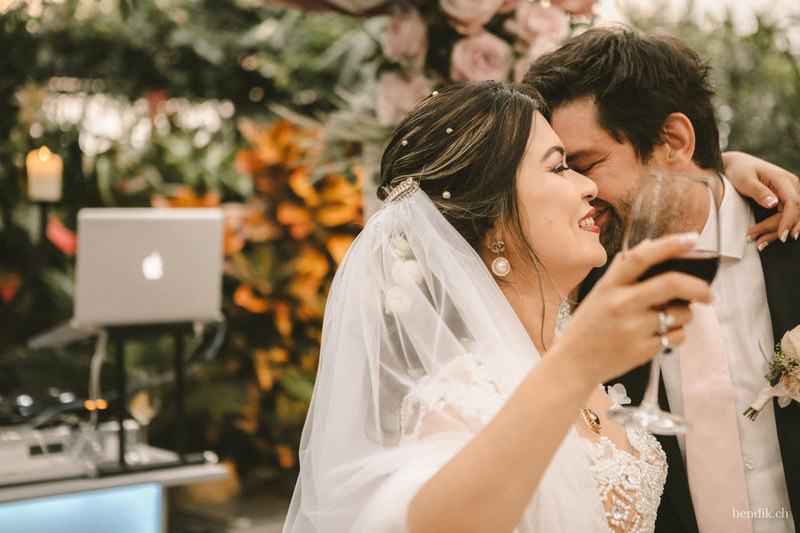 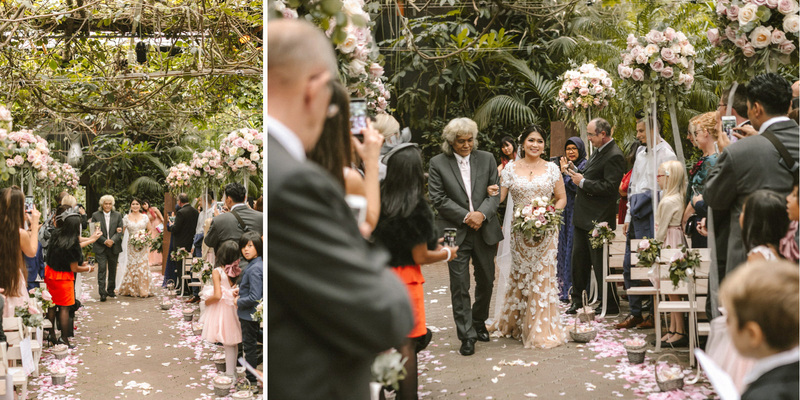 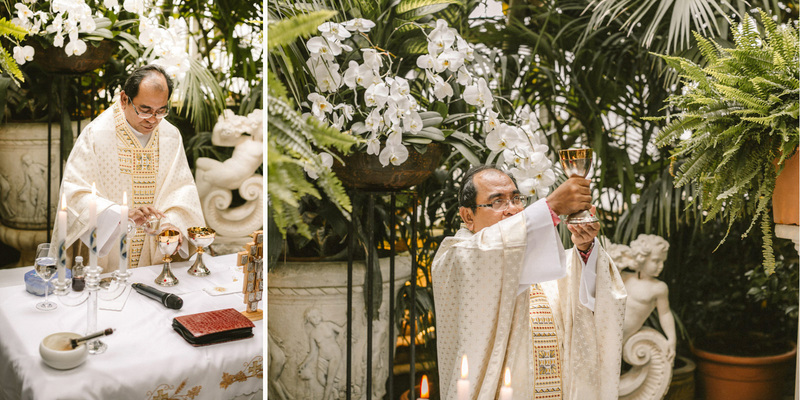 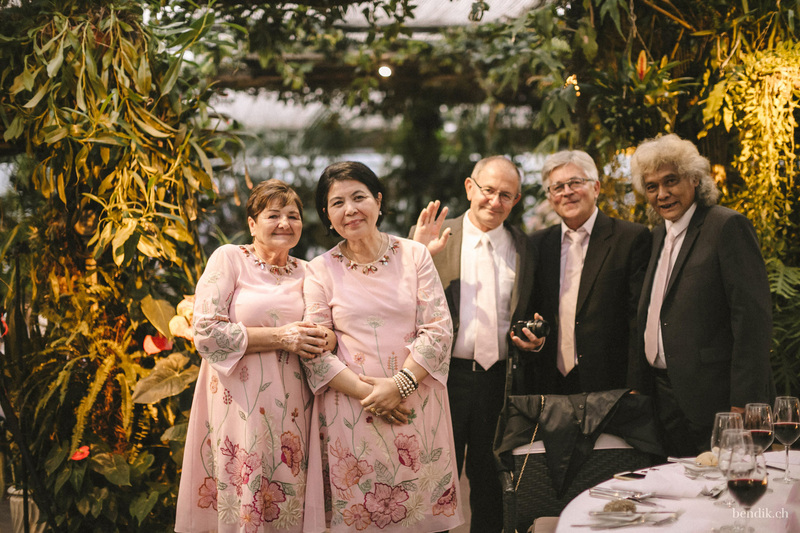 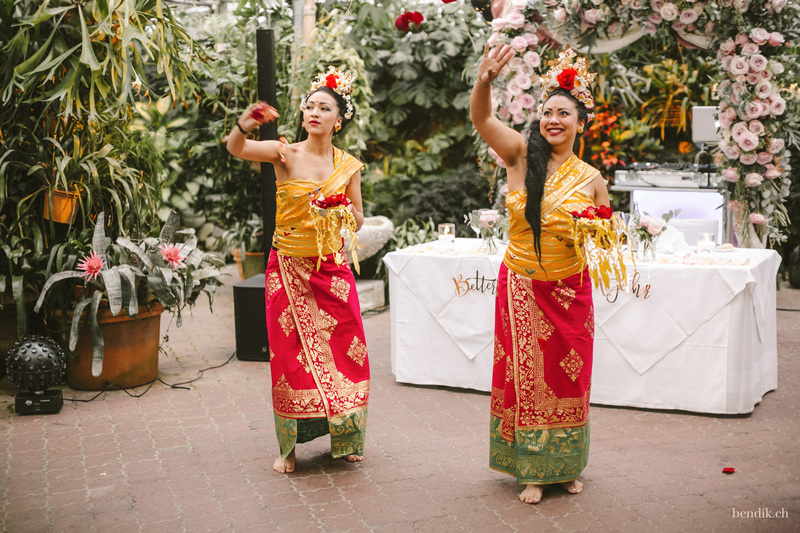 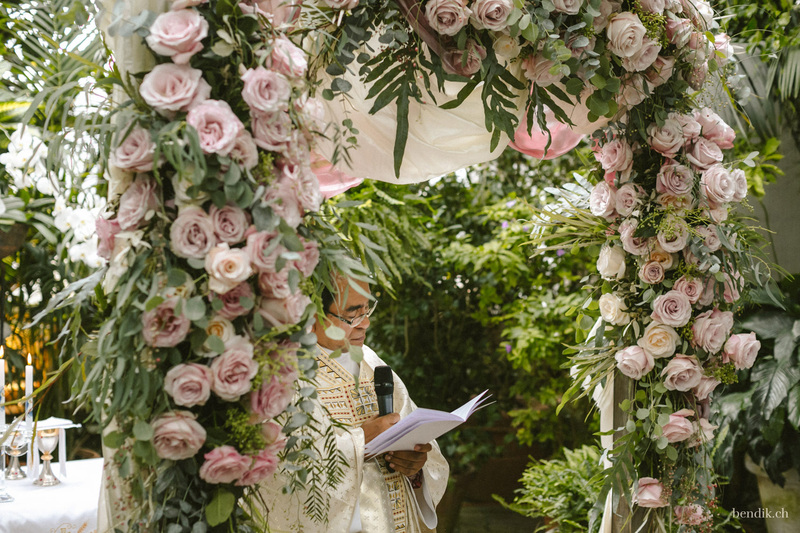 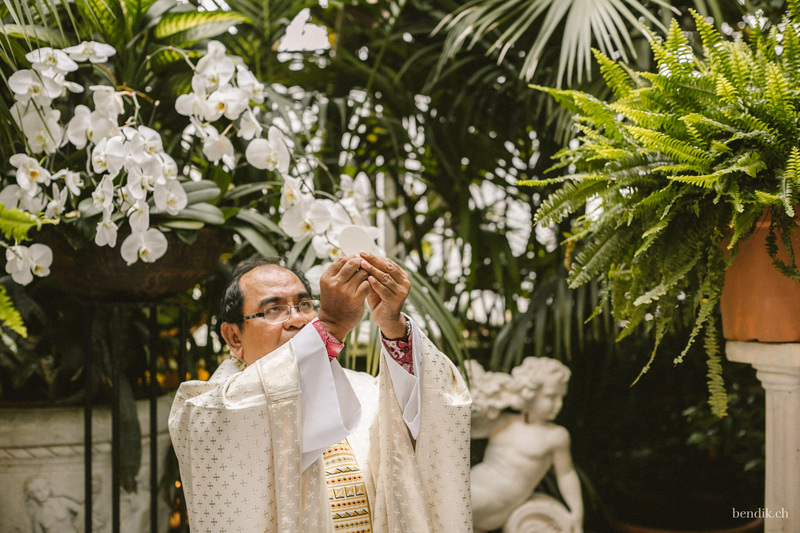 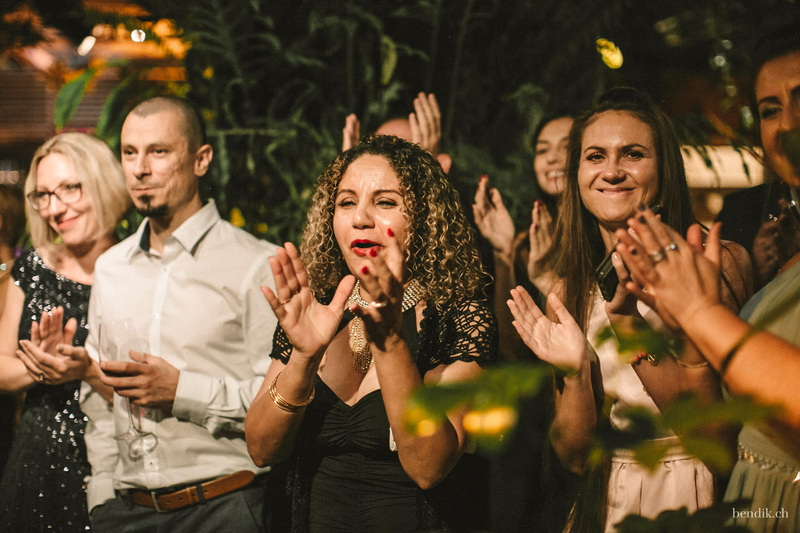 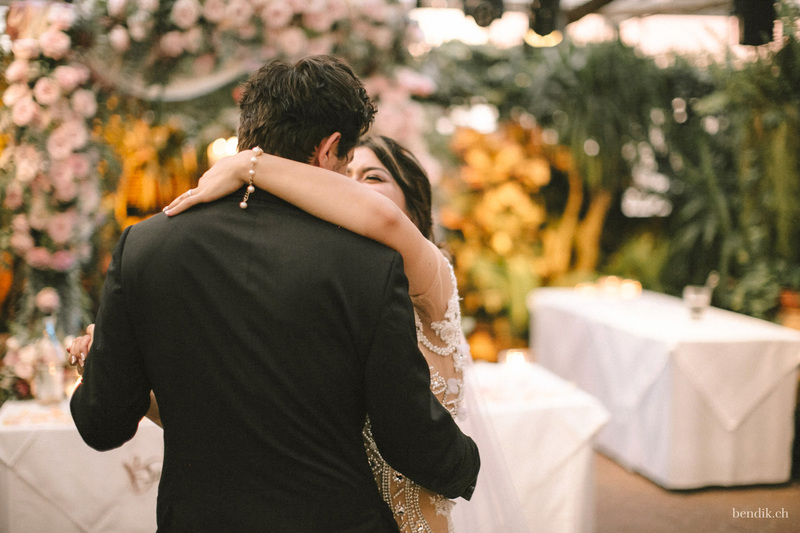 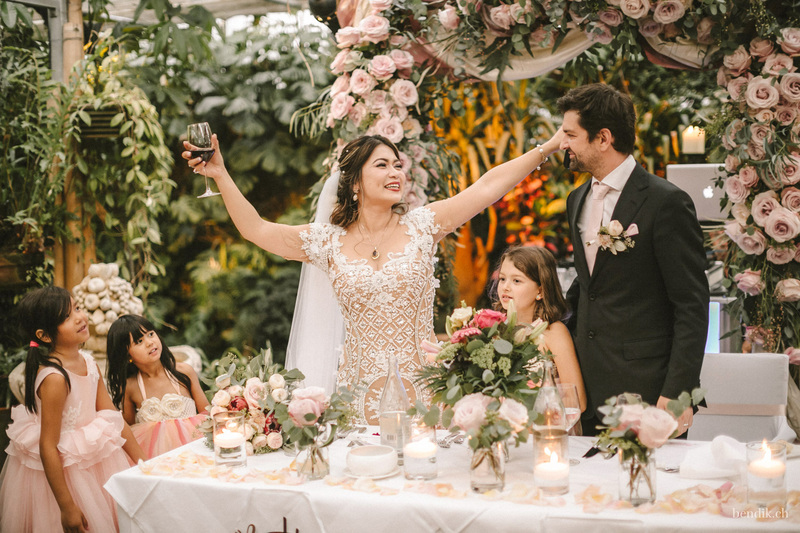 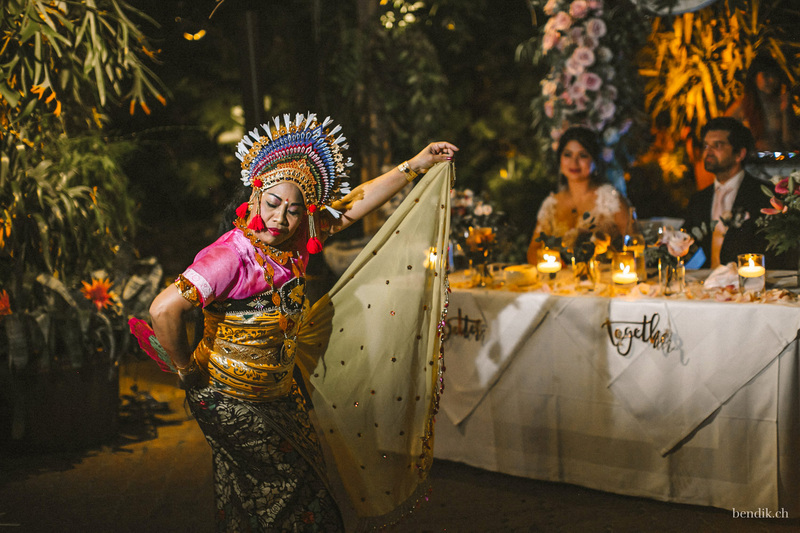 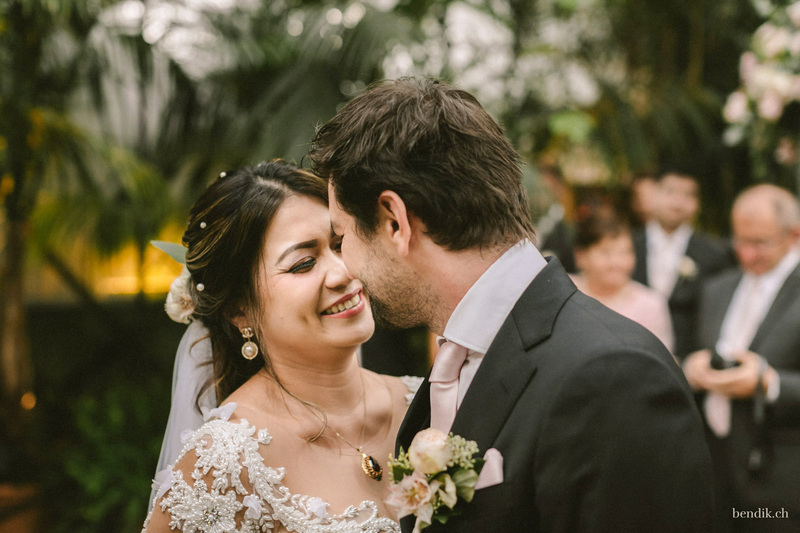 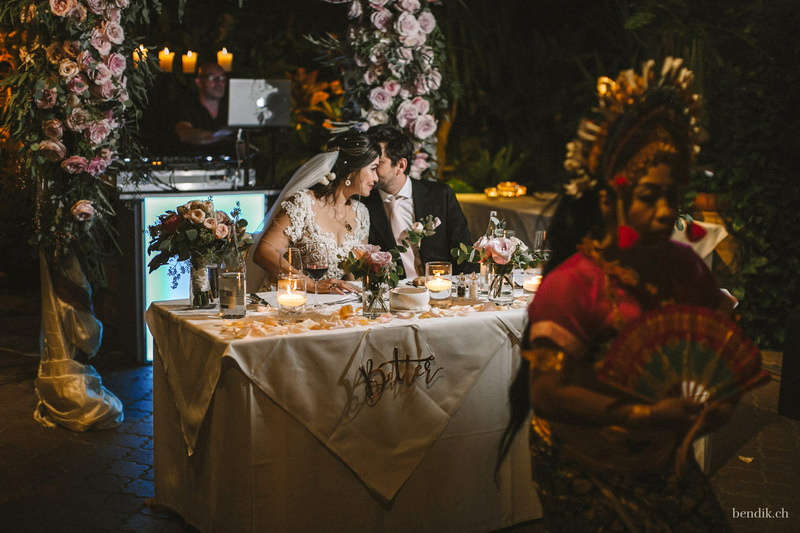 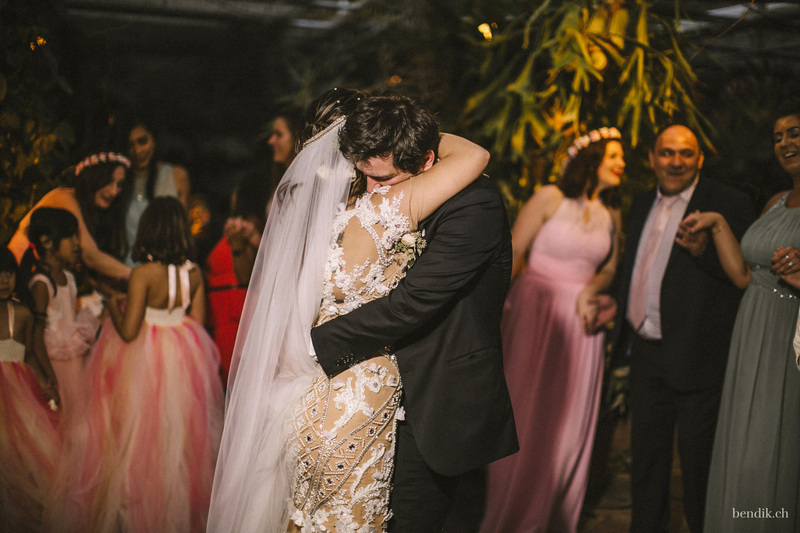 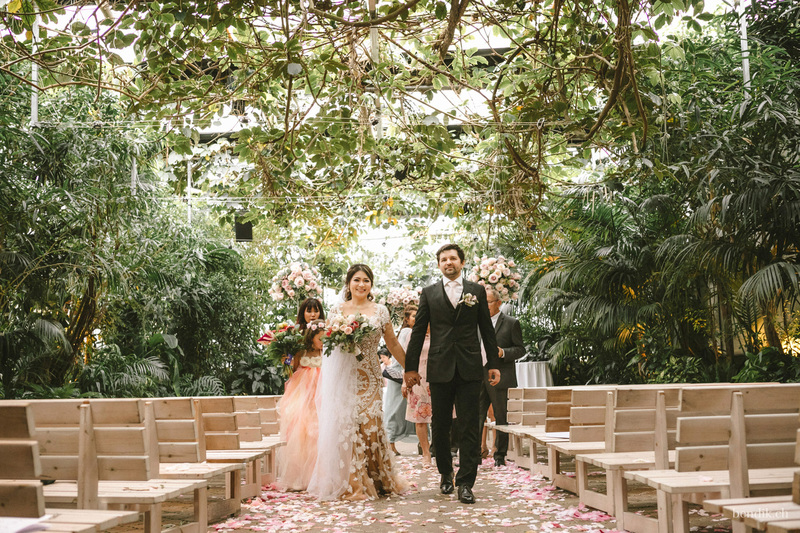 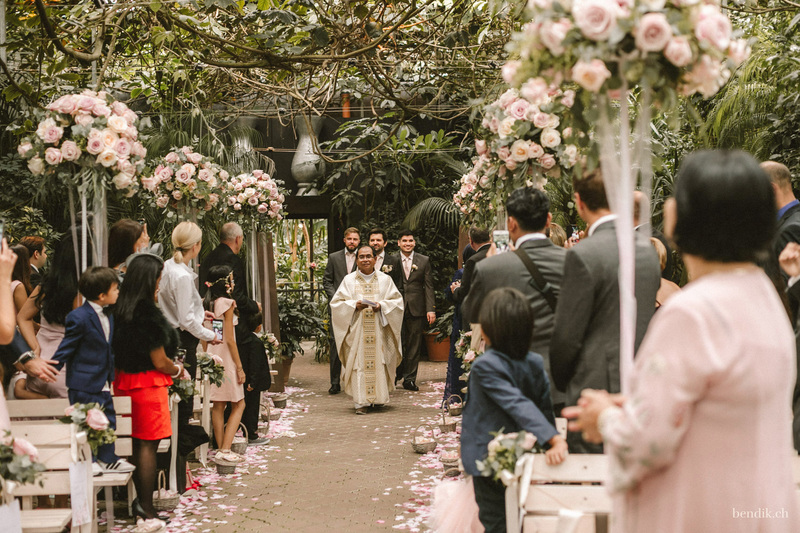 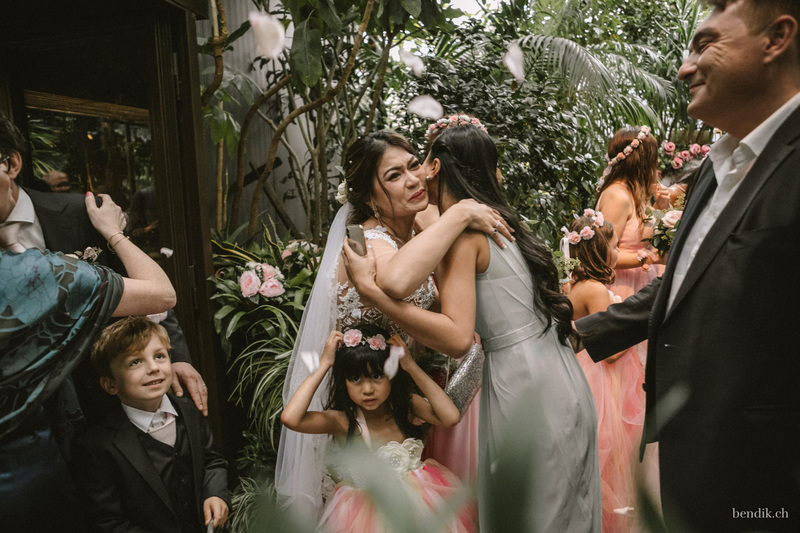 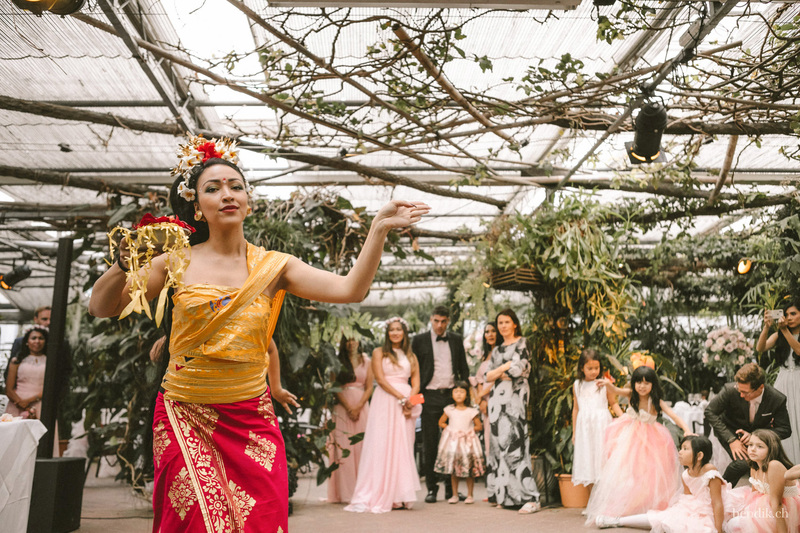 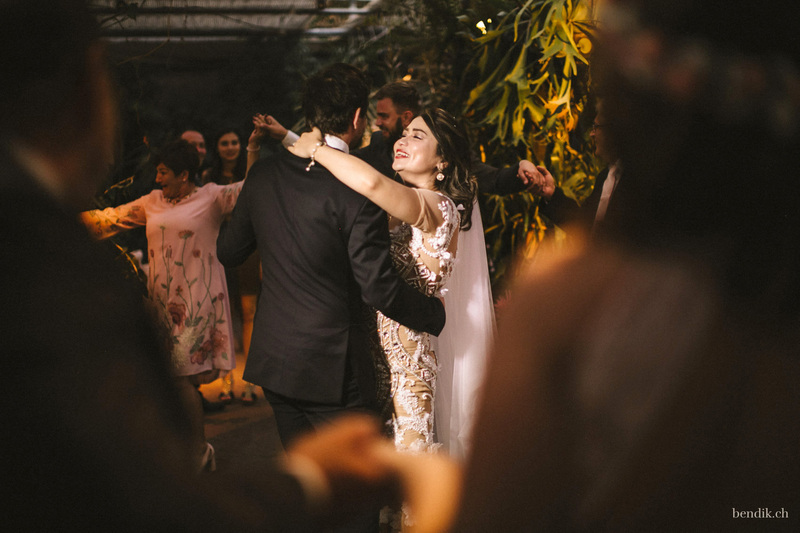 As their venue, the couple chose the Giardino Verde, a junglesque floral paradise akin to the Garden of Eden. 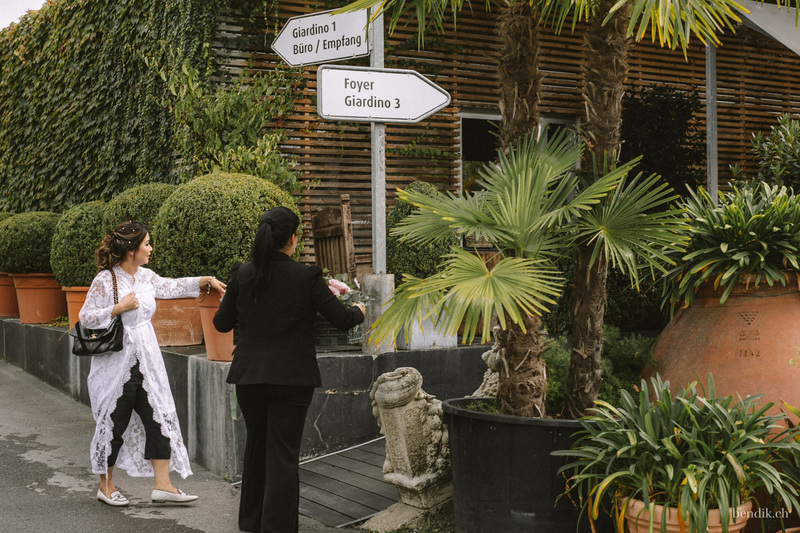 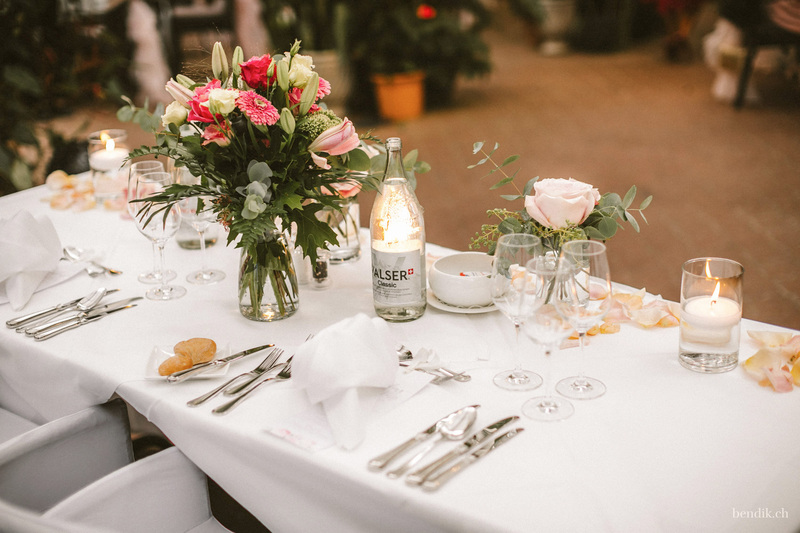 This beautiful location is not far away from Zurich and perfectly embodied Sakaria’s wedding dream. 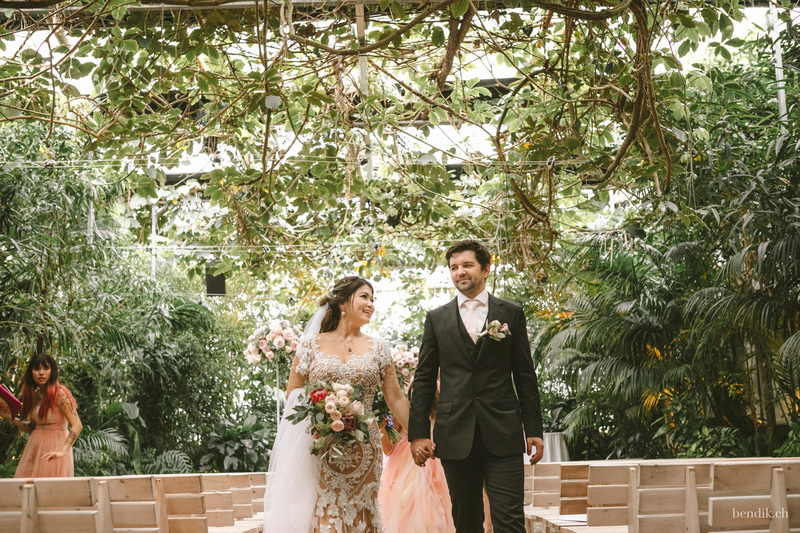 Upon entering the location, the first thing that caught our eyes was literally an art gallery of various photographs of the couple, many of them being from our beautiful photo shoots mentioned earlier. 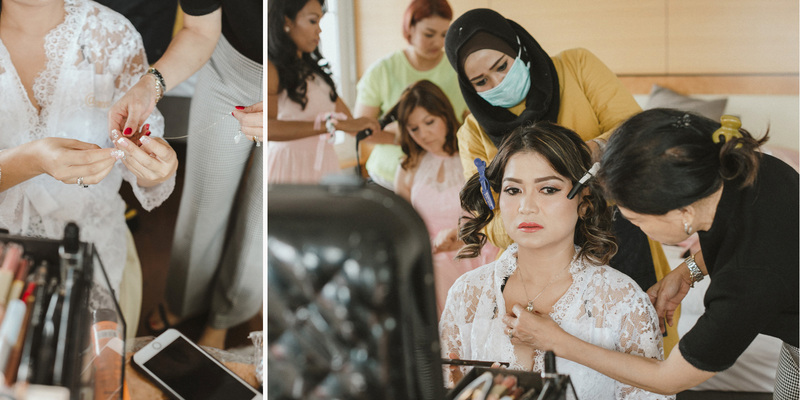 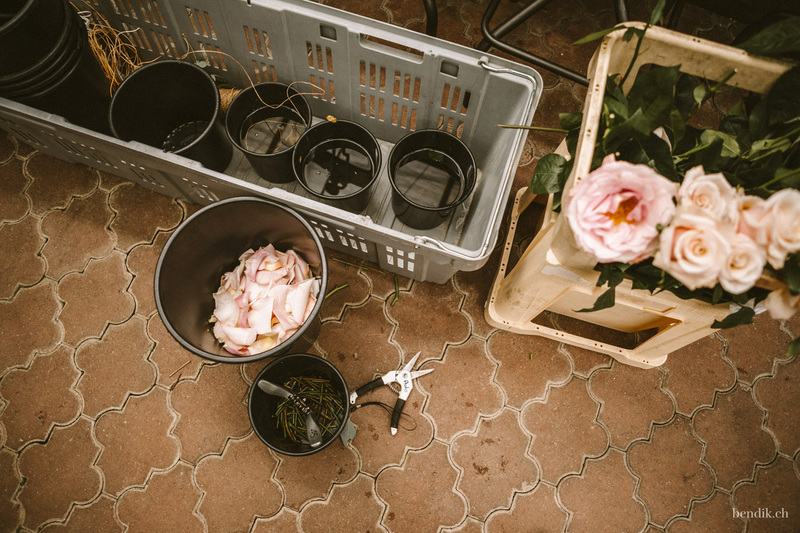 Sakaria mentioned to me that putting together the decoration – all photographs, flowers and small decorative items – was her favorite and most cherished part of the wedding preparation. 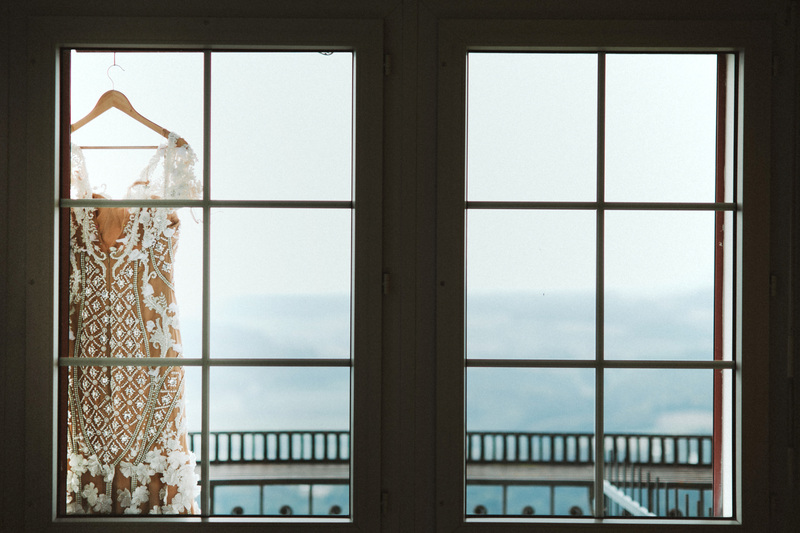 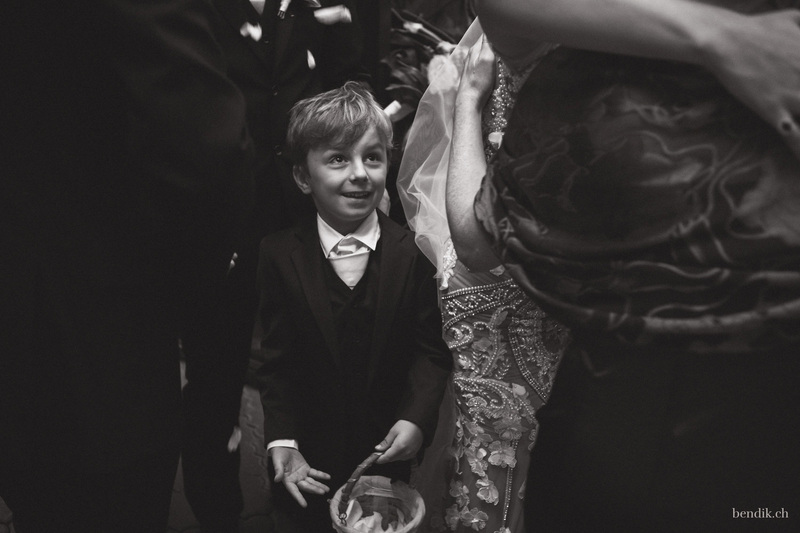 It is a well-known tradition that the groom should not see the bride in her dress before both finally walk down the aisle. 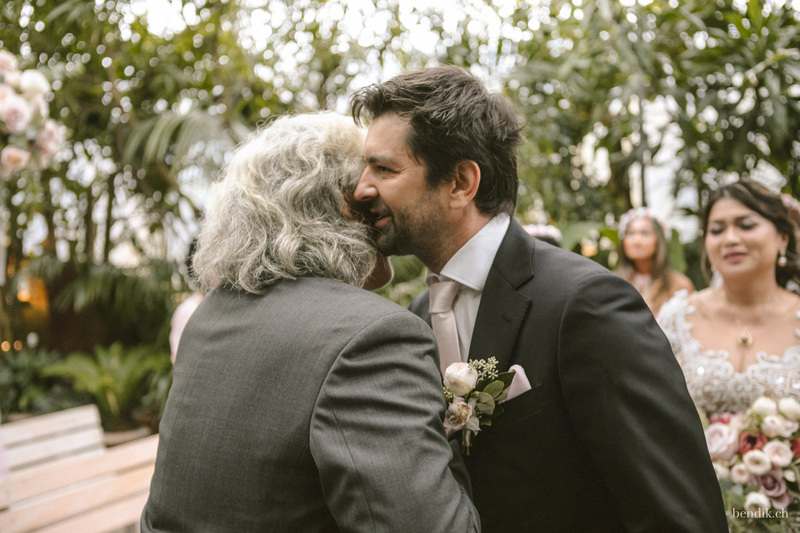 In Sakaria’s own words, poor Marcin was stressed about where he should and should not go, leading to Sakaria’s dad calming everyone by covering Sakaria and “shooing” away Marcin when he attempted to come too close! 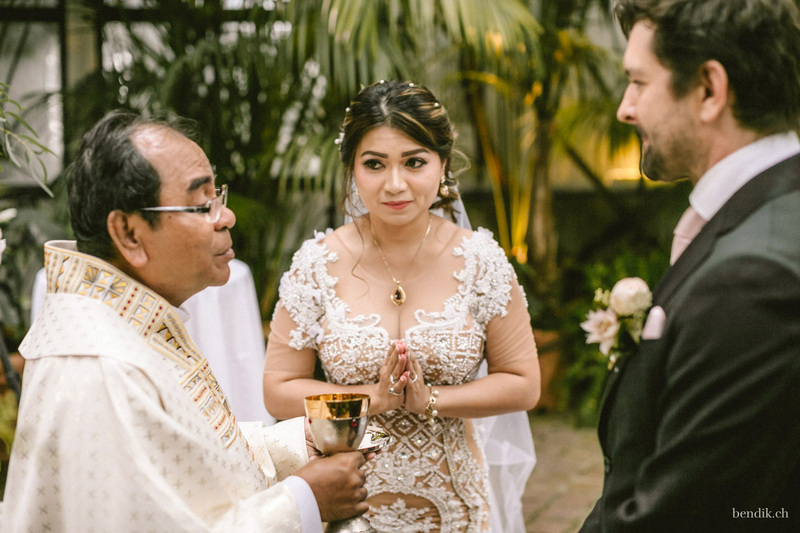 Finally, the couple ended up seeing each other exactly prior to the ceremony, when they were standing in front of the priest. 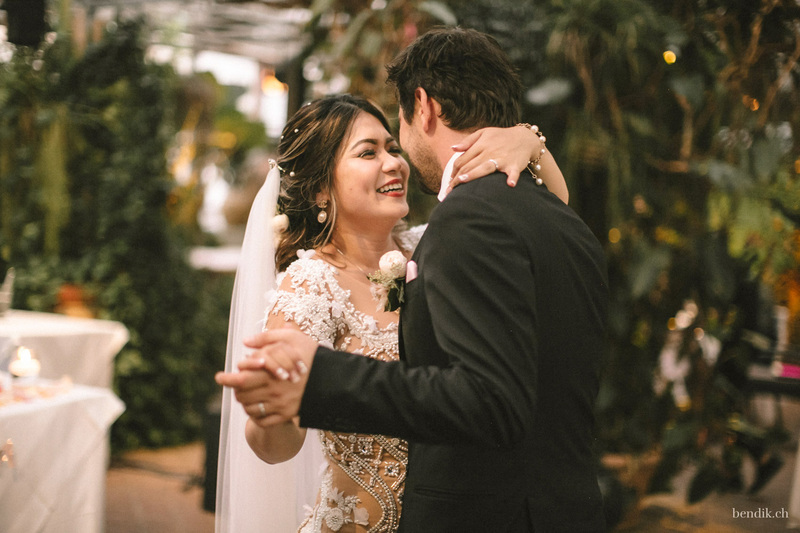 The quote above is yet another telling statement made by Sakaria that nicely sums up the warmth that this couple radiates. 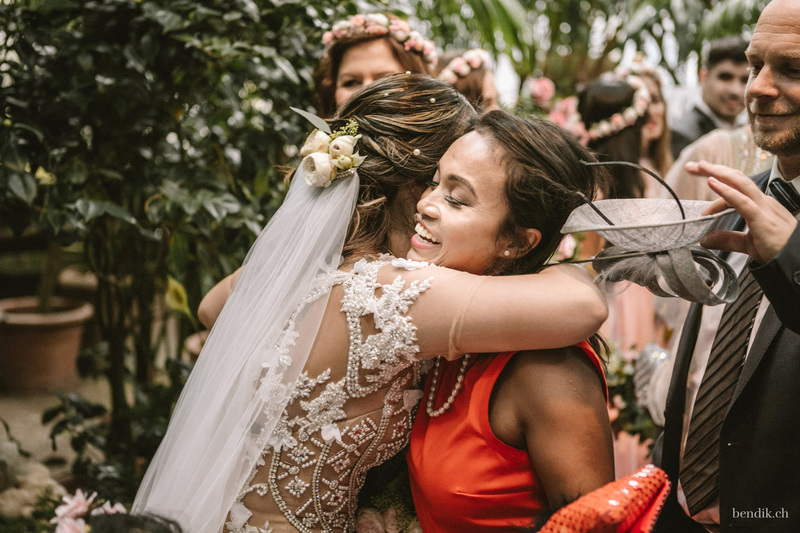 That day the vibes of true friendship could be felt in the air. 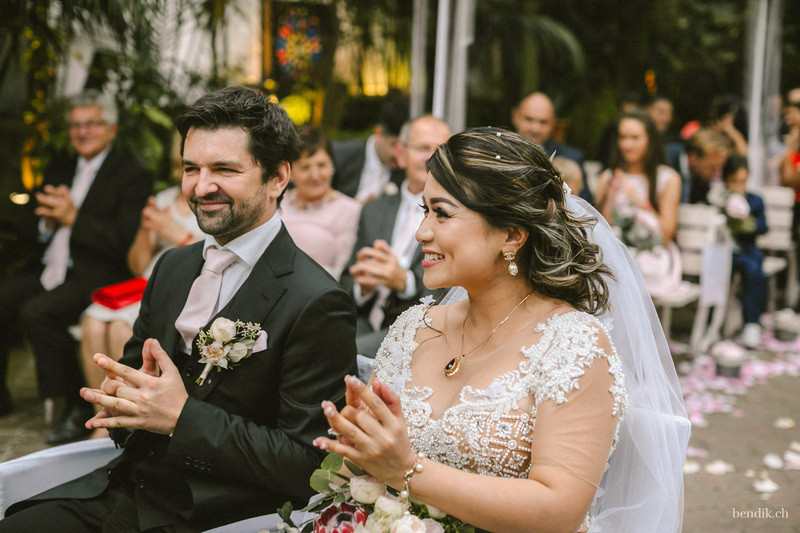 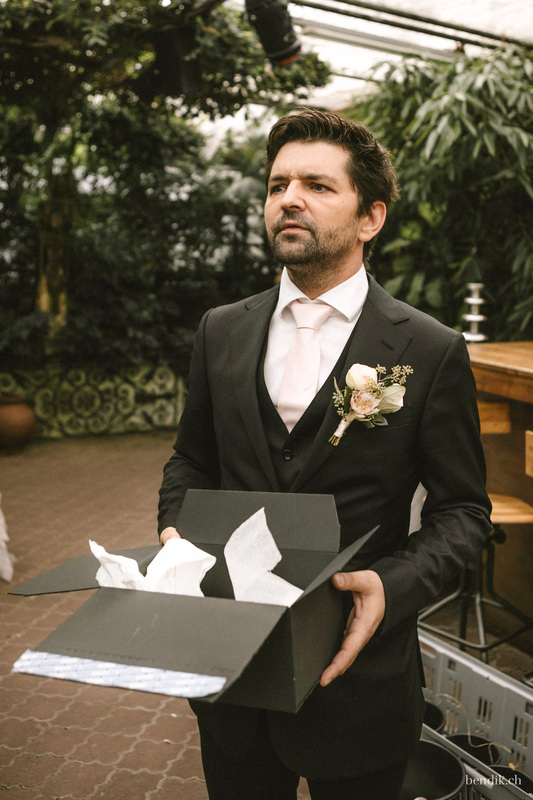 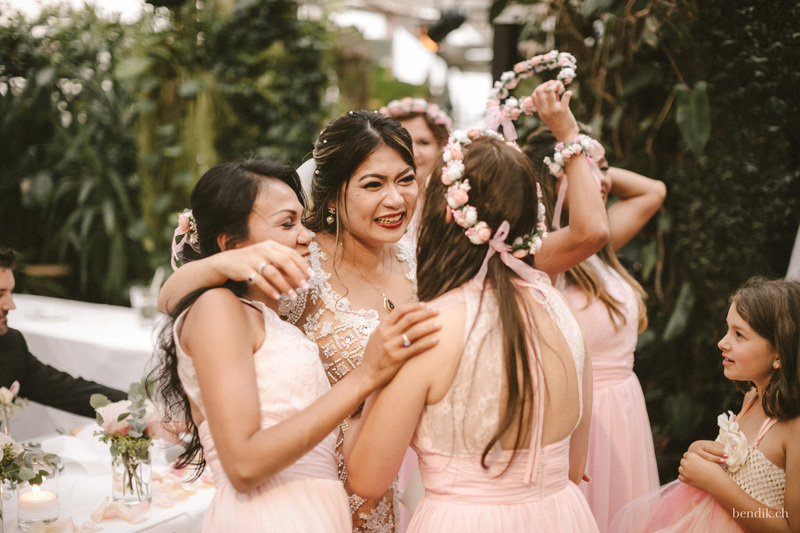 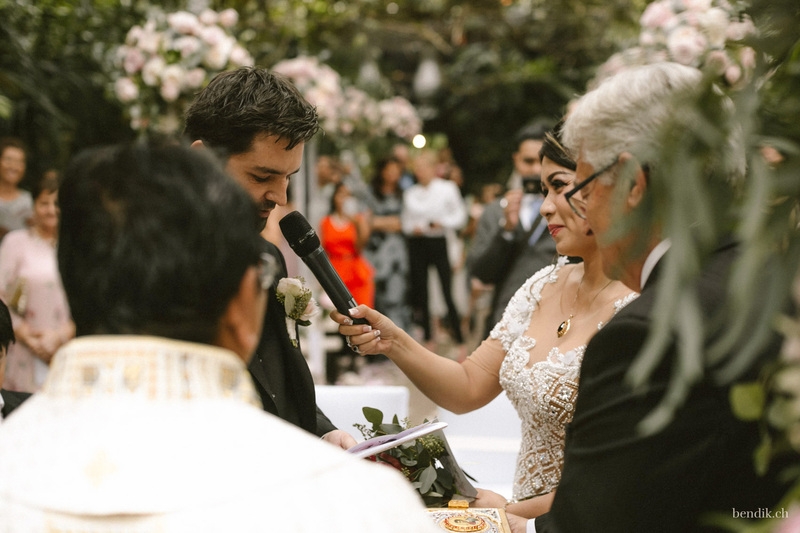 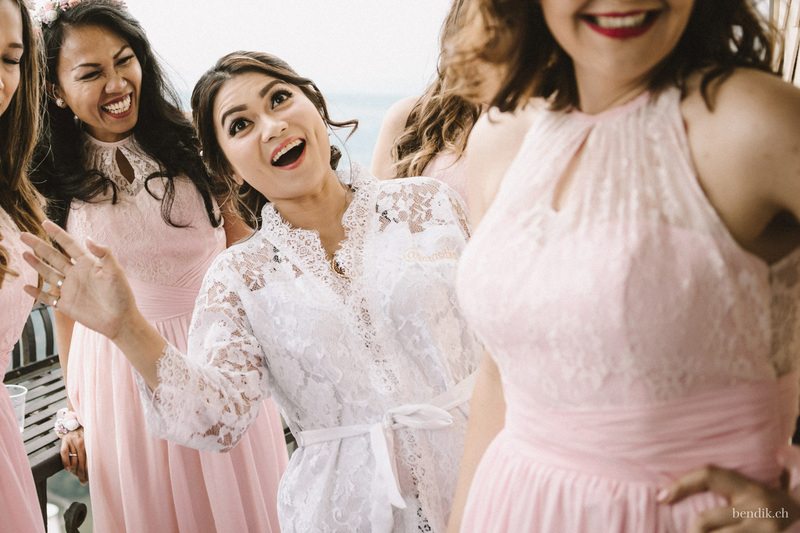 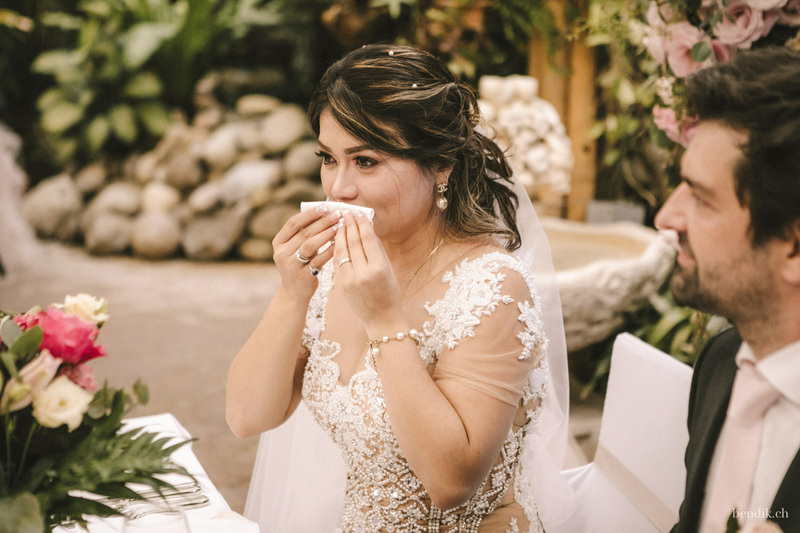 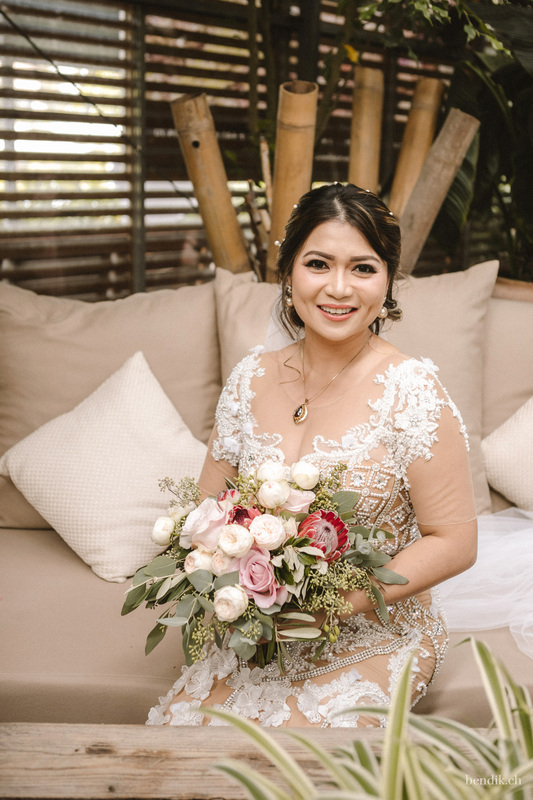 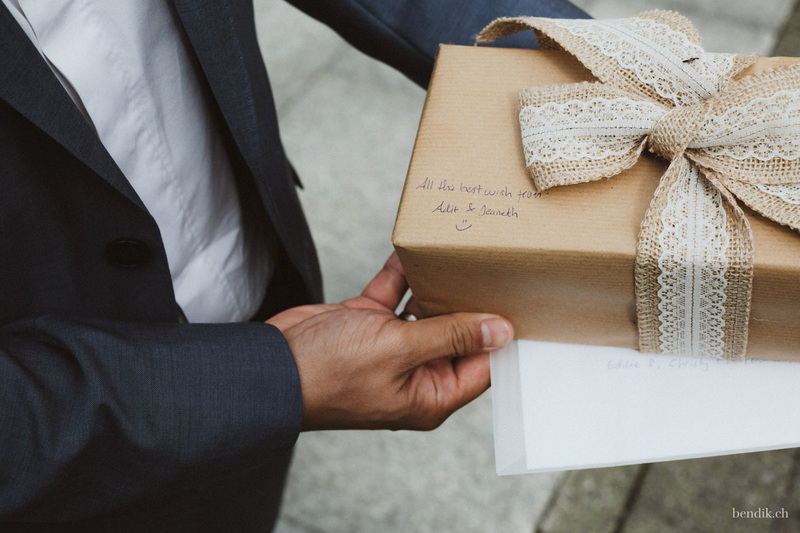 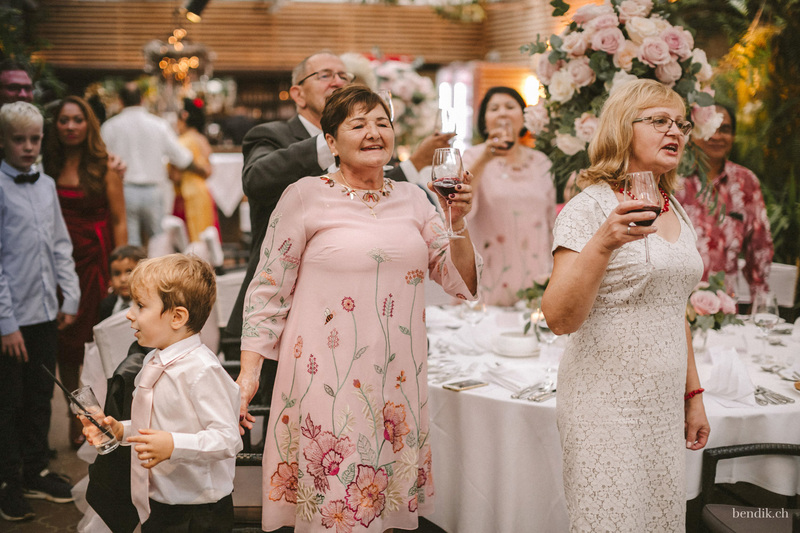 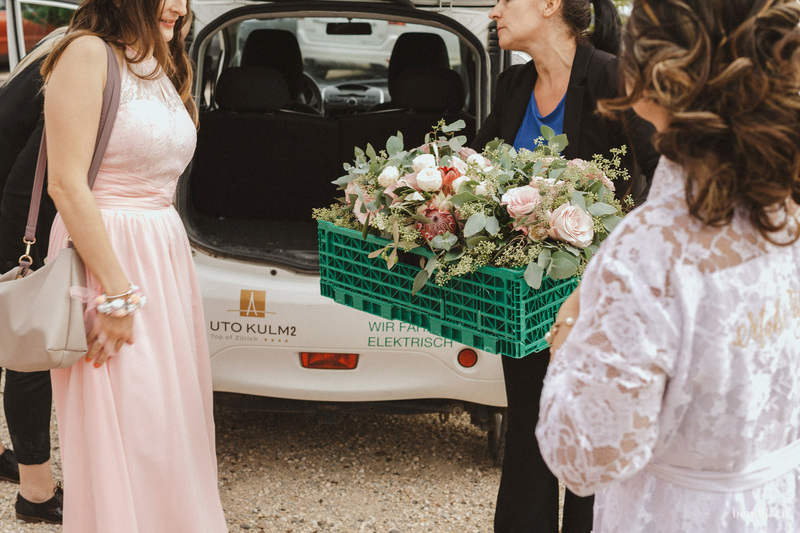 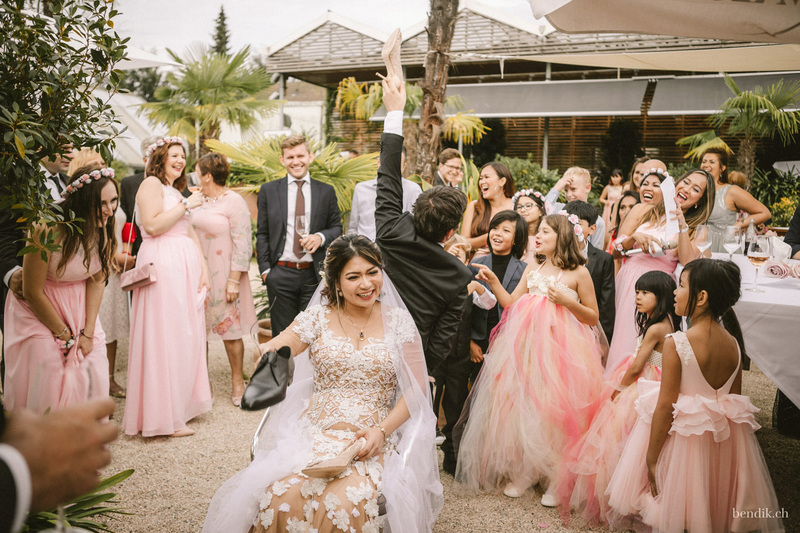 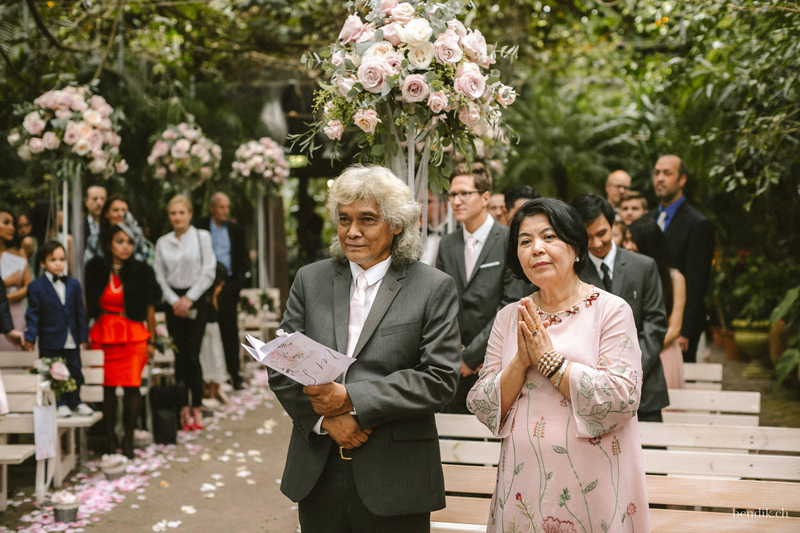 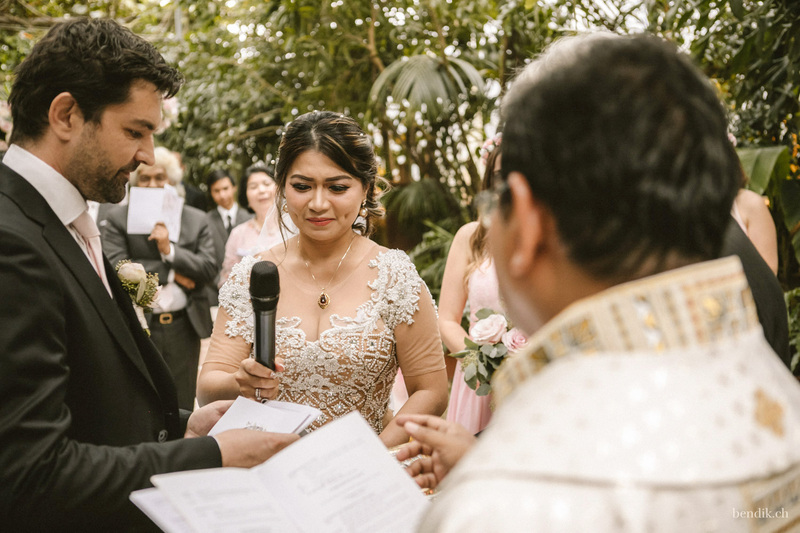 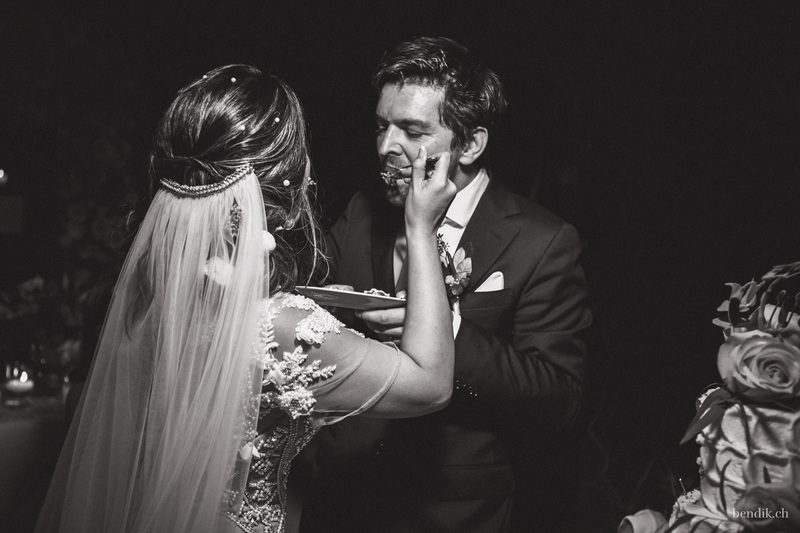 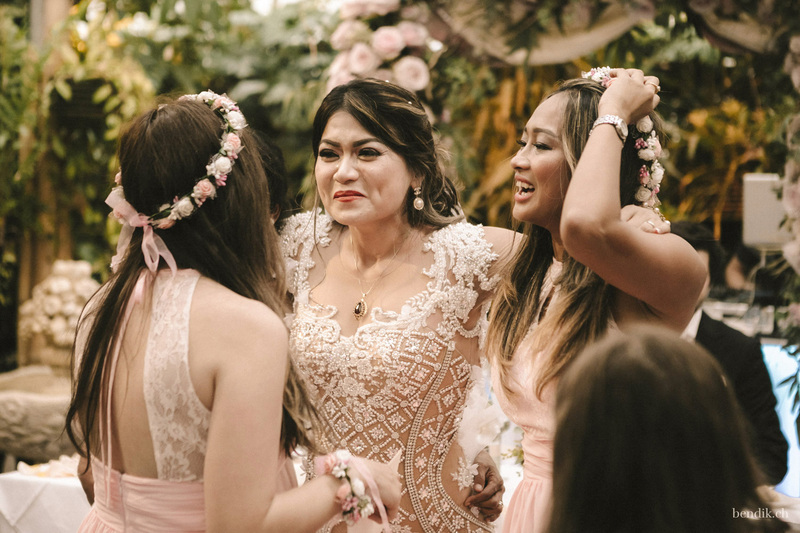 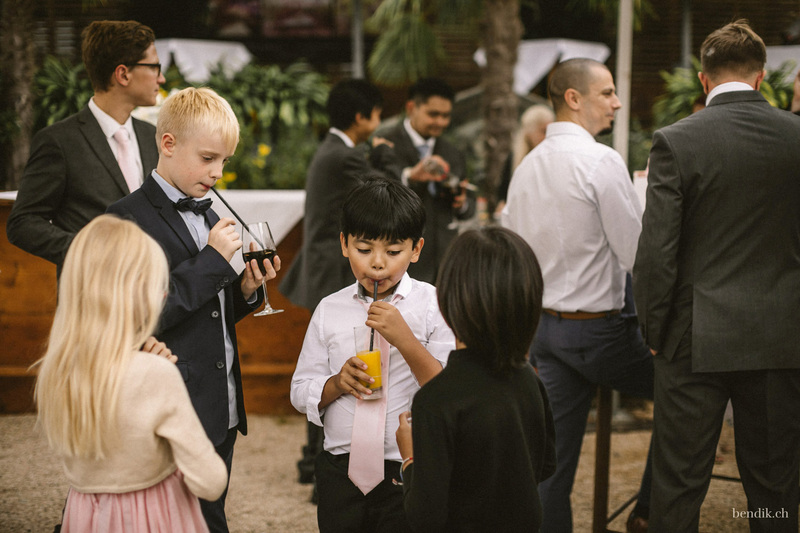 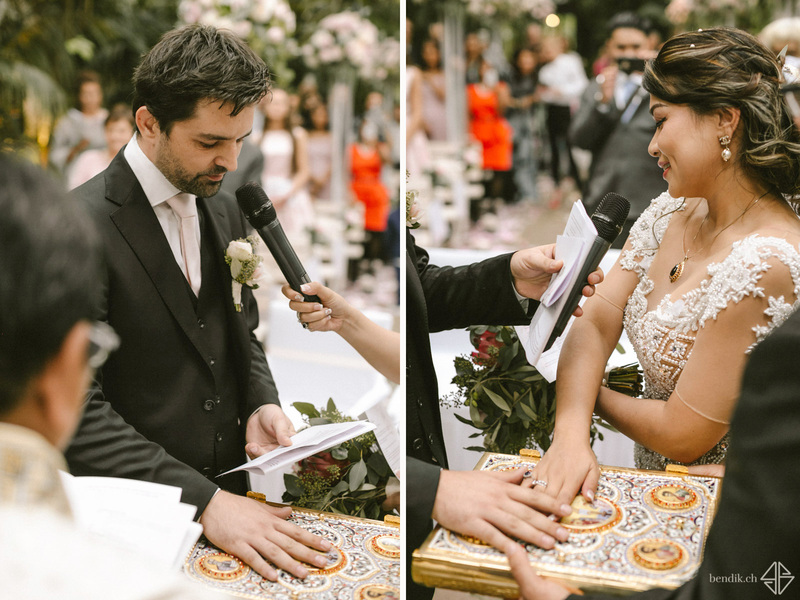 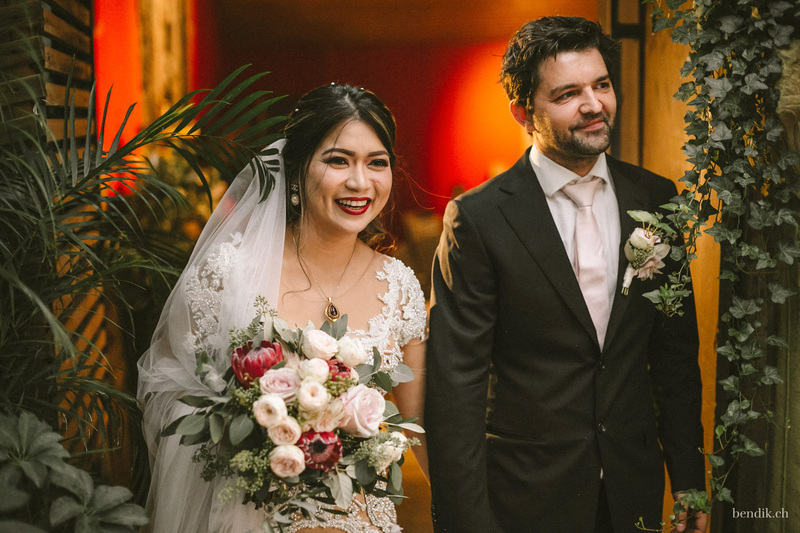 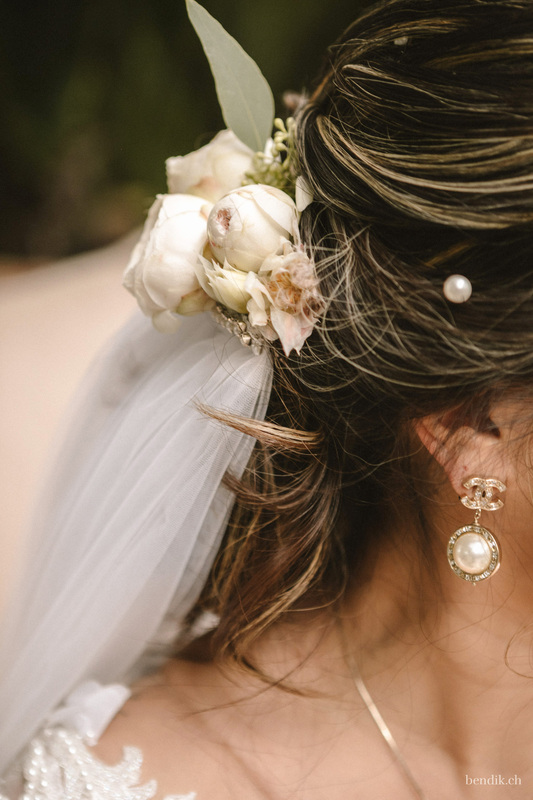 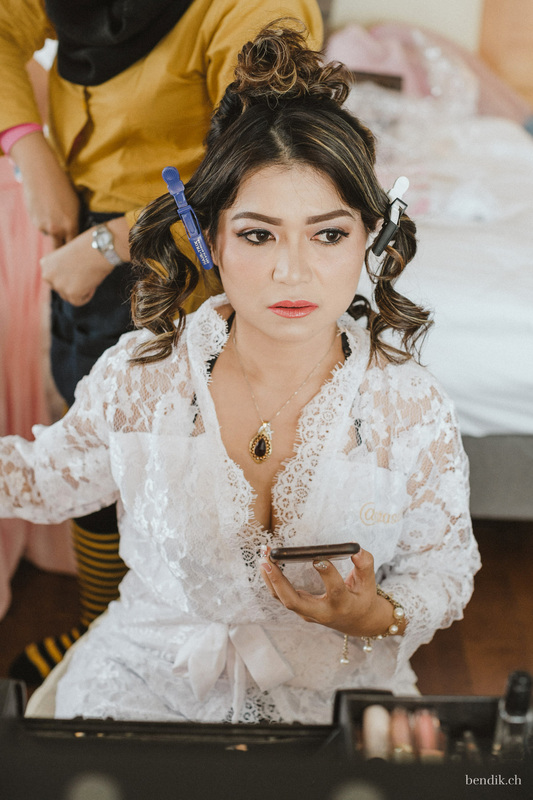 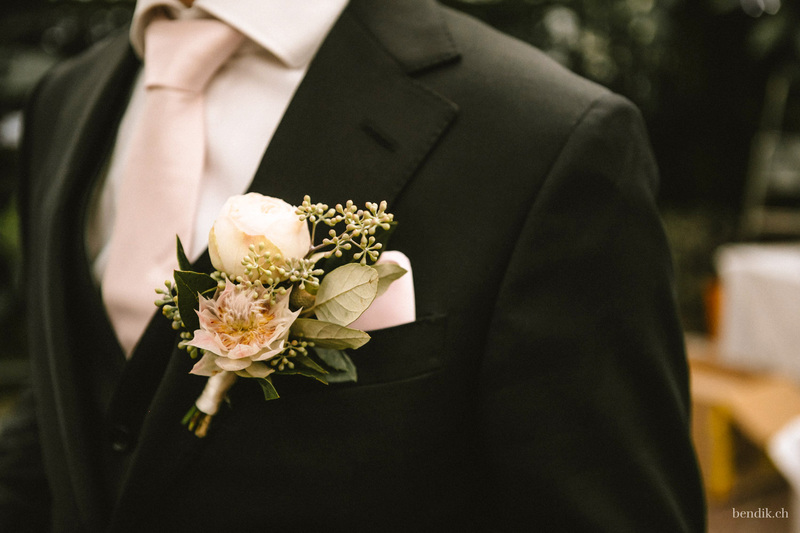 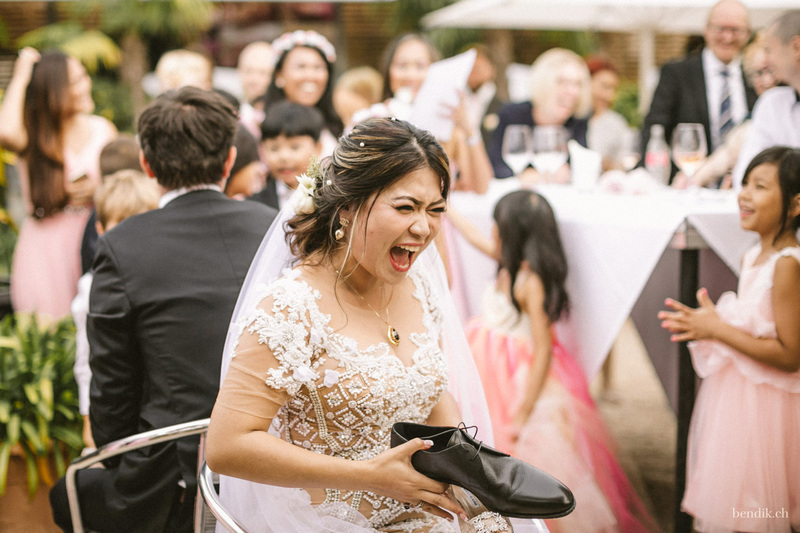 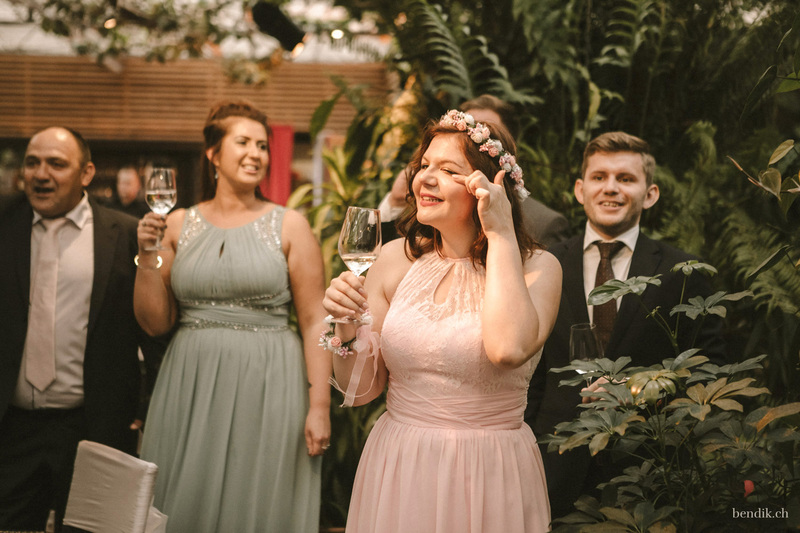 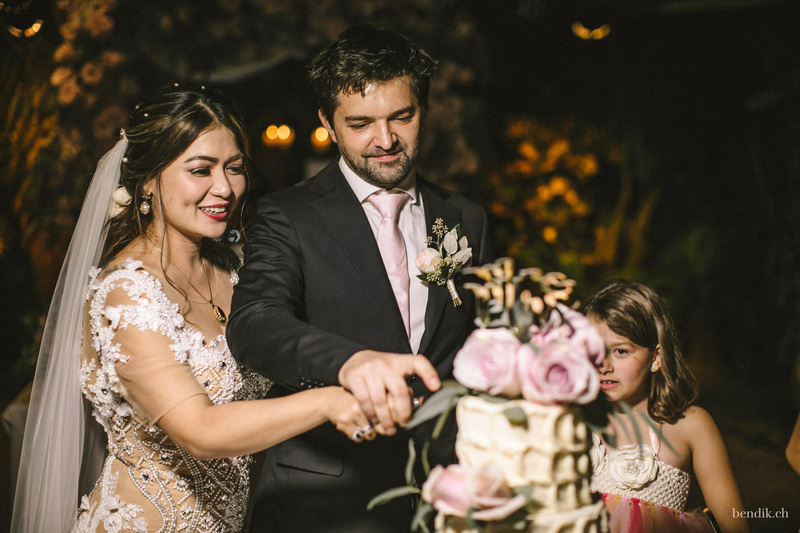 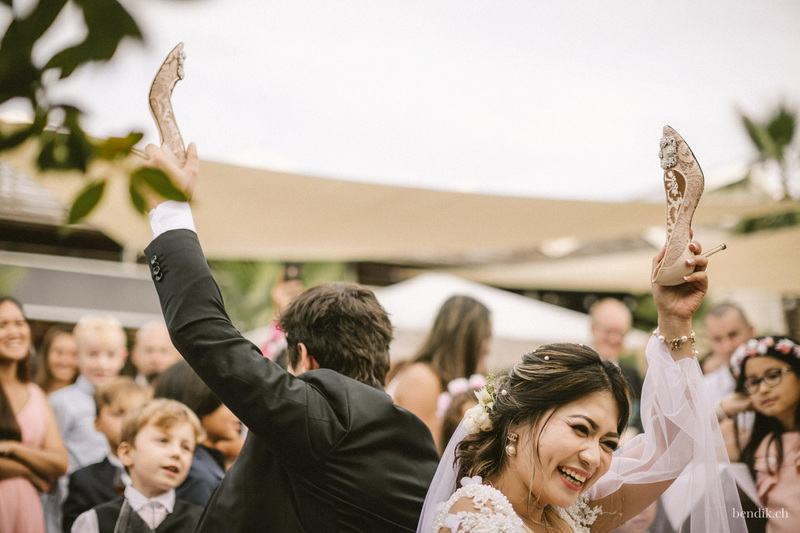 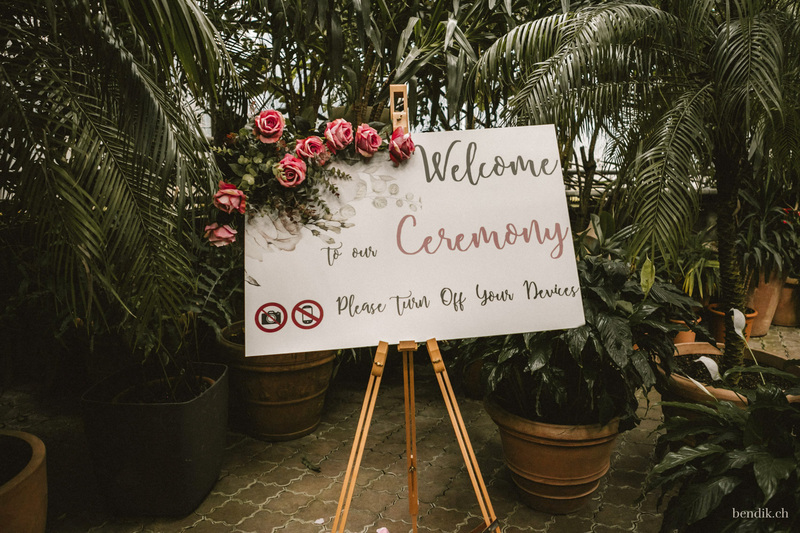 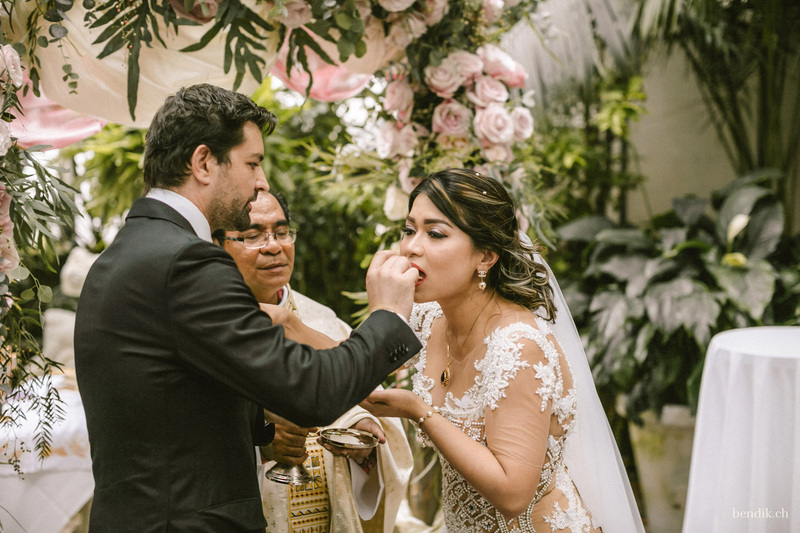 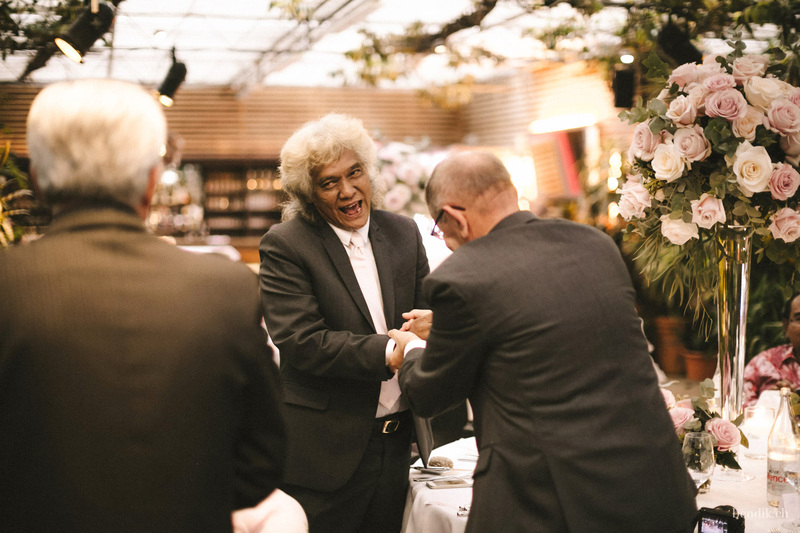 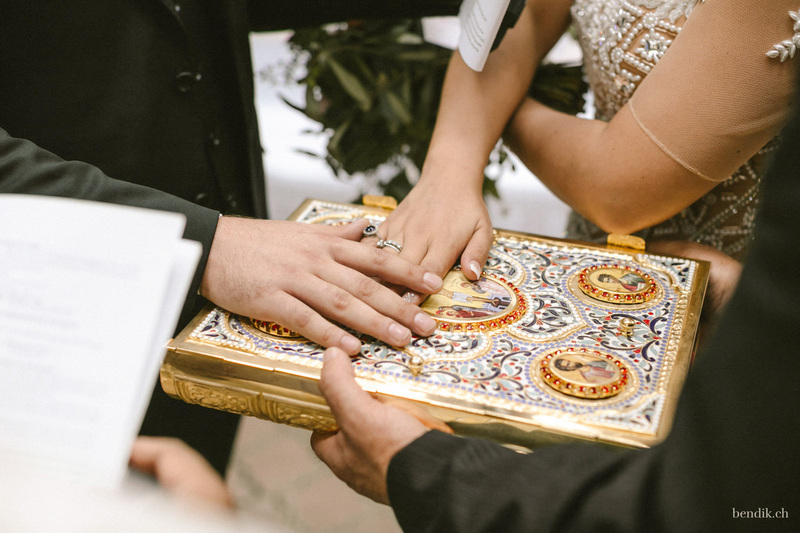 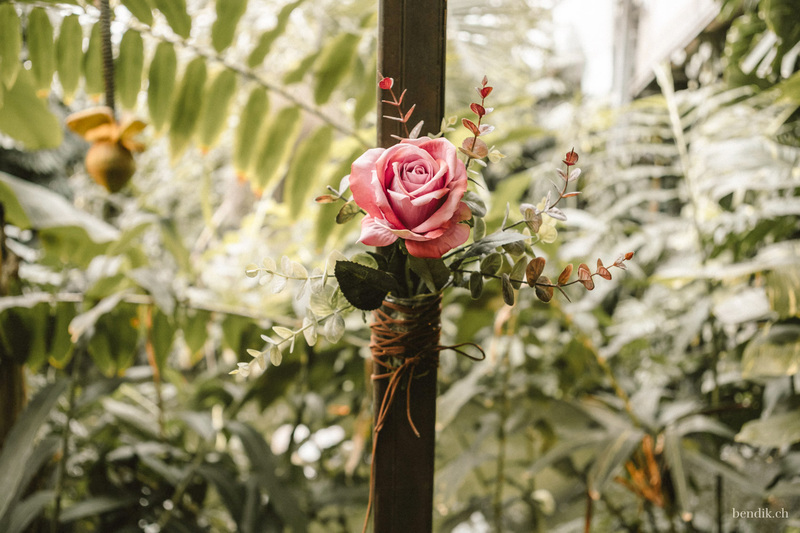 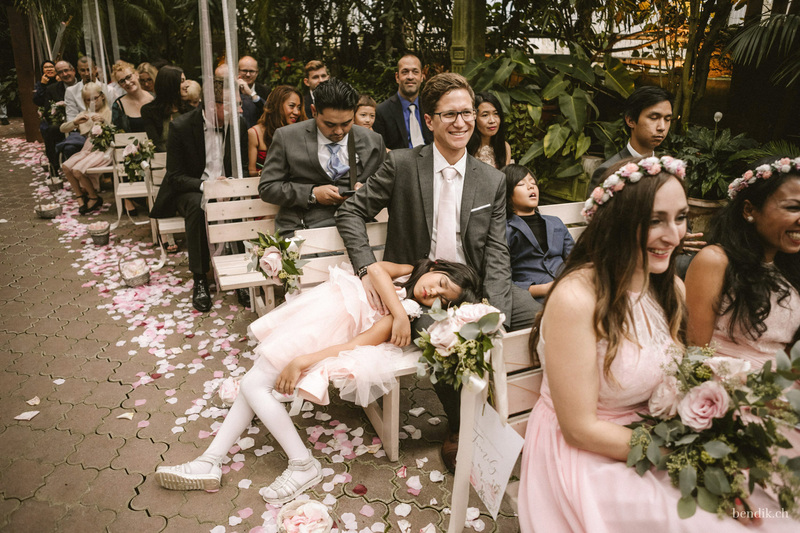 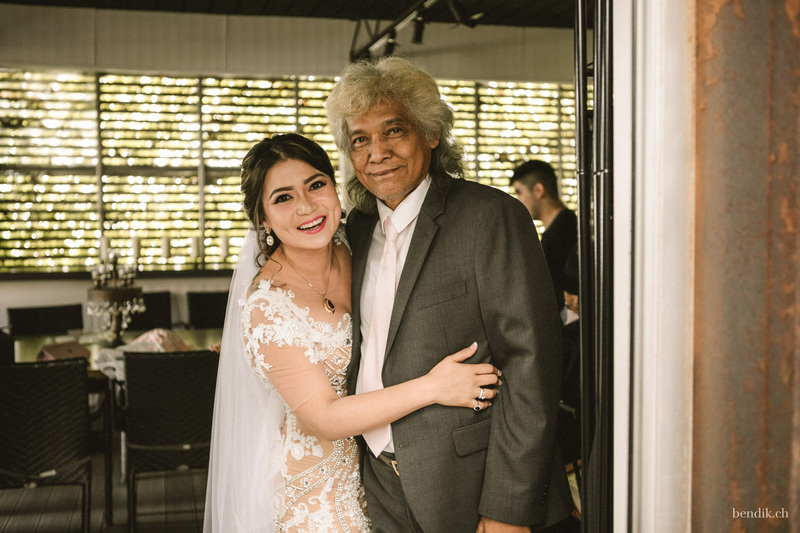 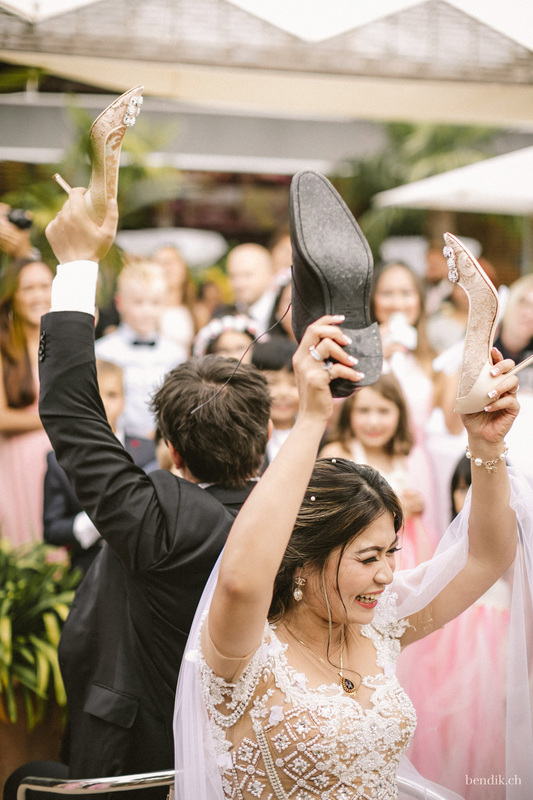 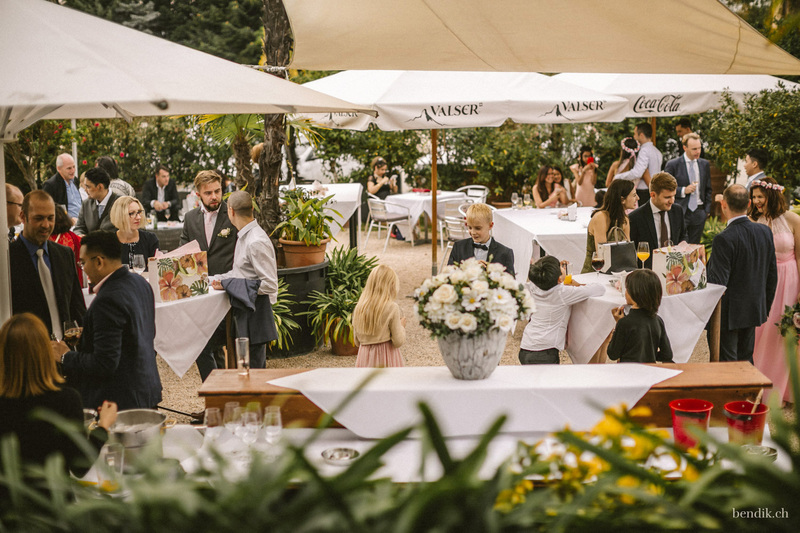 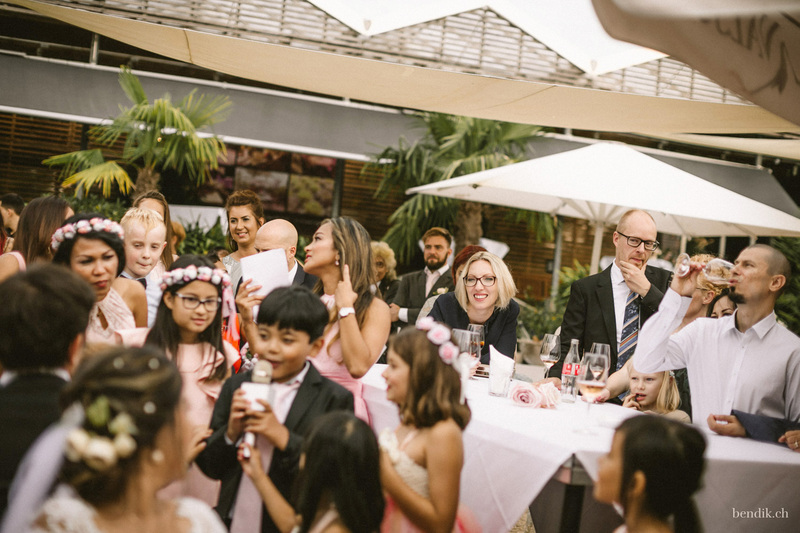 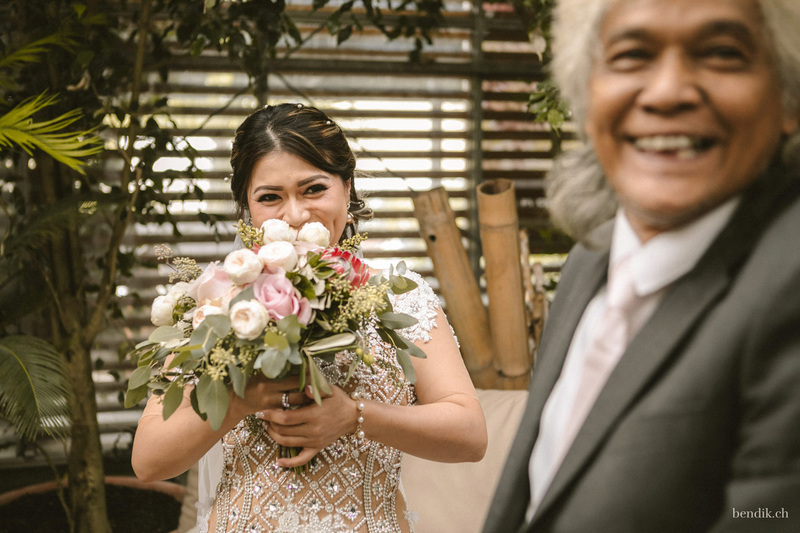 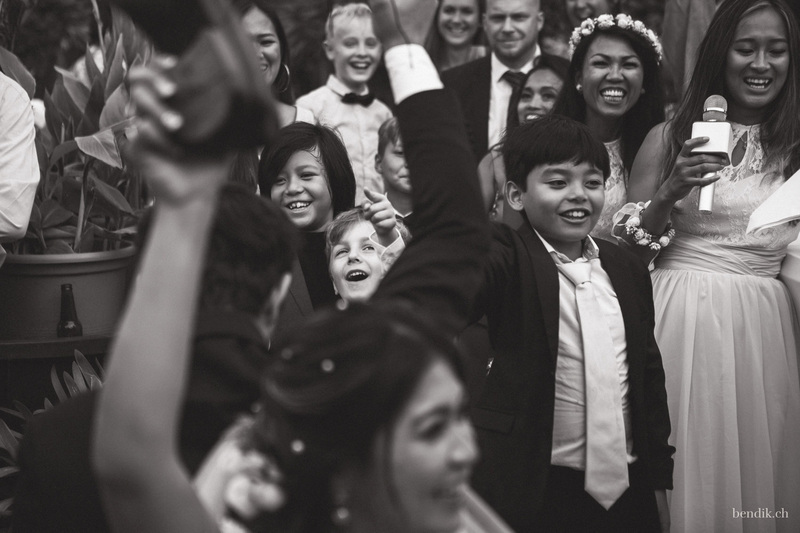 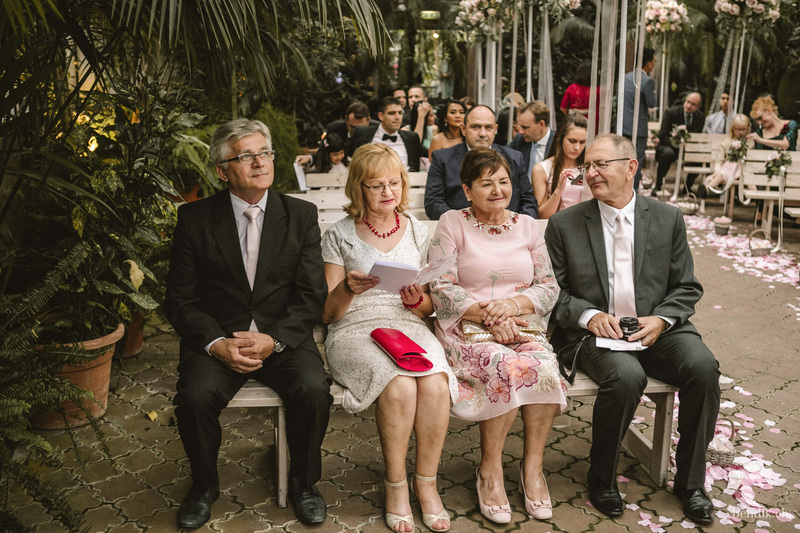 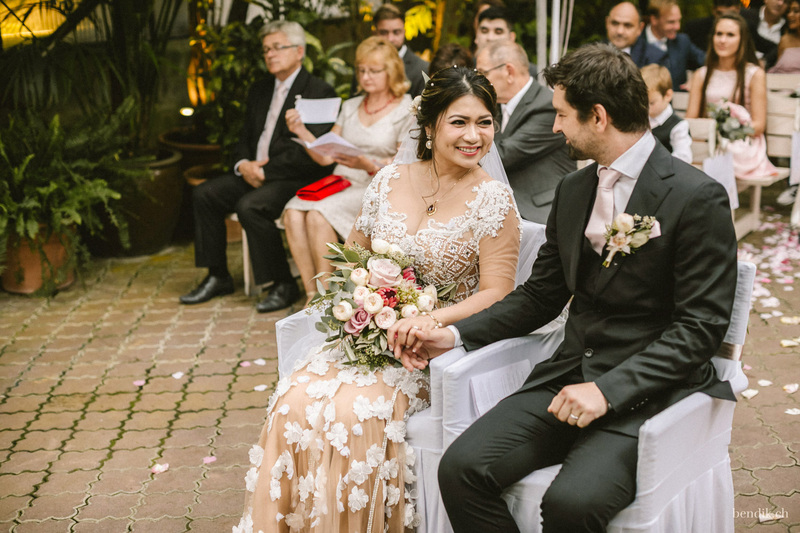 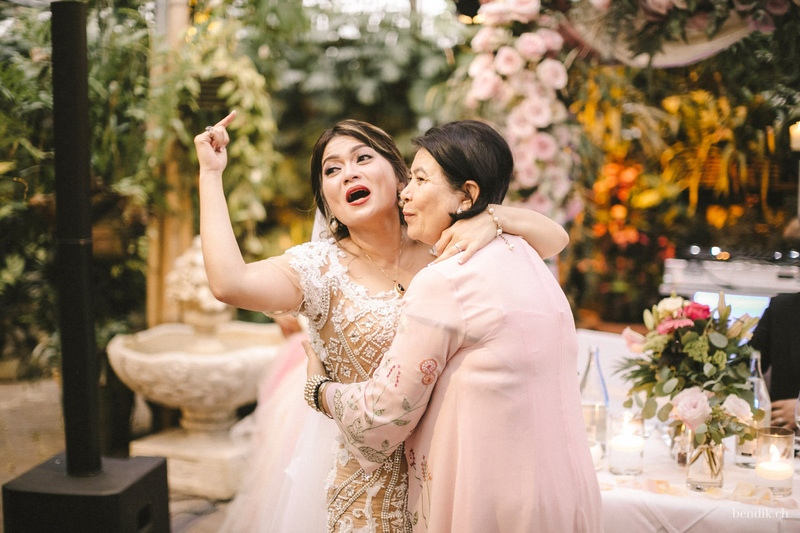 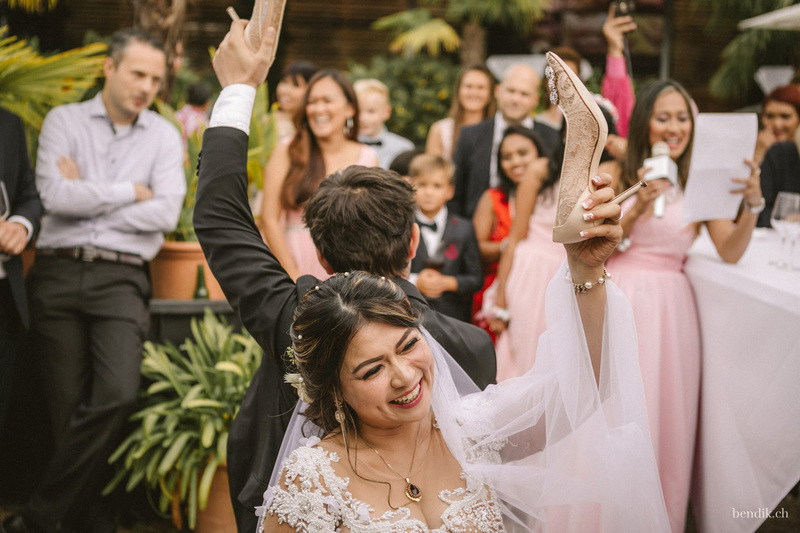 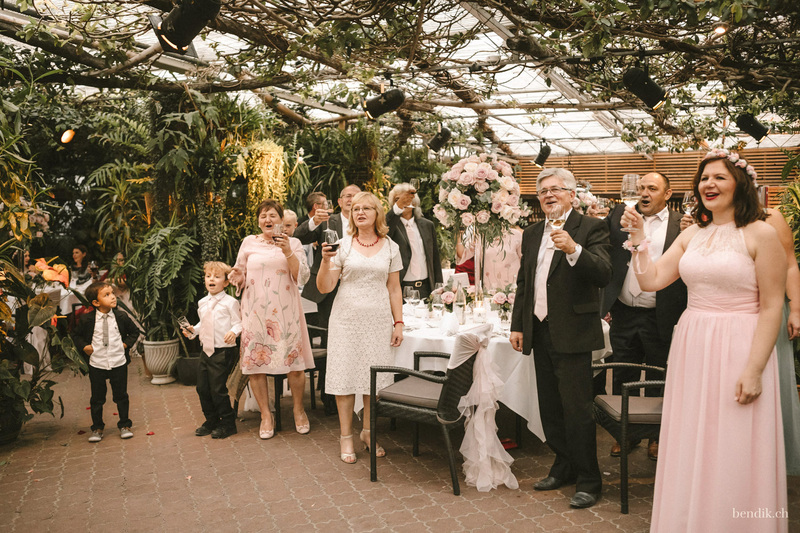 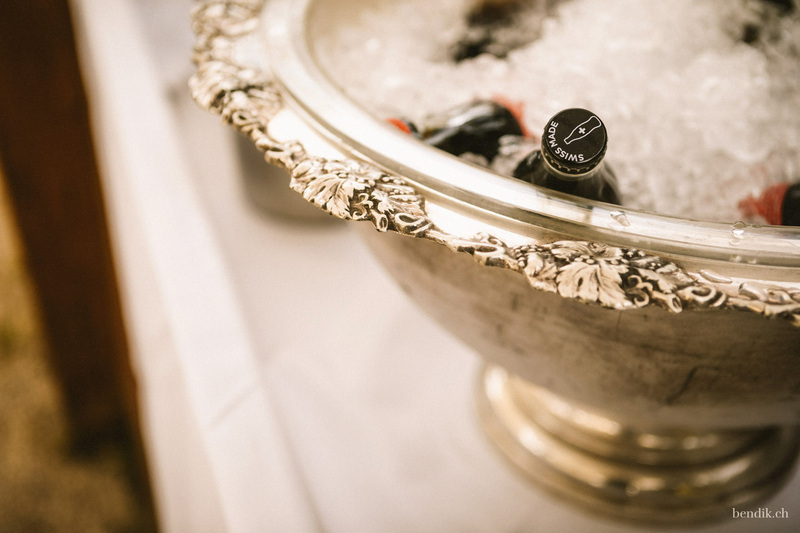 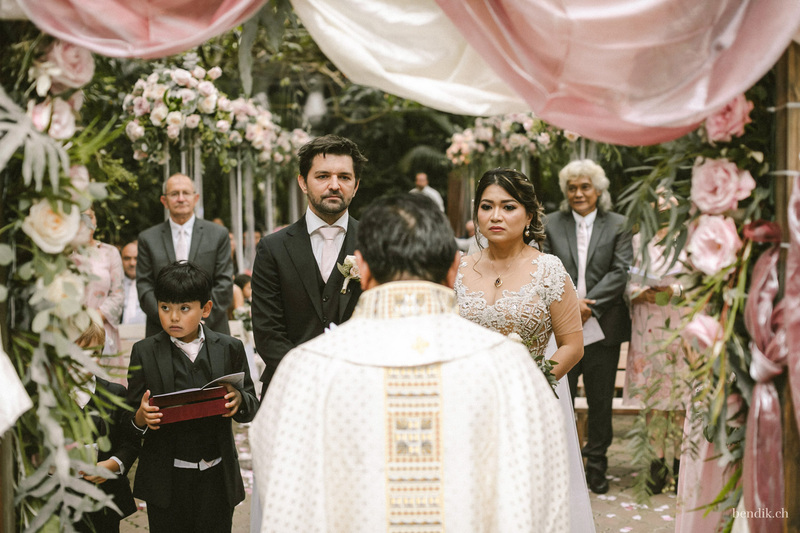 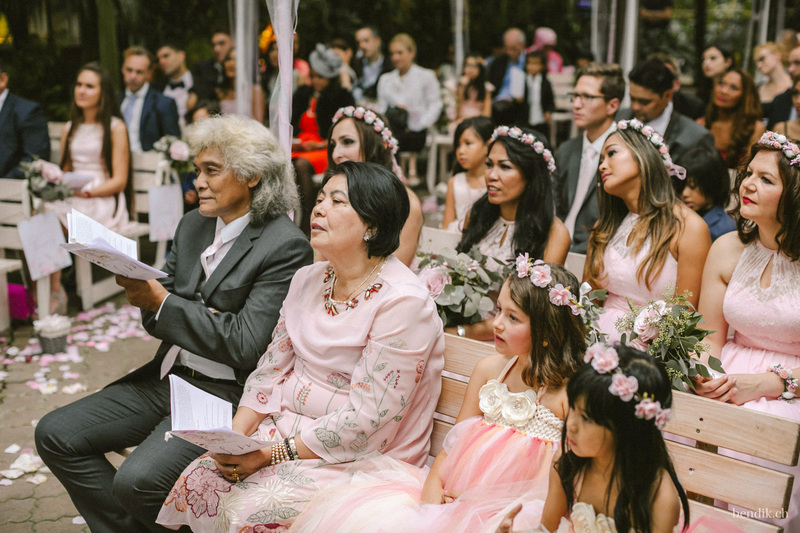 Our heroes of this day are loved by many people and here is the secret: you get back what you give… In return, the couple wanted their love and romance to be felt by each and every guest at their wedding. 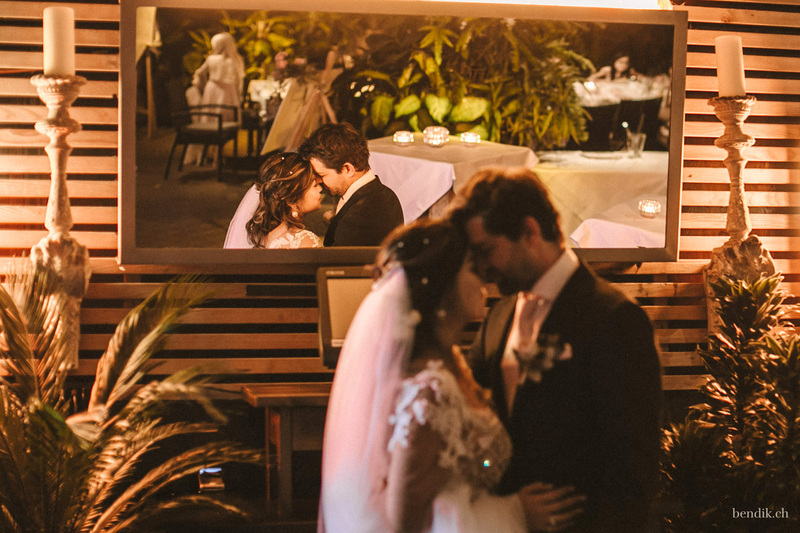 When leaving this Garden of Eden at the onset of night, we felt like in some way it was our day too.